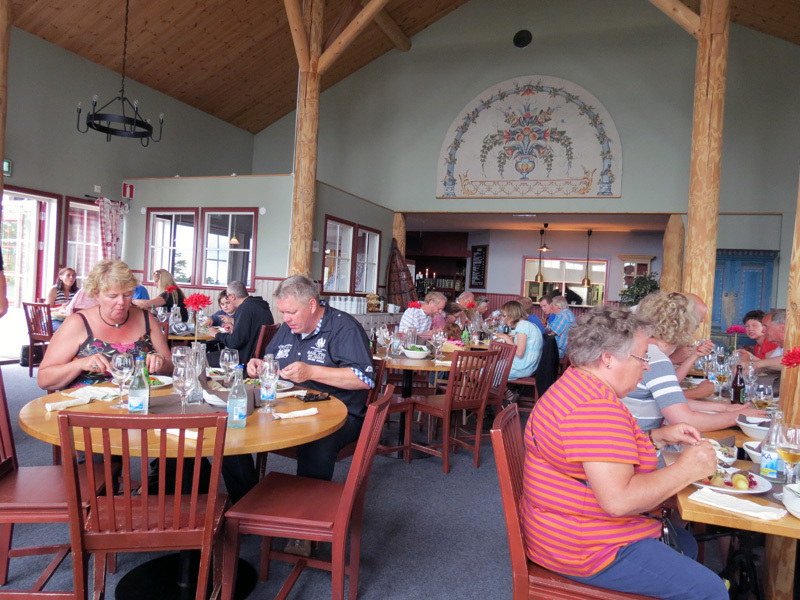 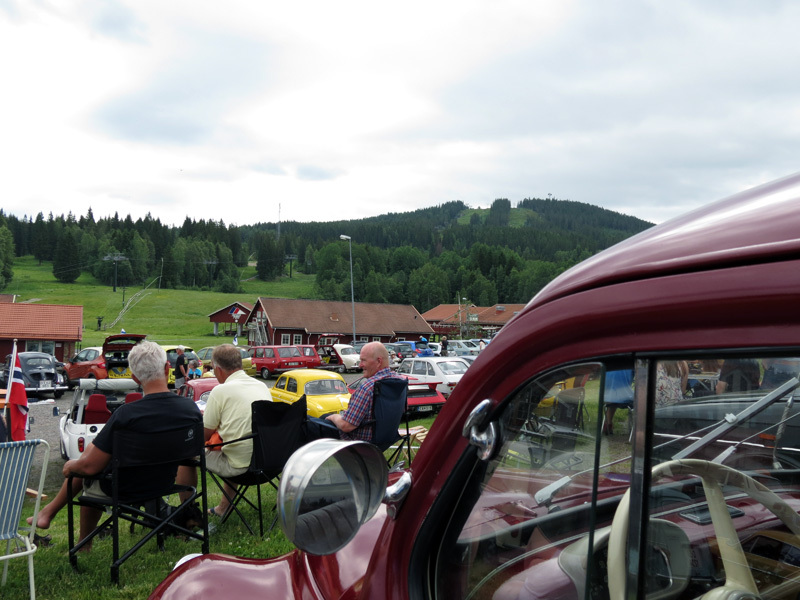 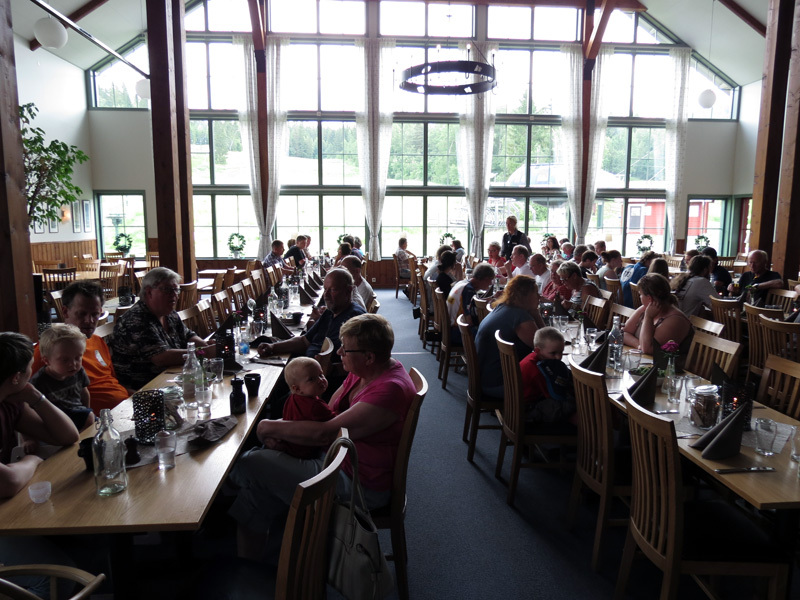 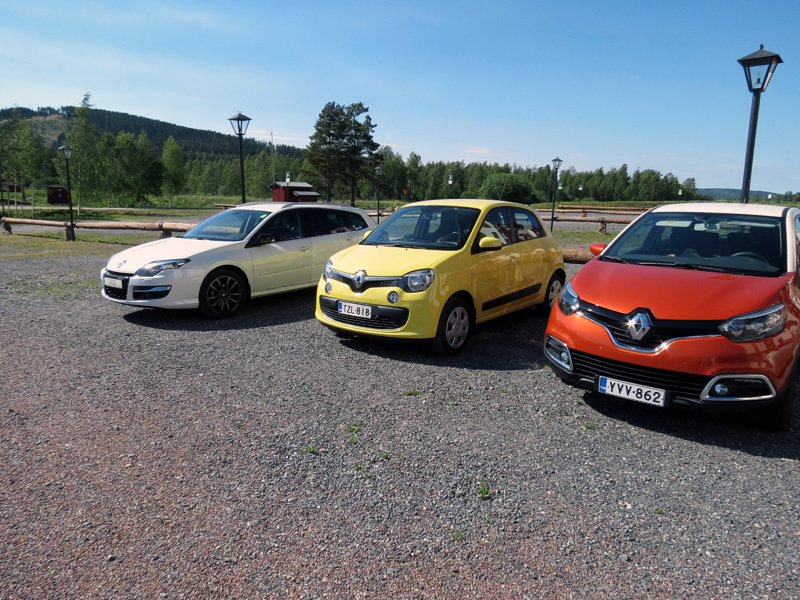 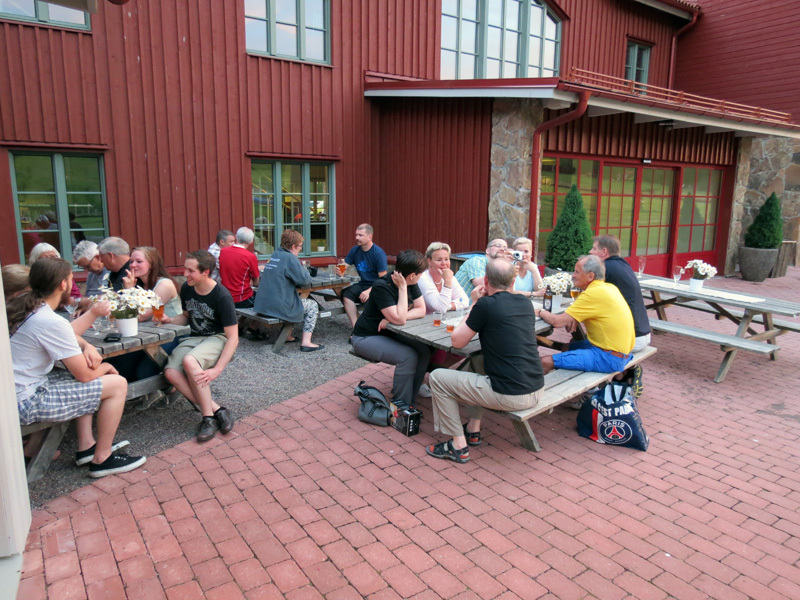 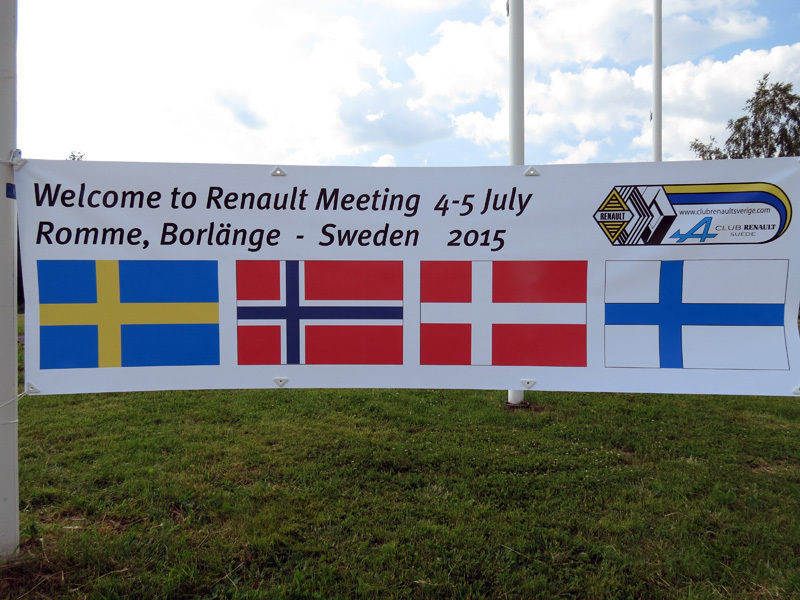 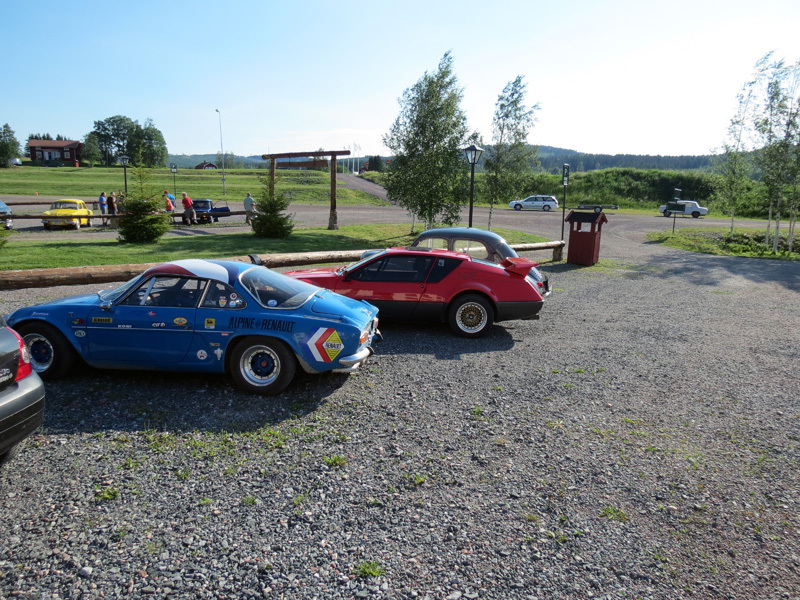 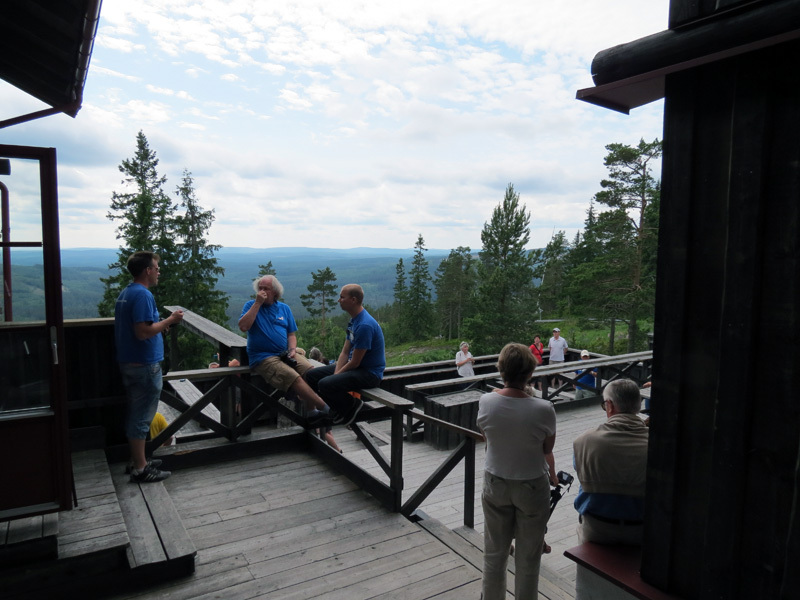 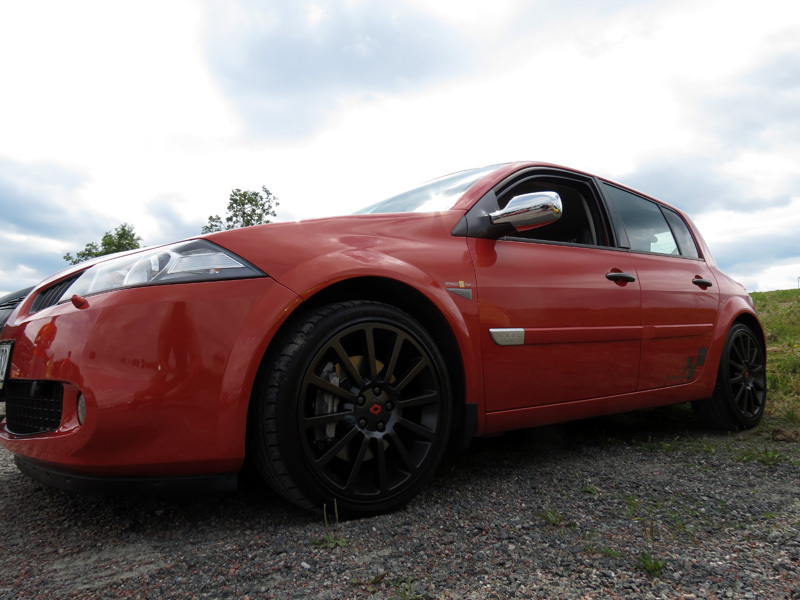 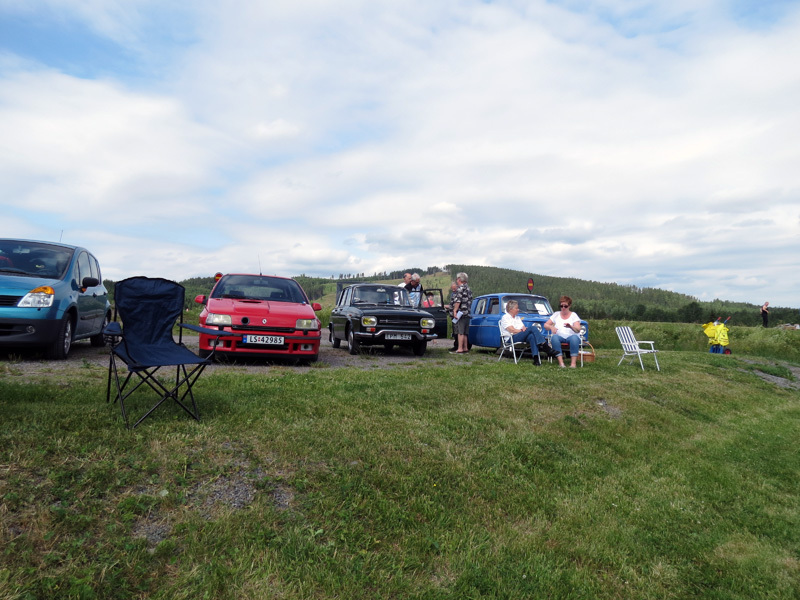 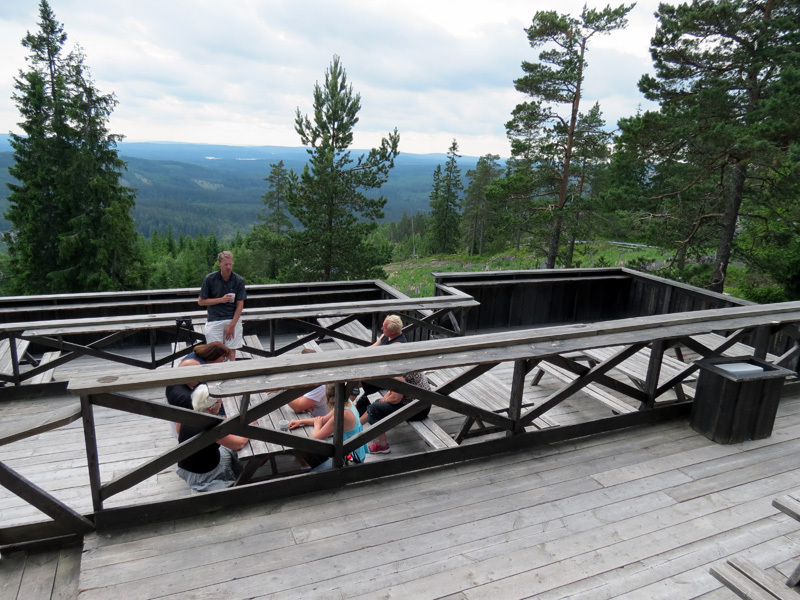 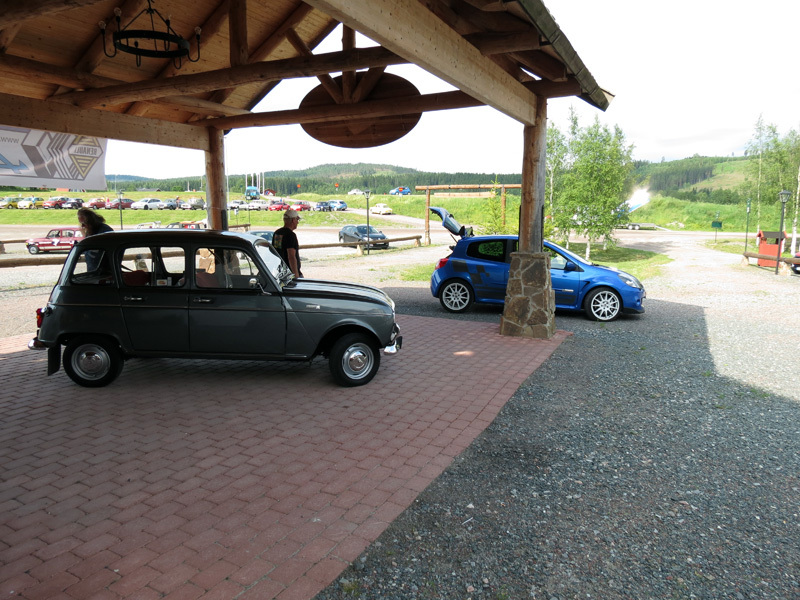 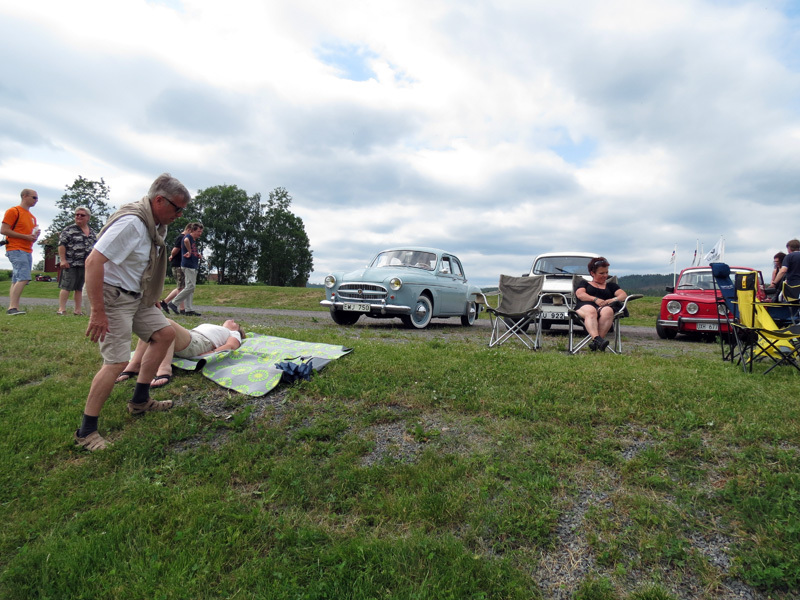 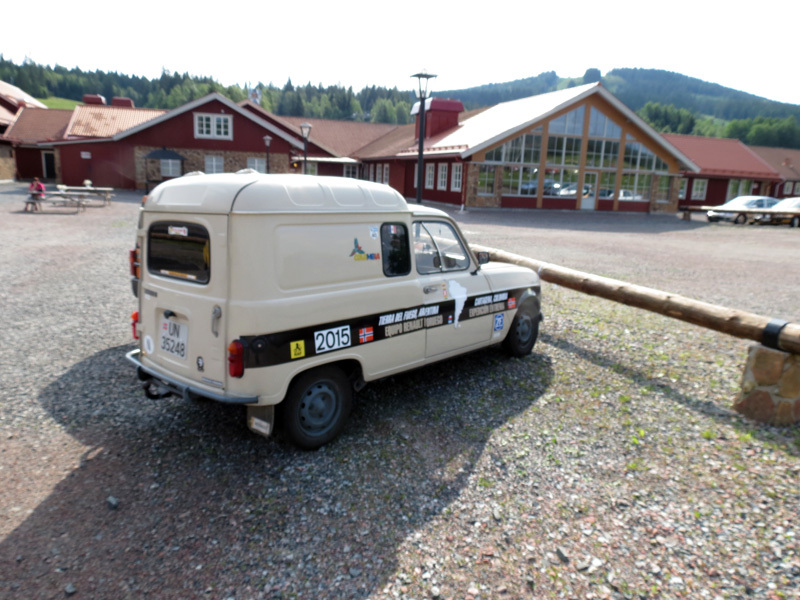 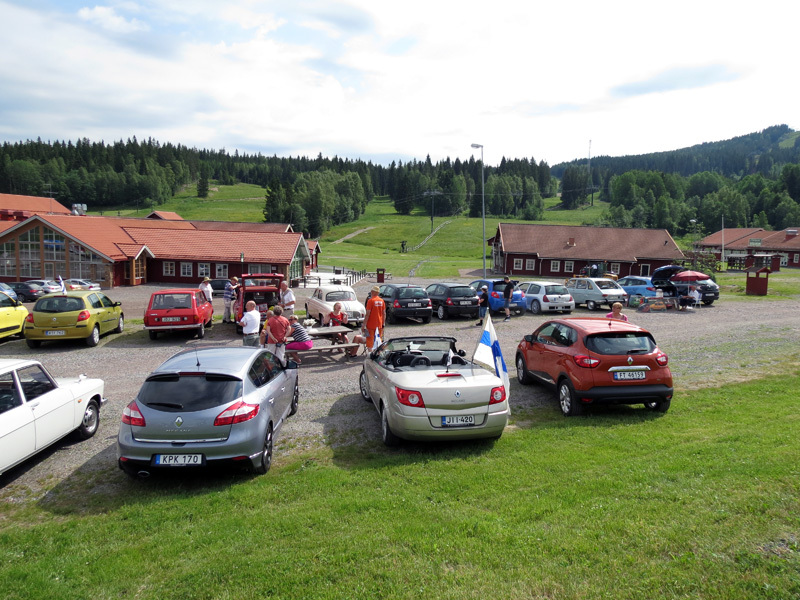 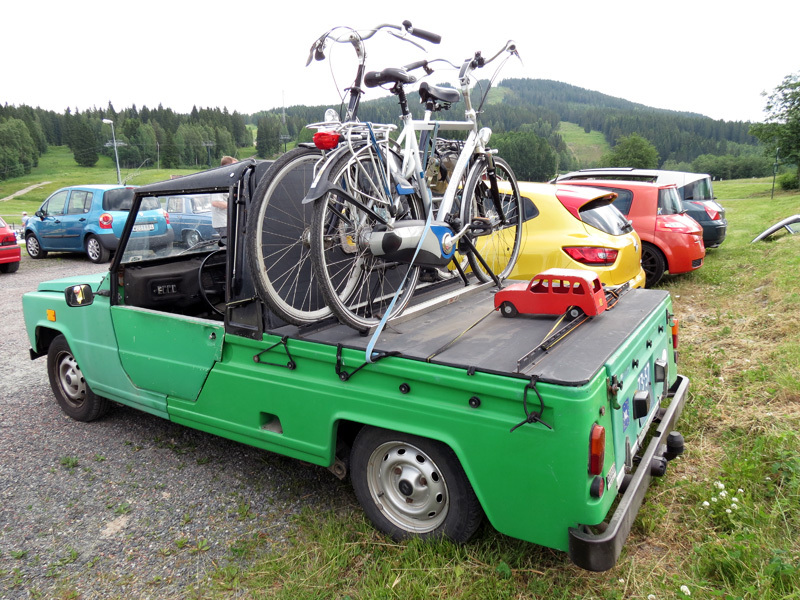 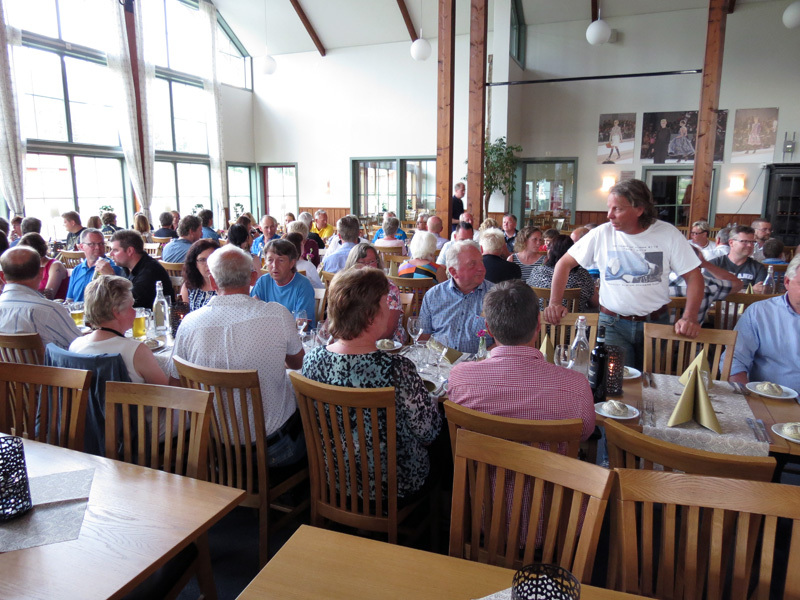 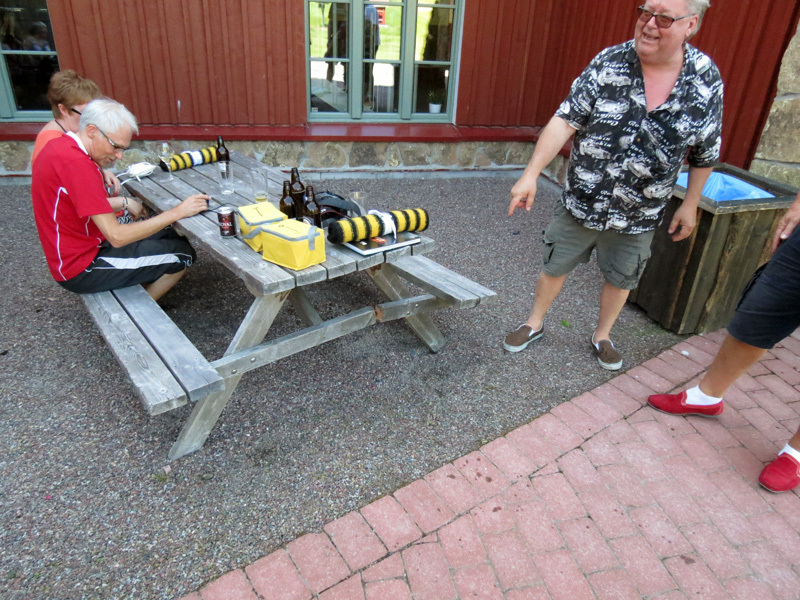 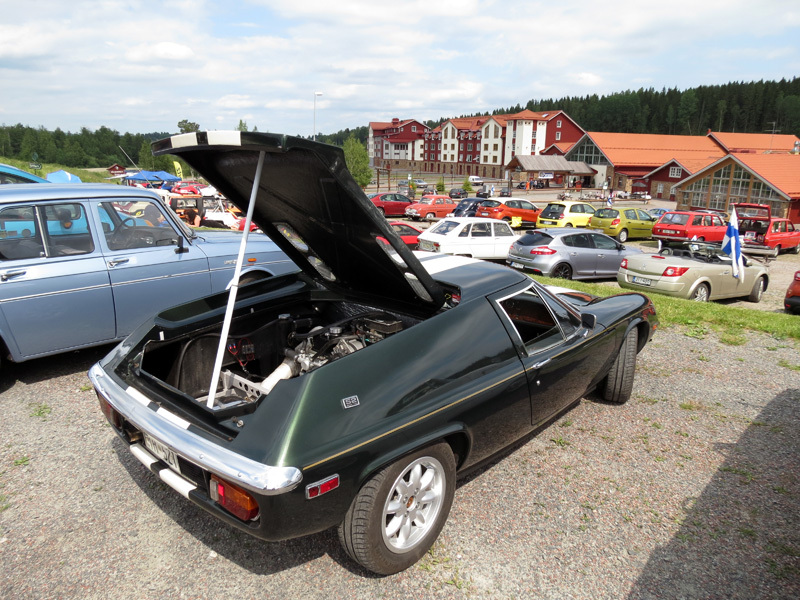 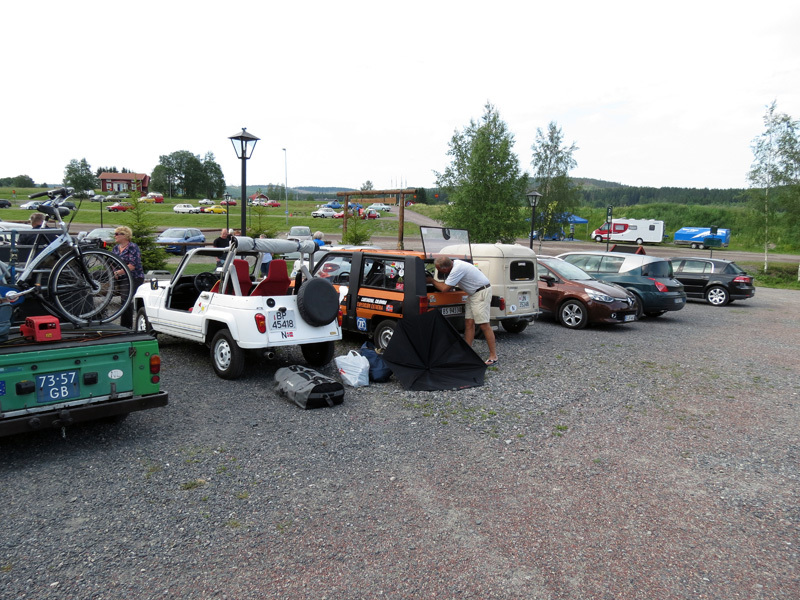 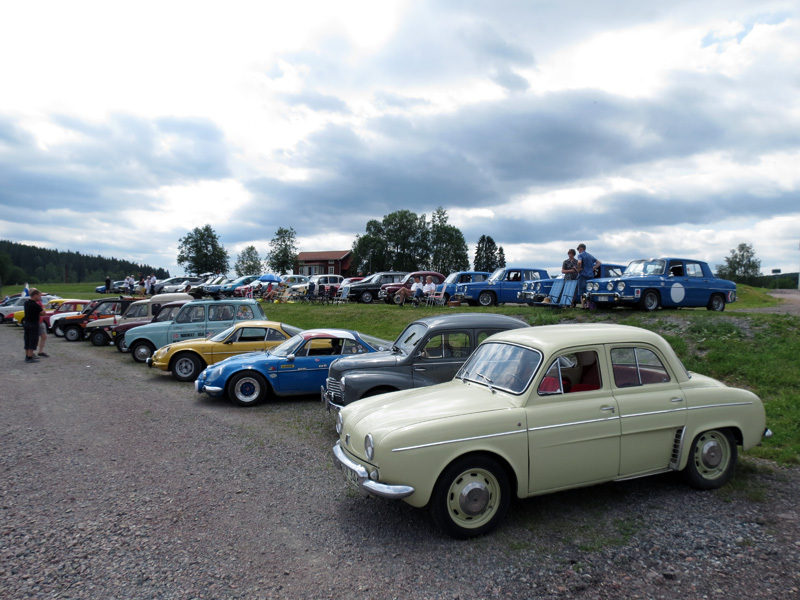 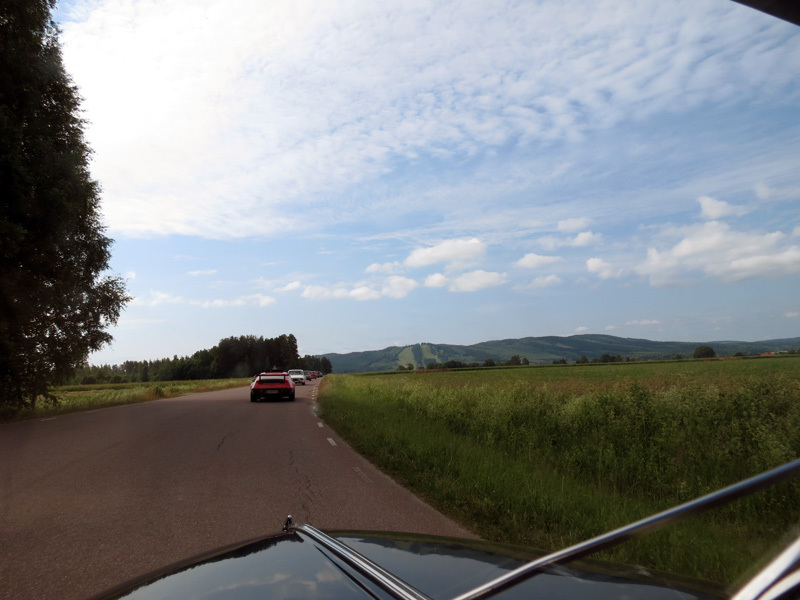 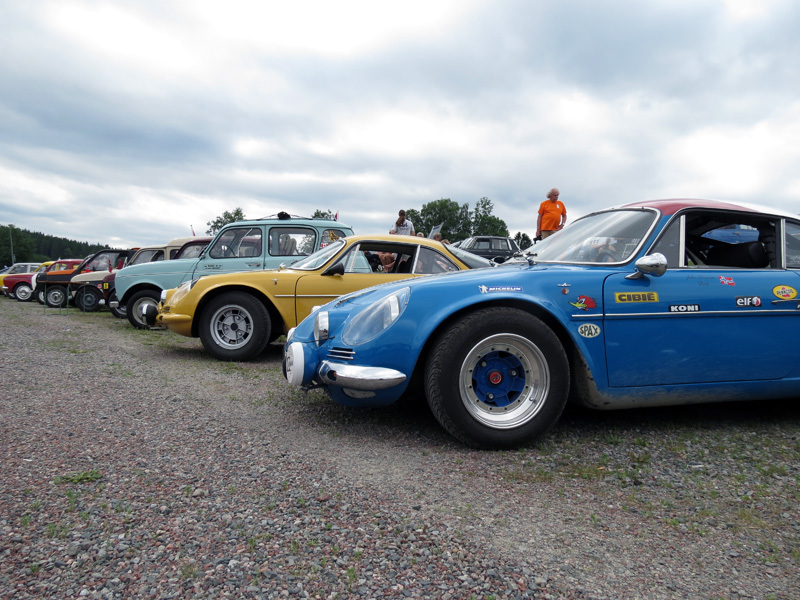 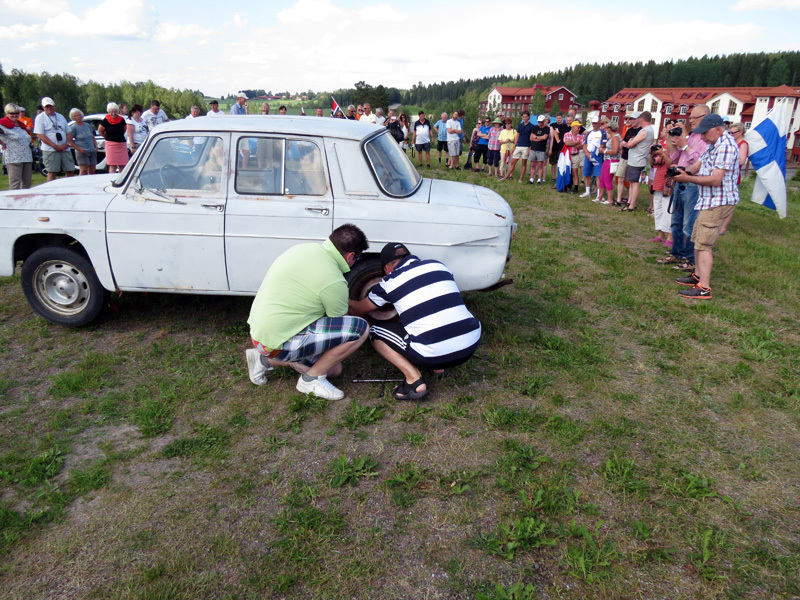 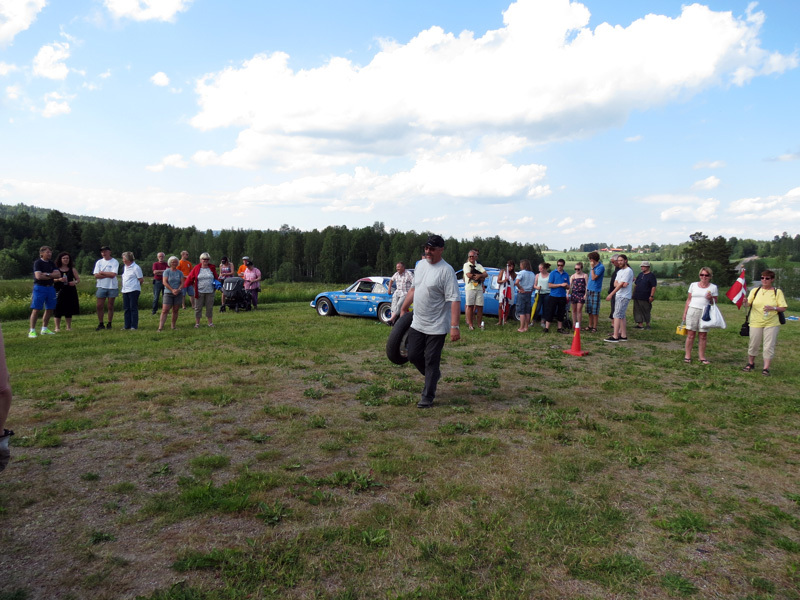 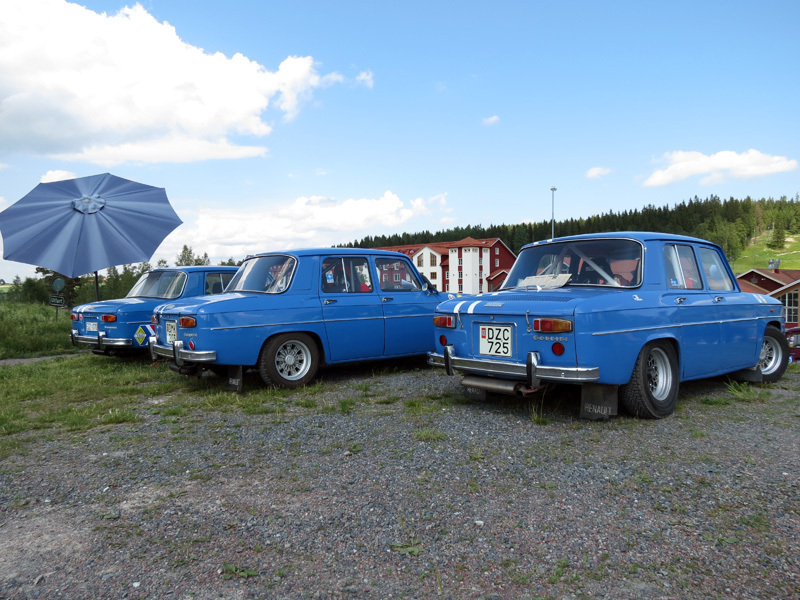 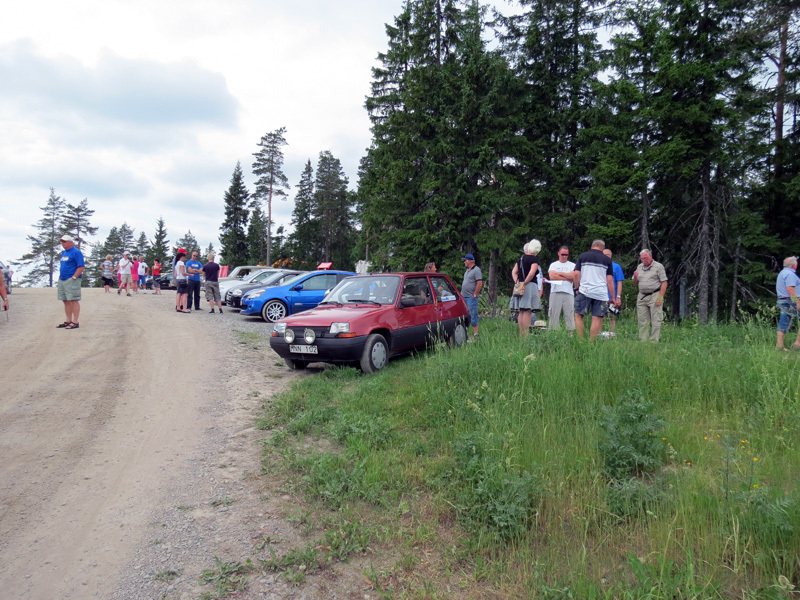 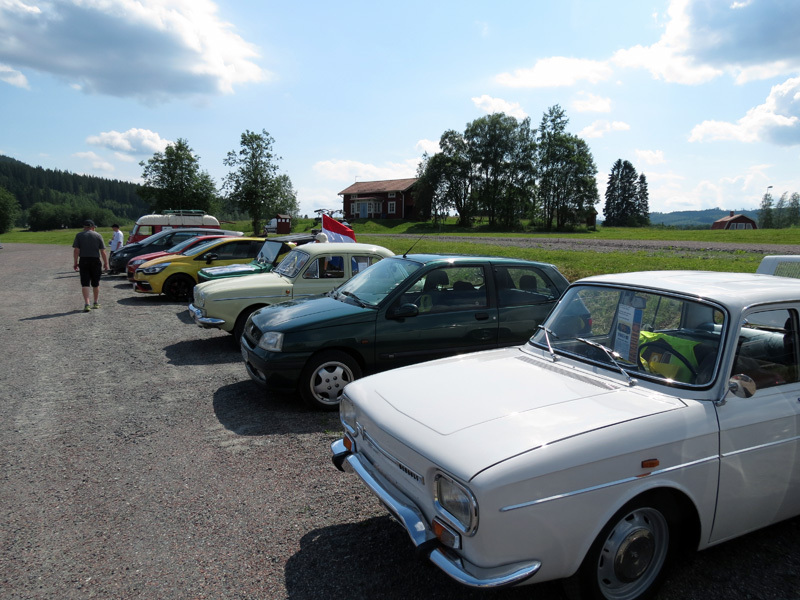 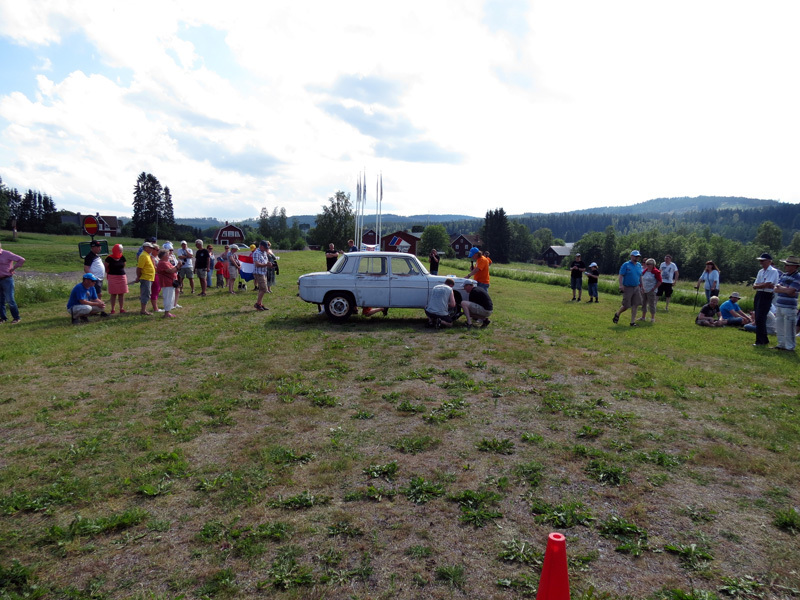 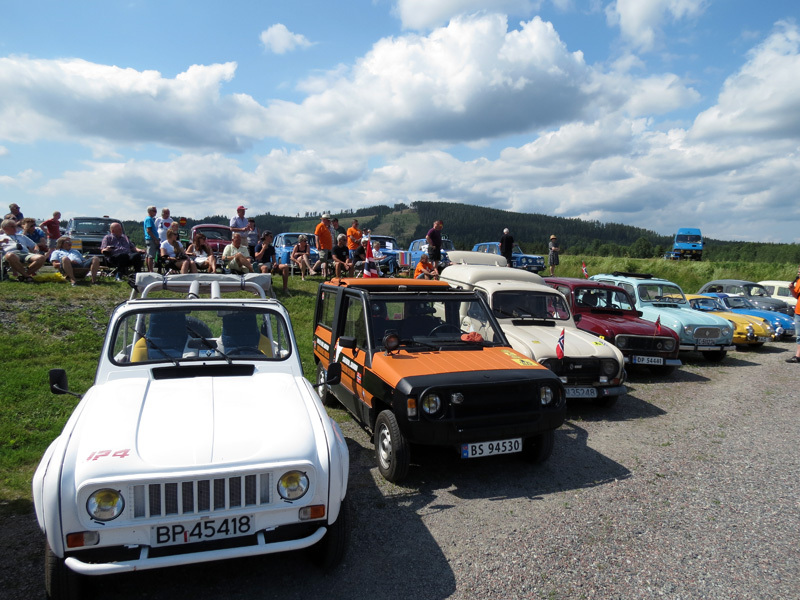 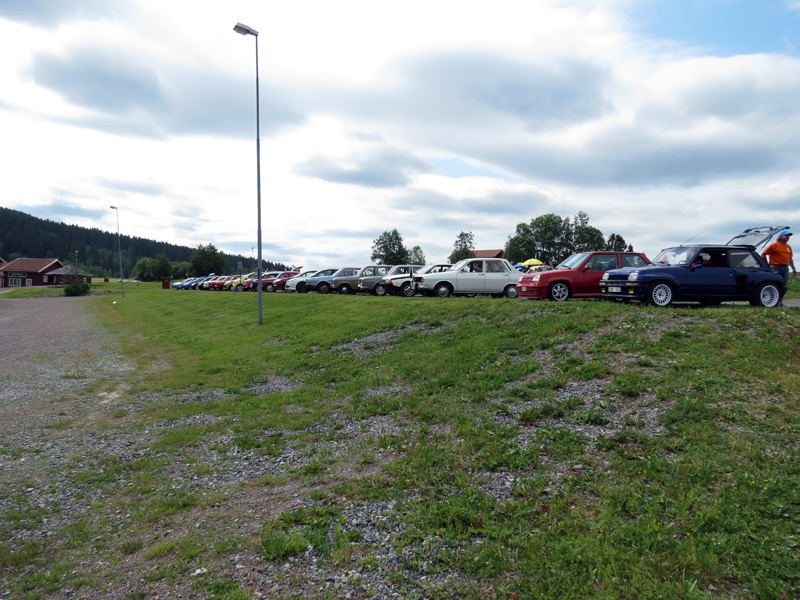 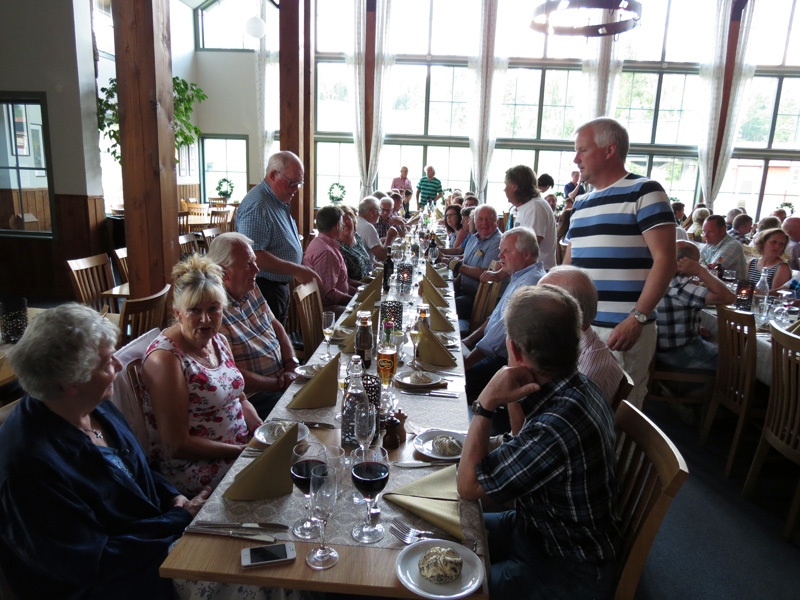 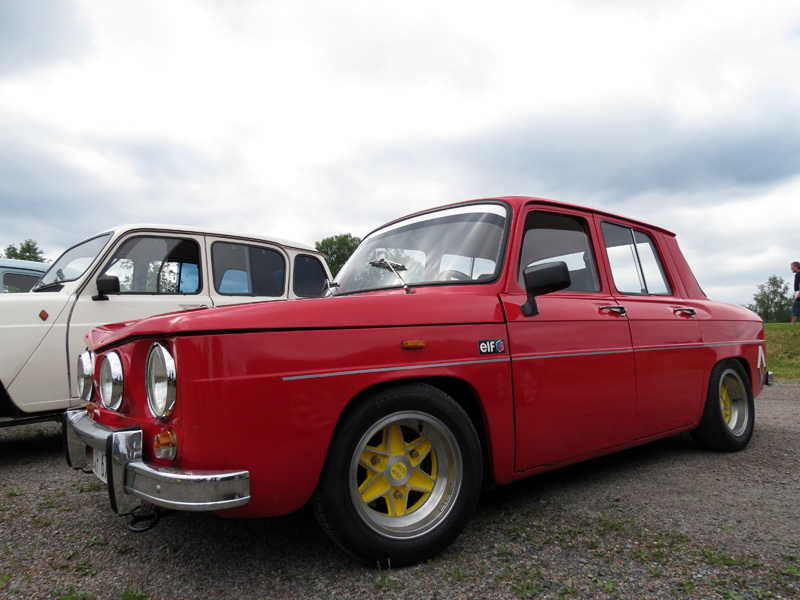 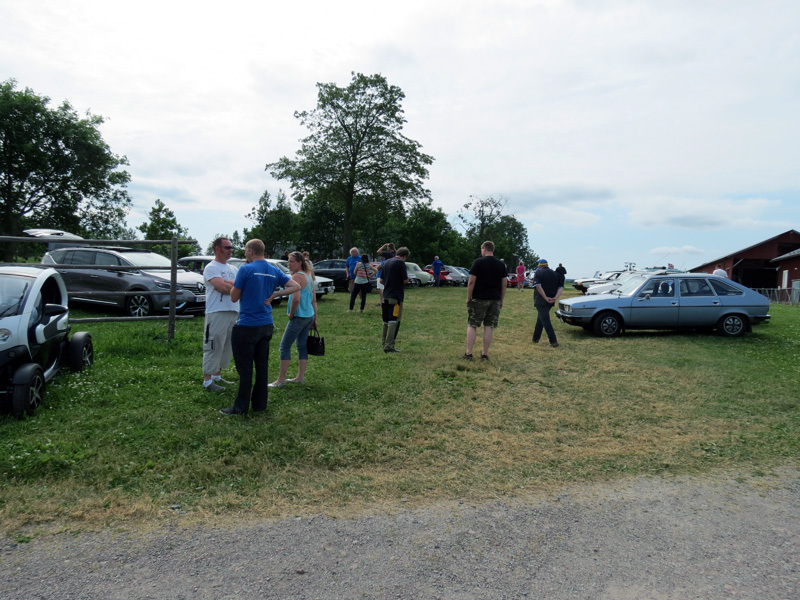 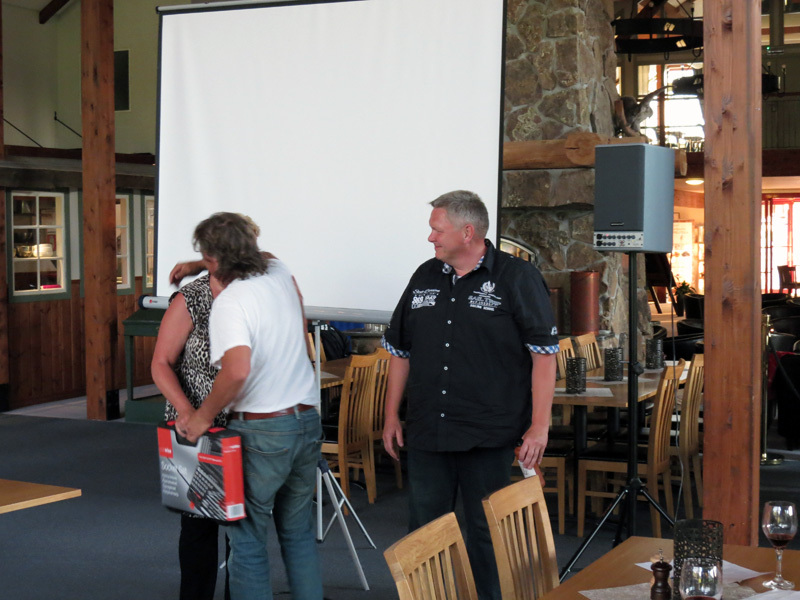 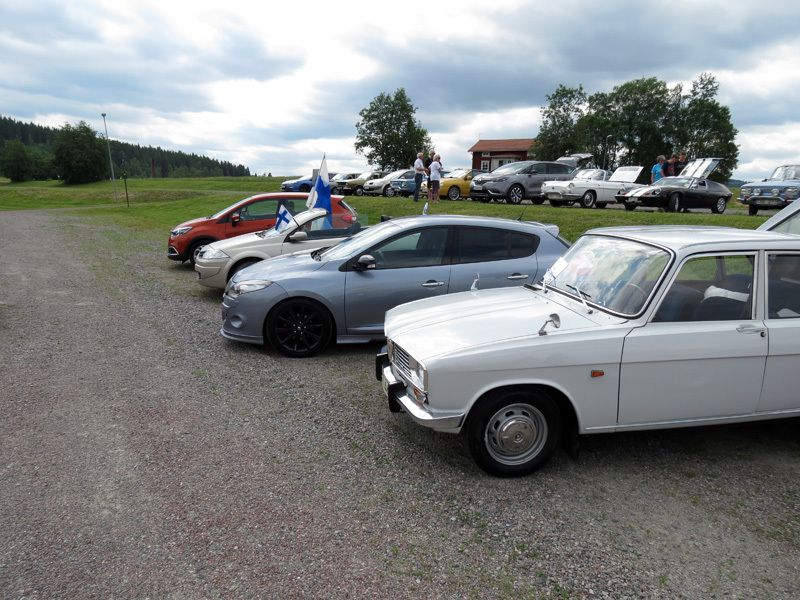 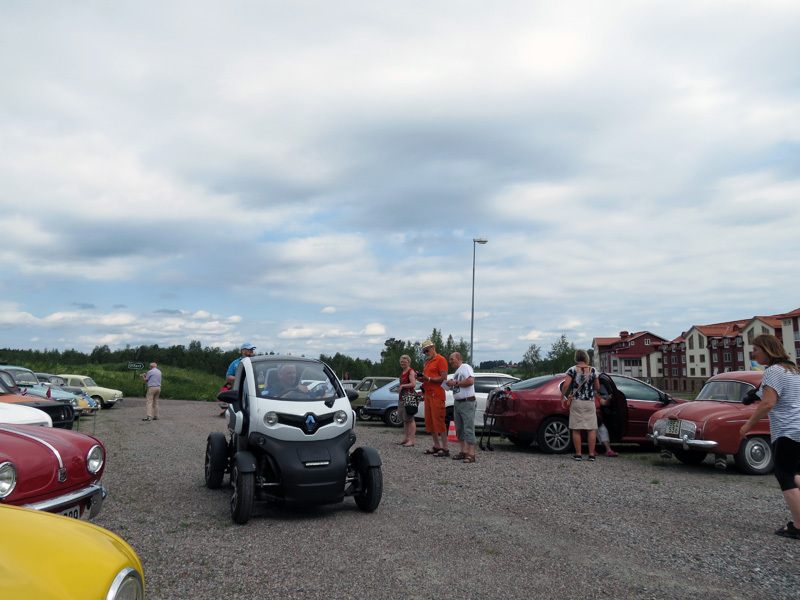 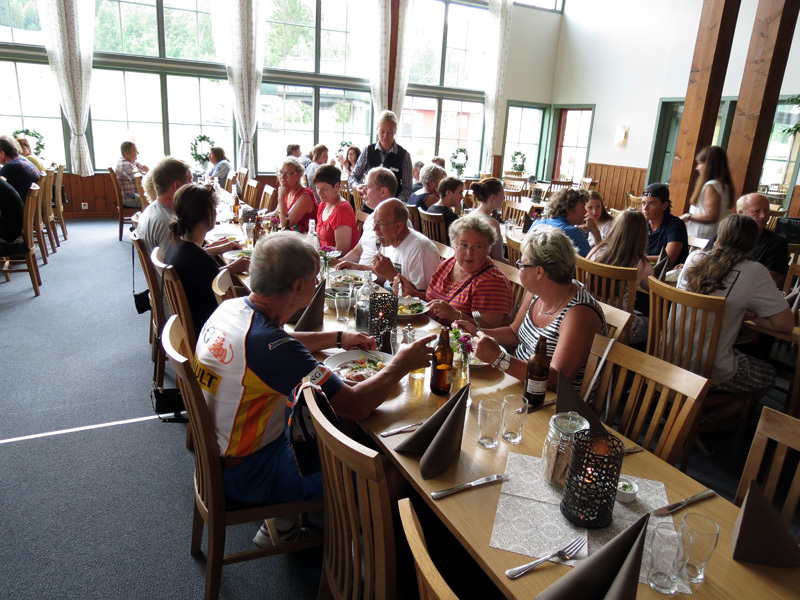 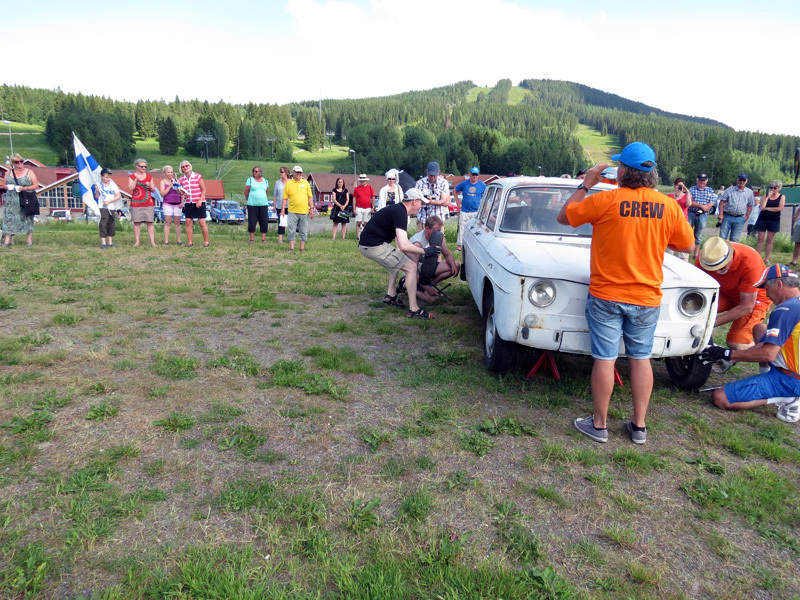 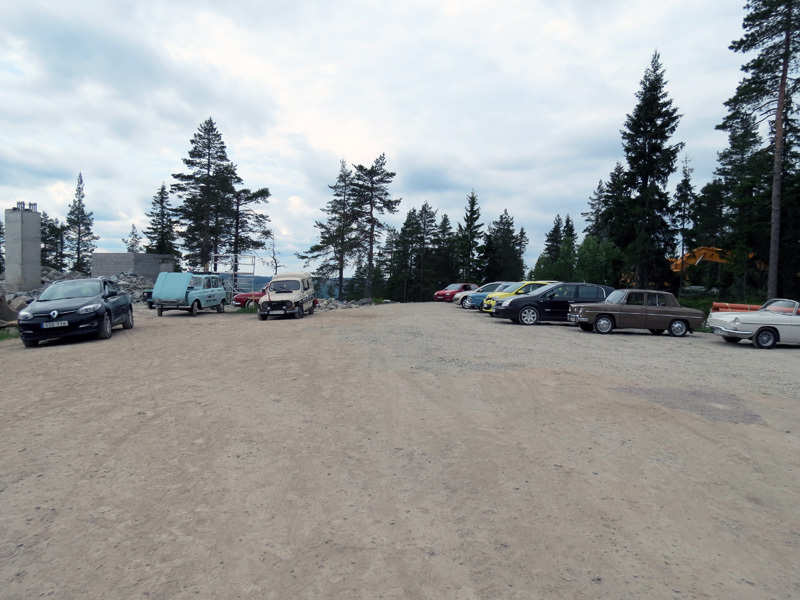 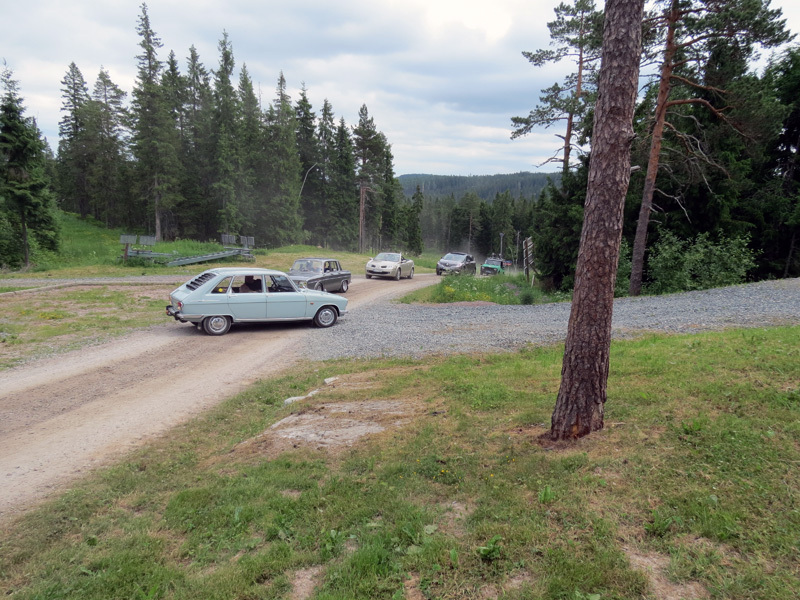 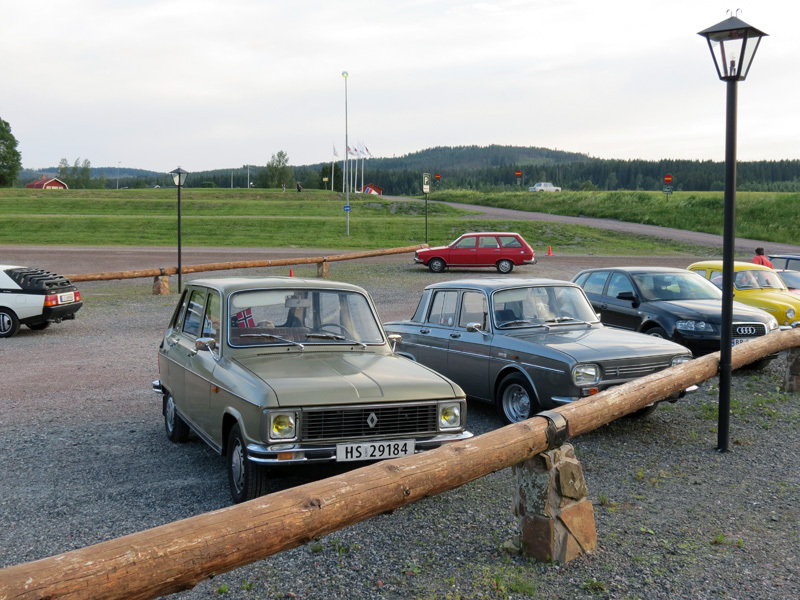 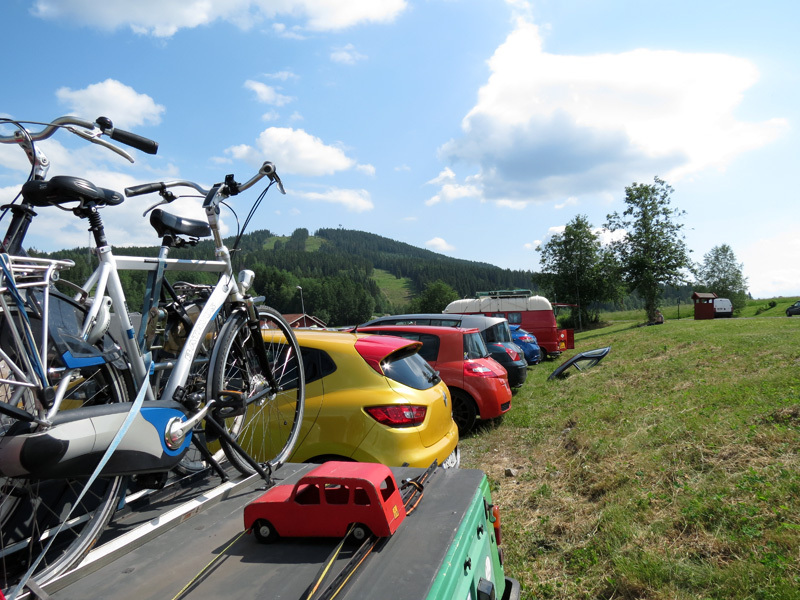 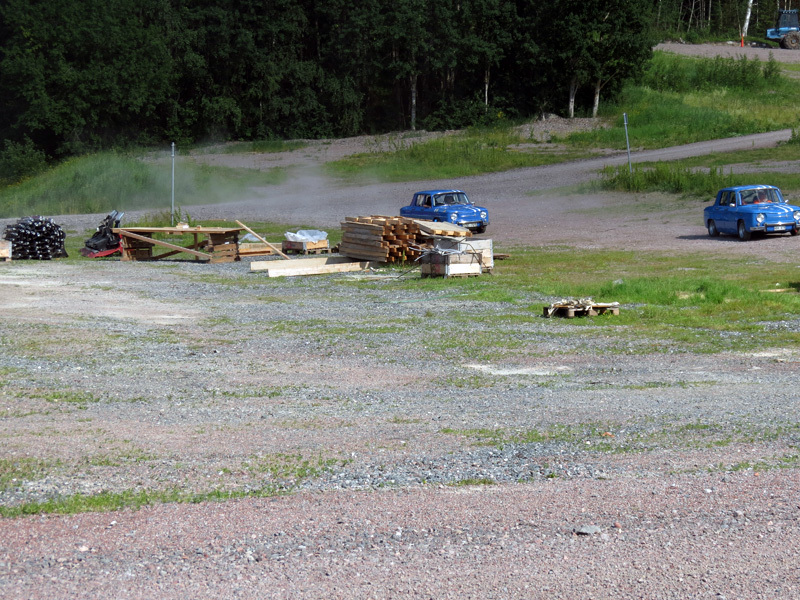 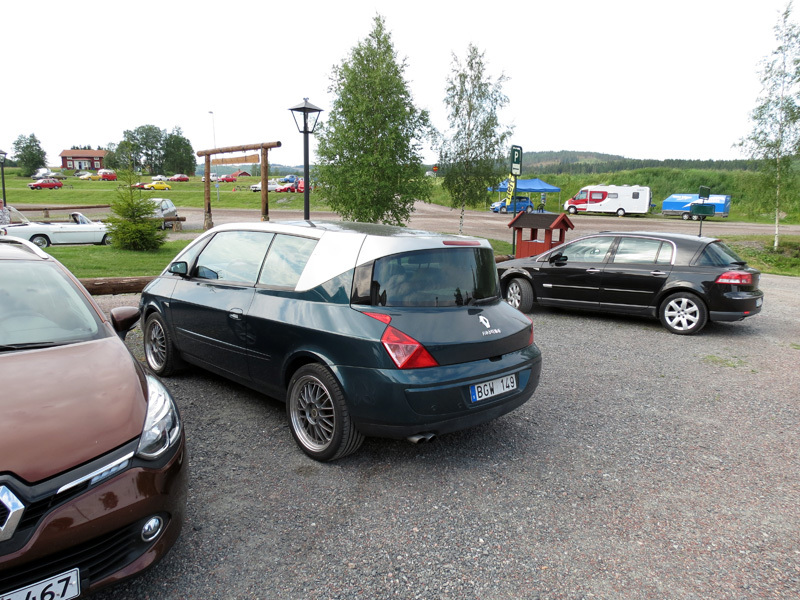 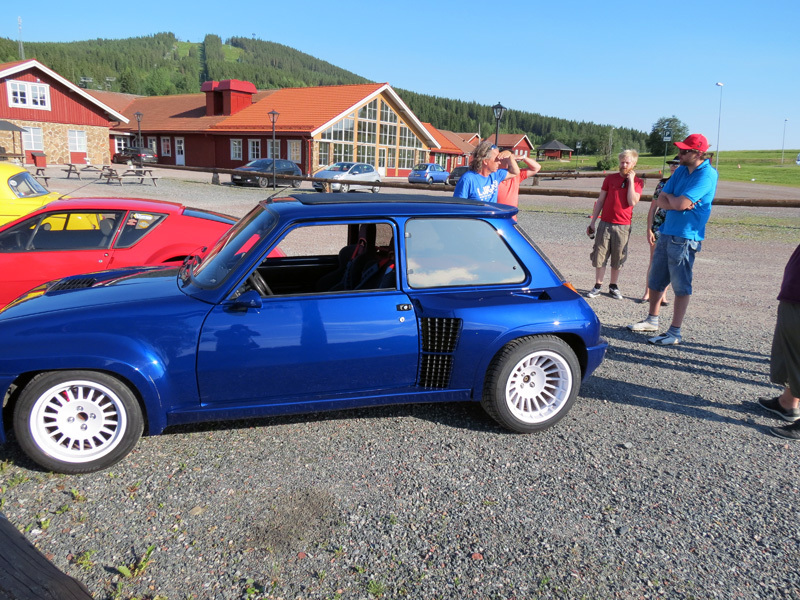 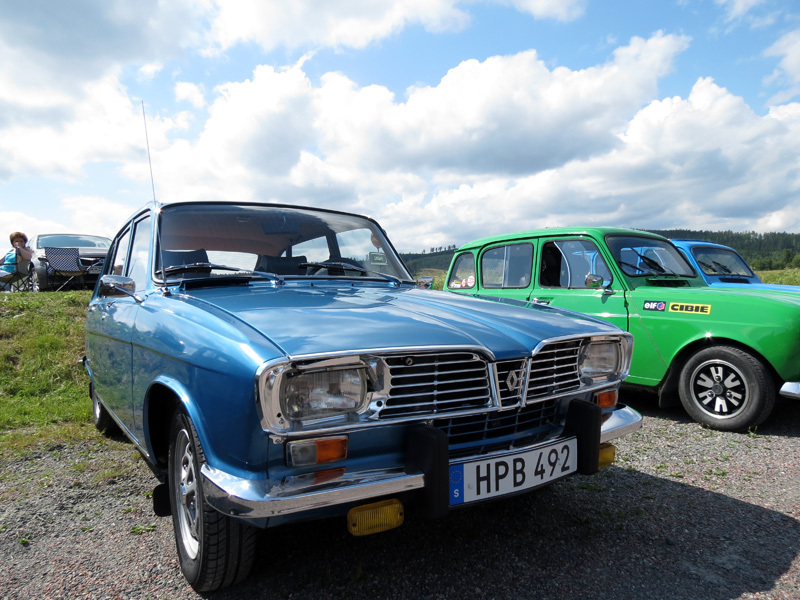 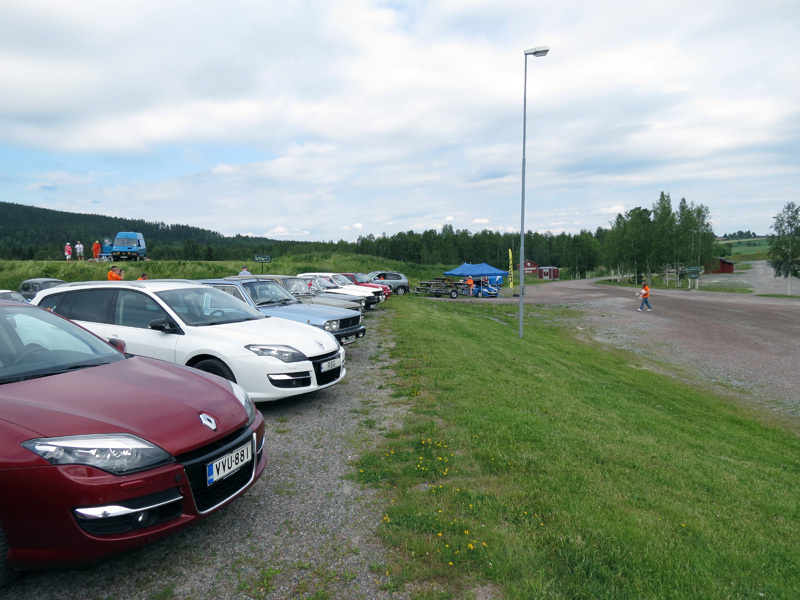 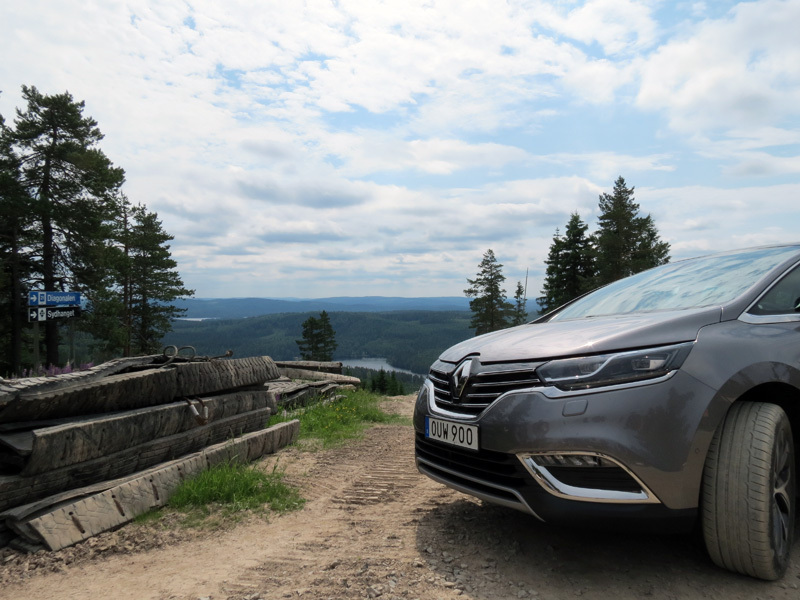 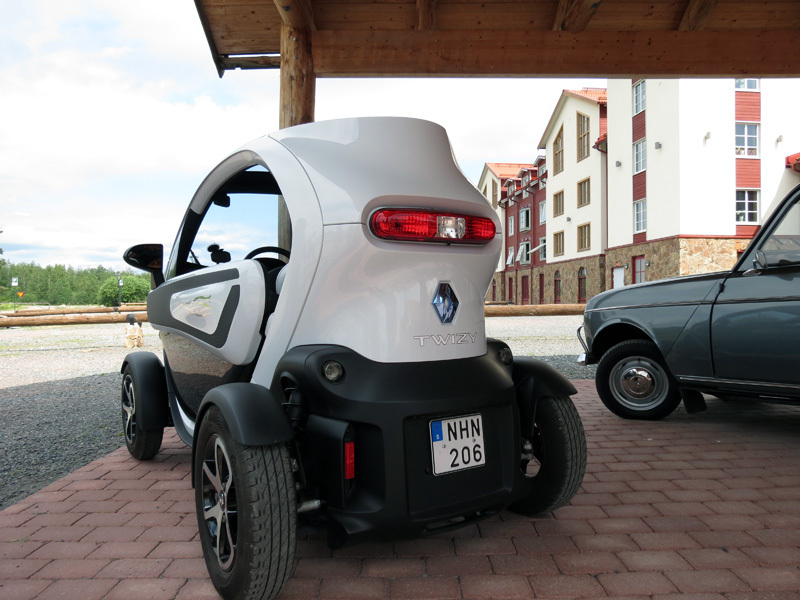 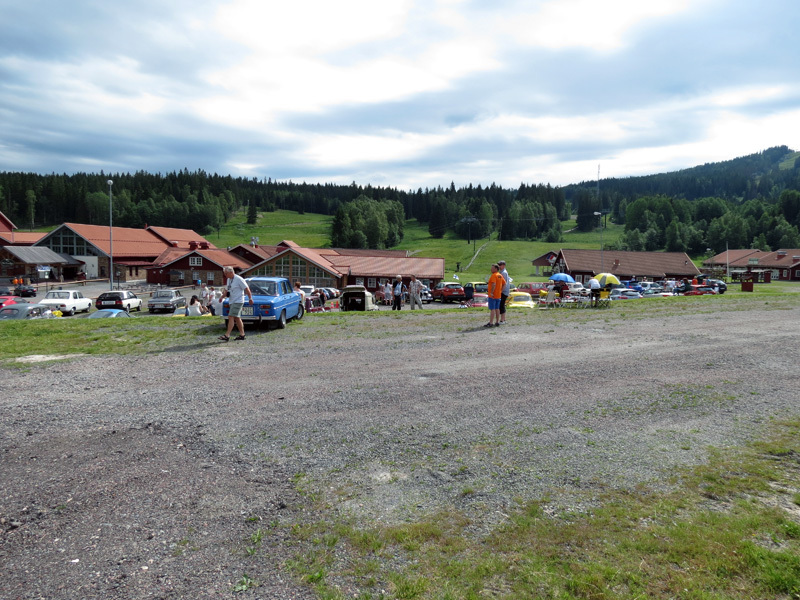 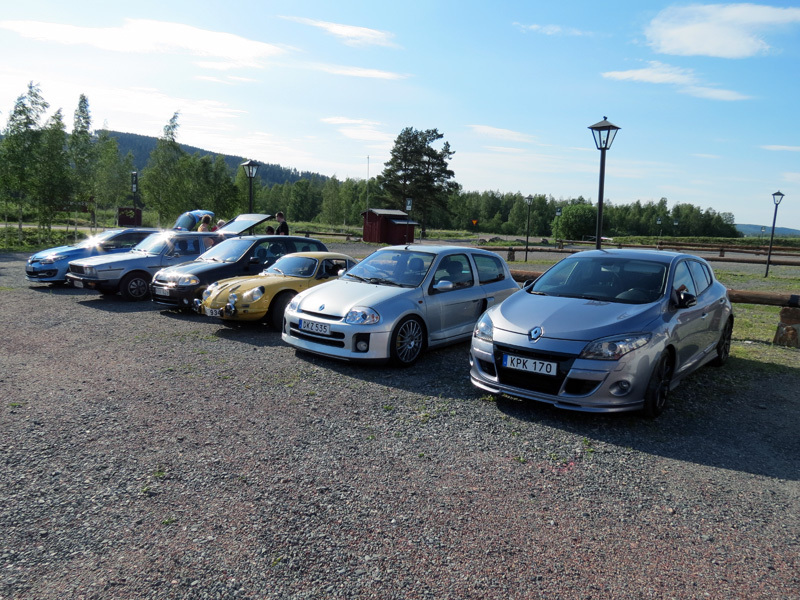 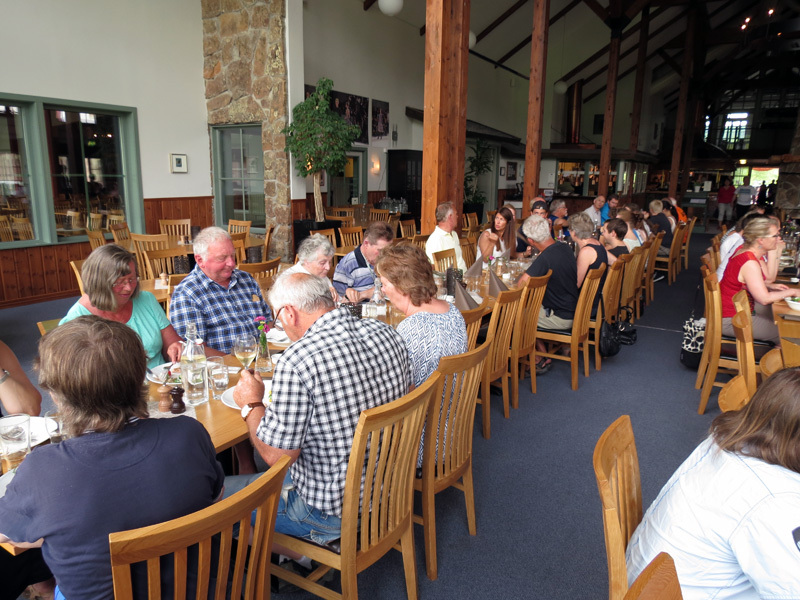 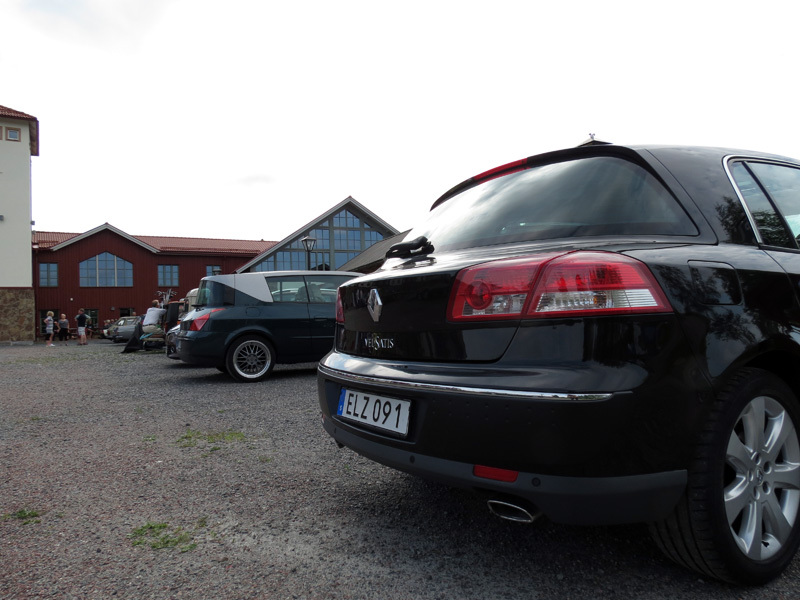 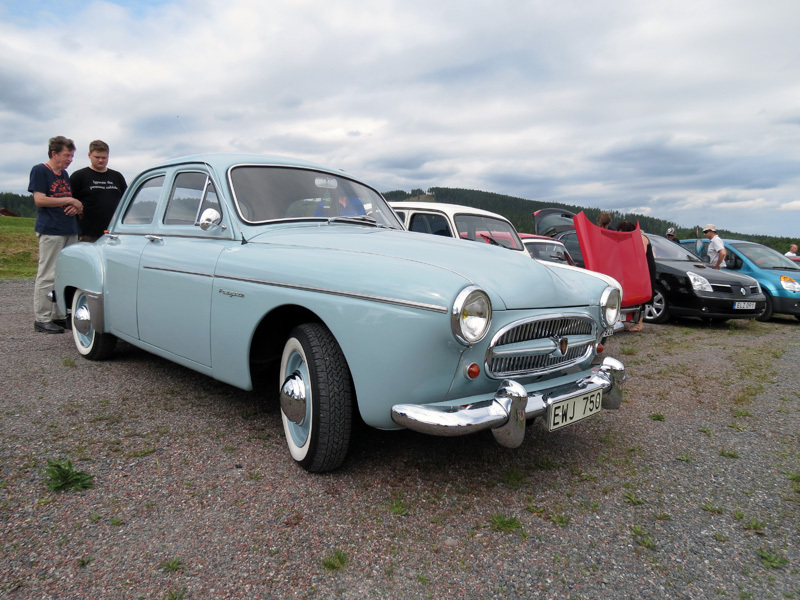 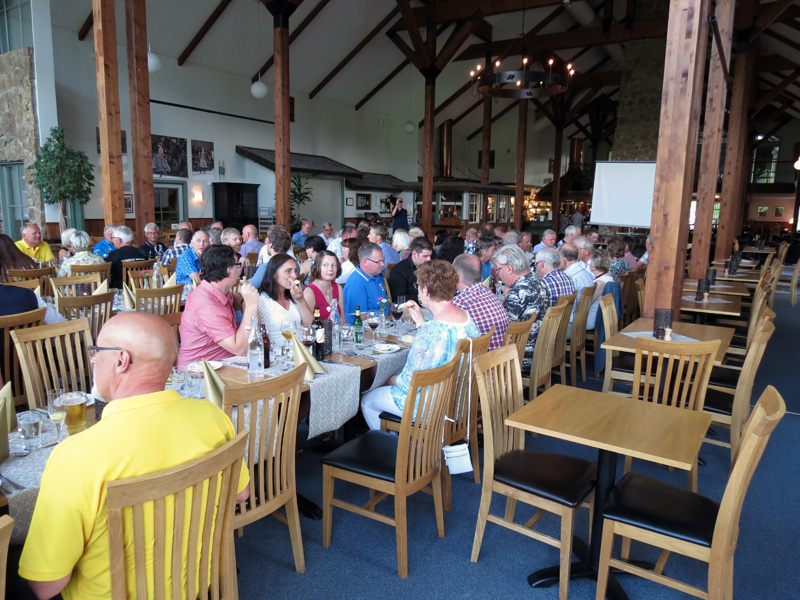 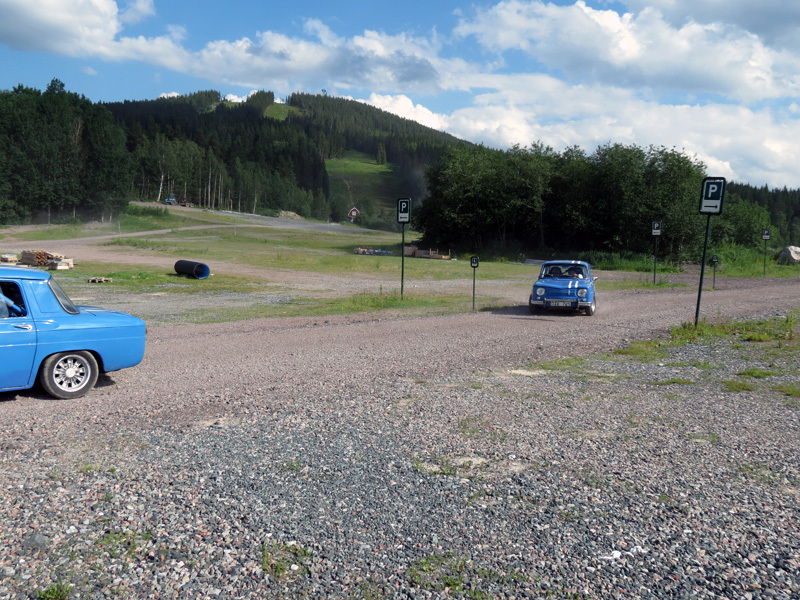 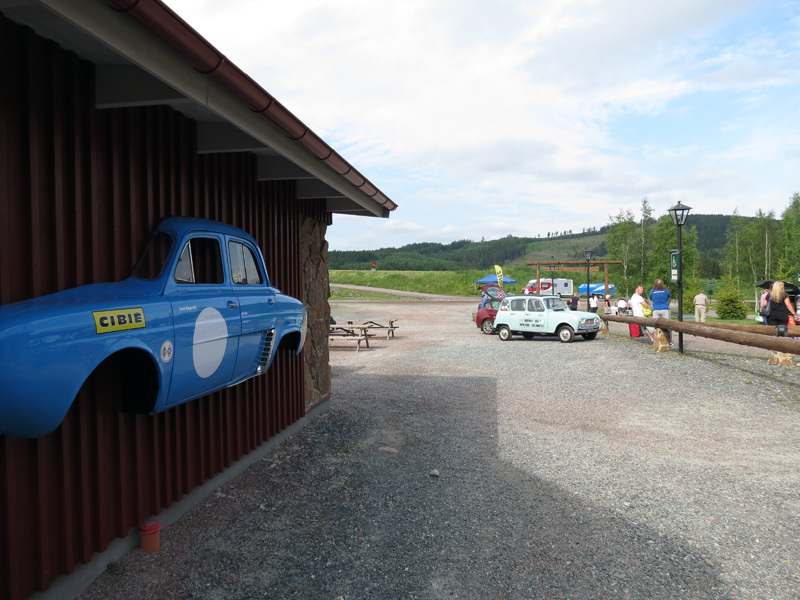 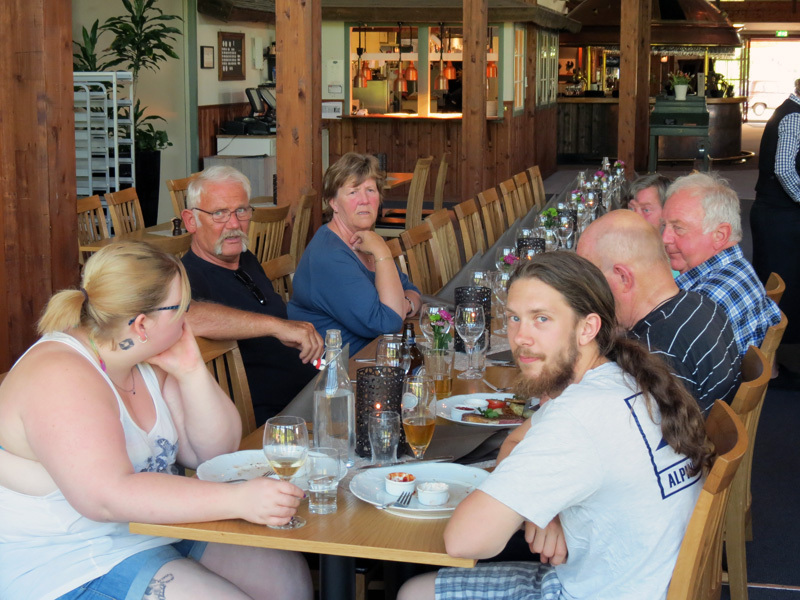 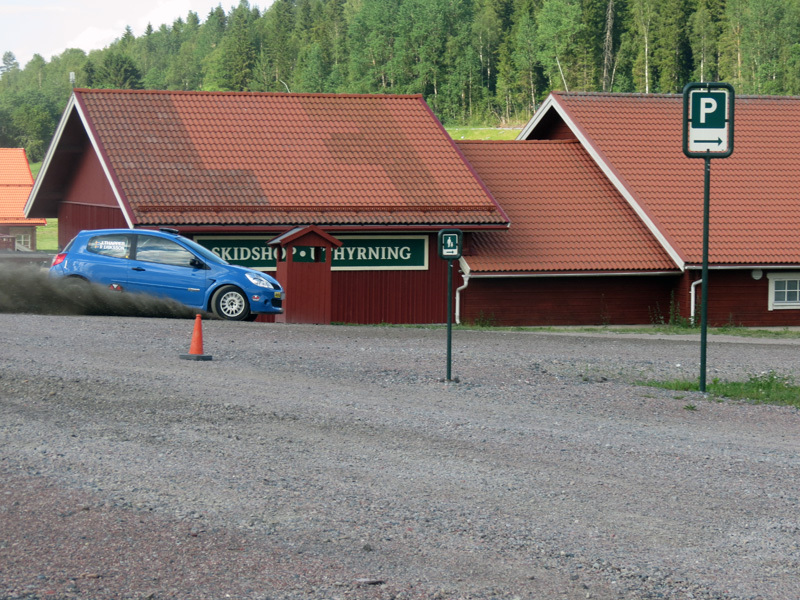 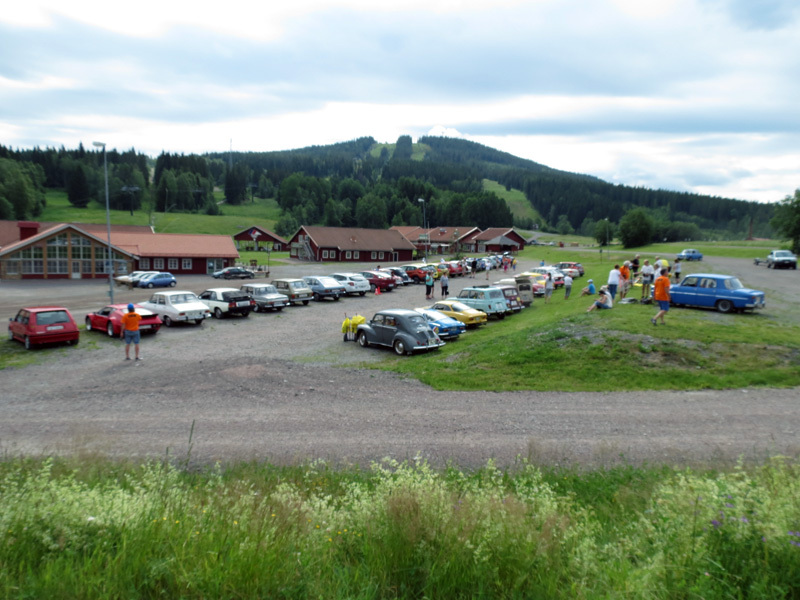 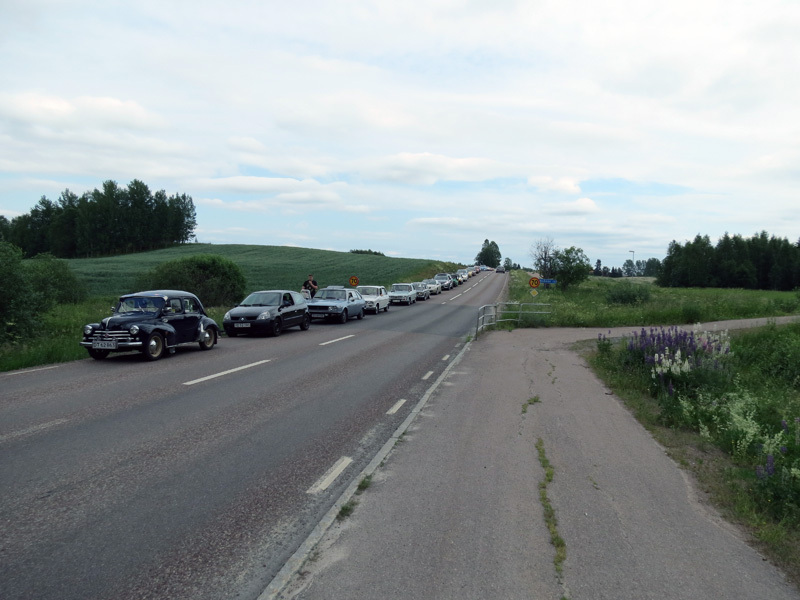 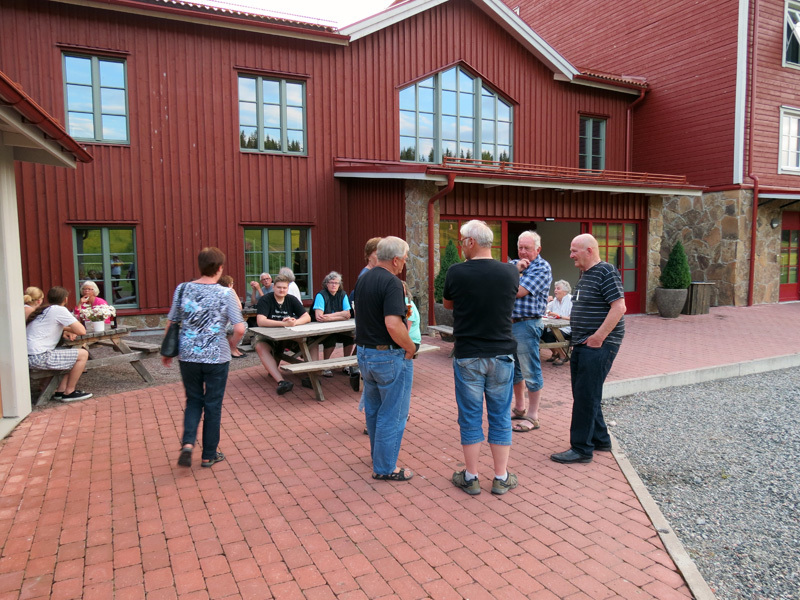 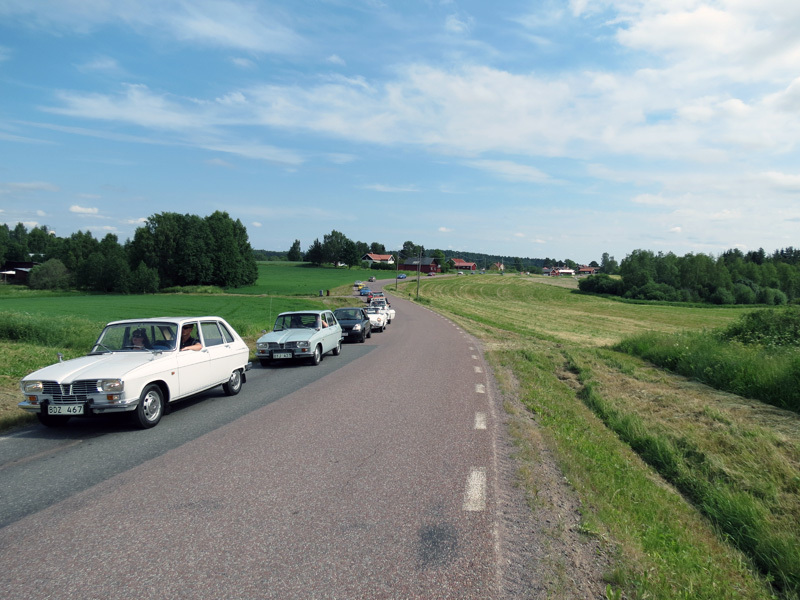 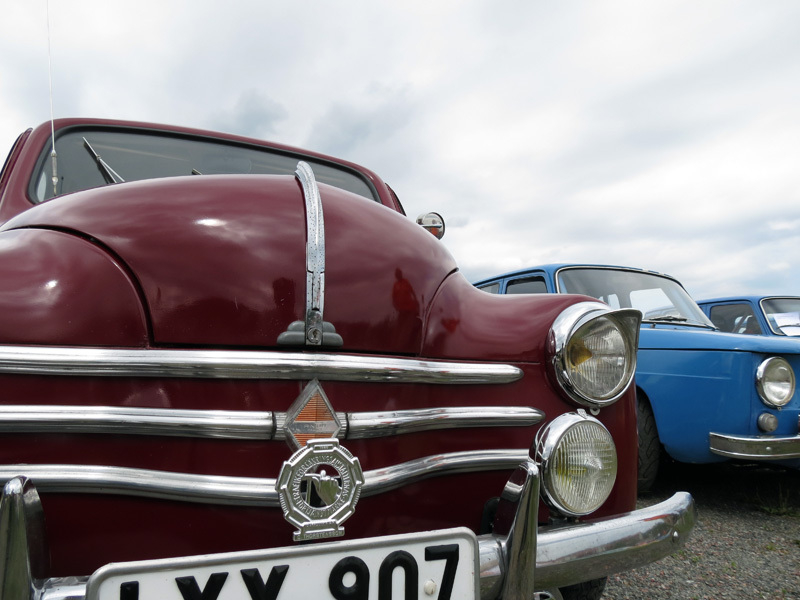 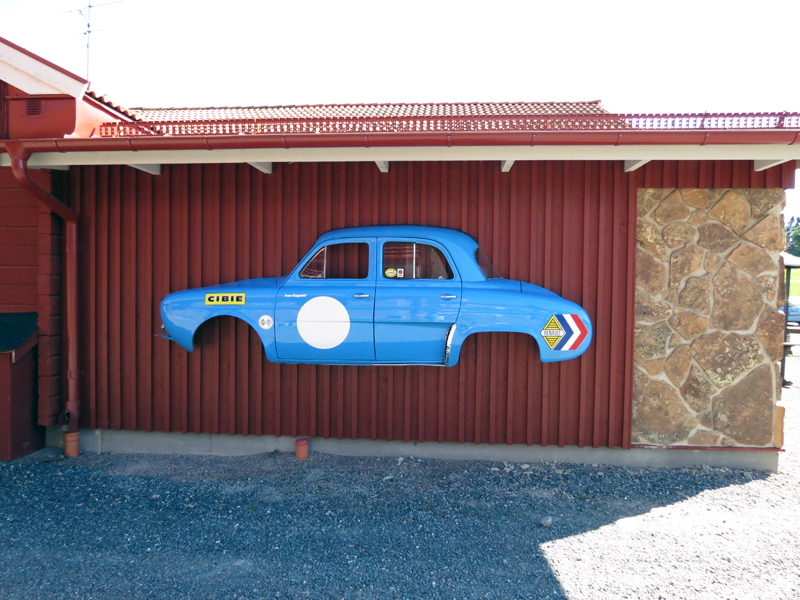 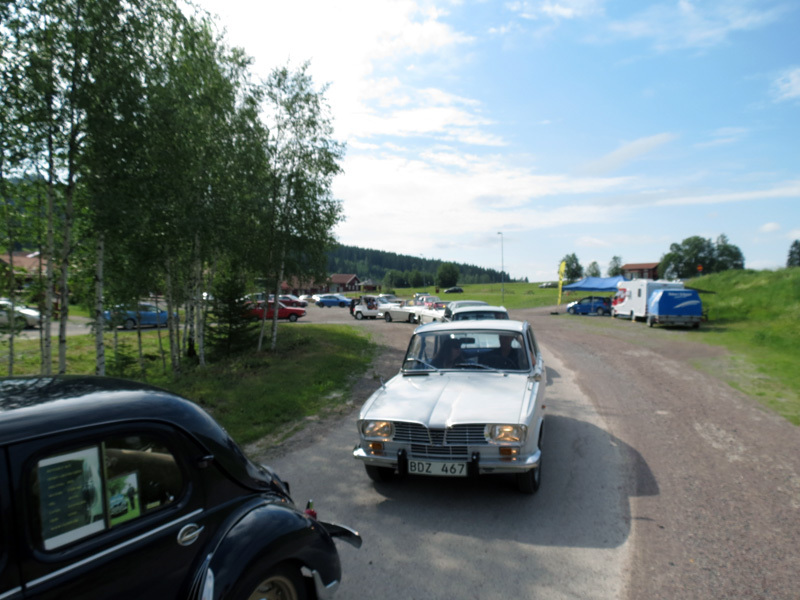 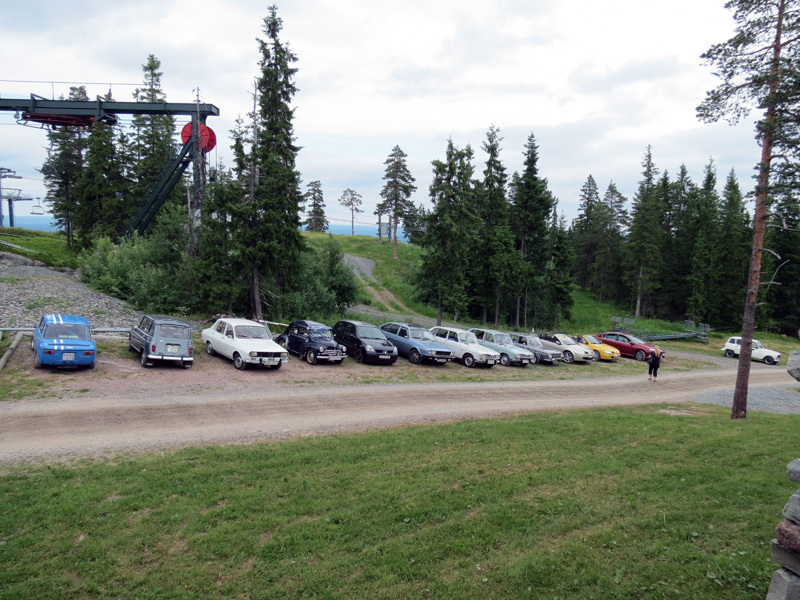 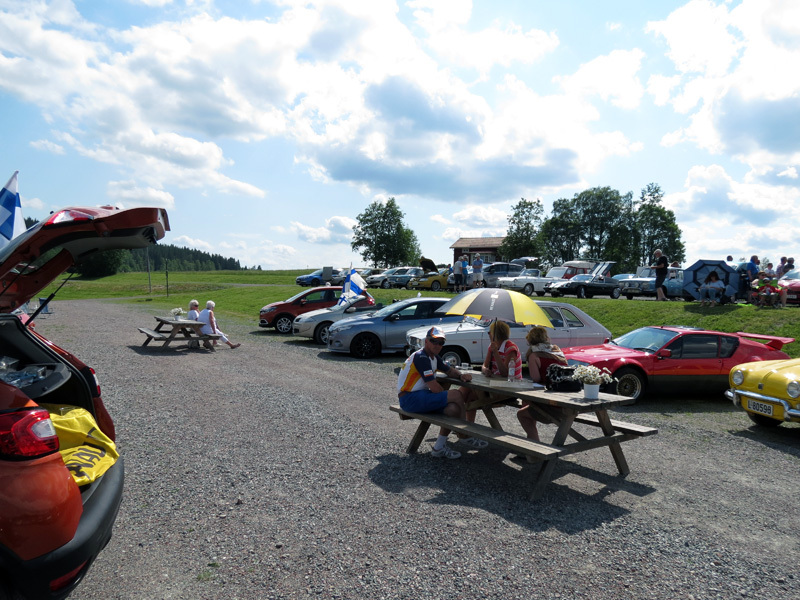 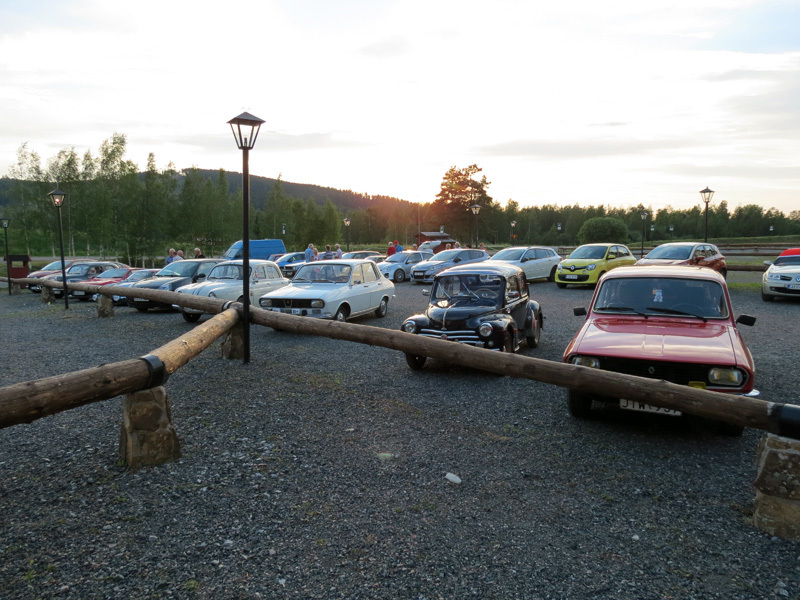 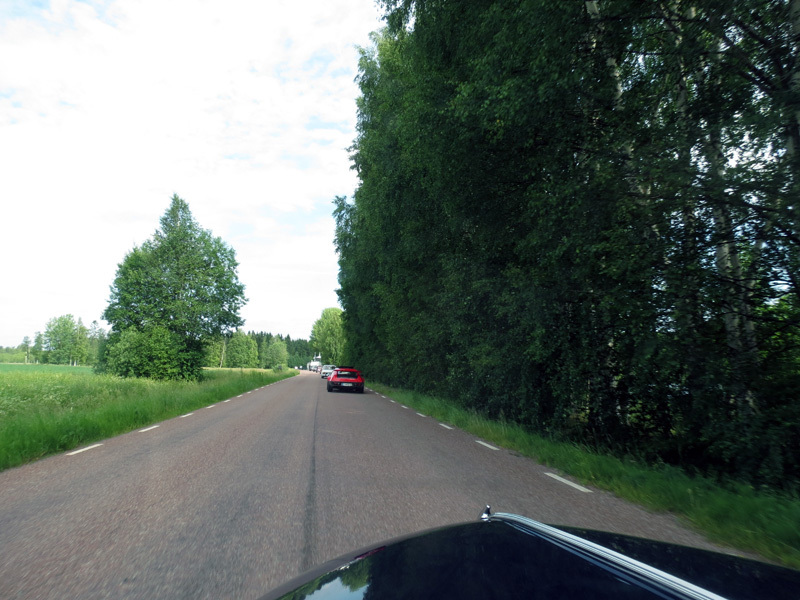 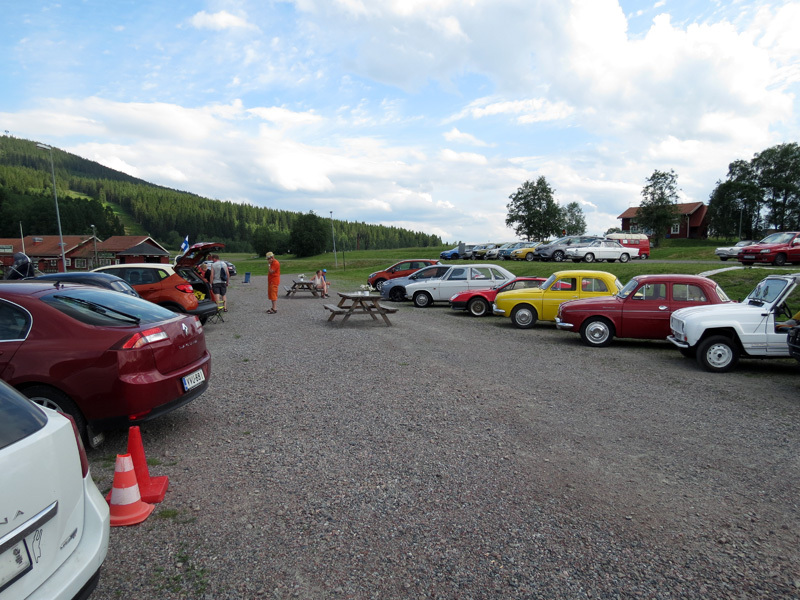 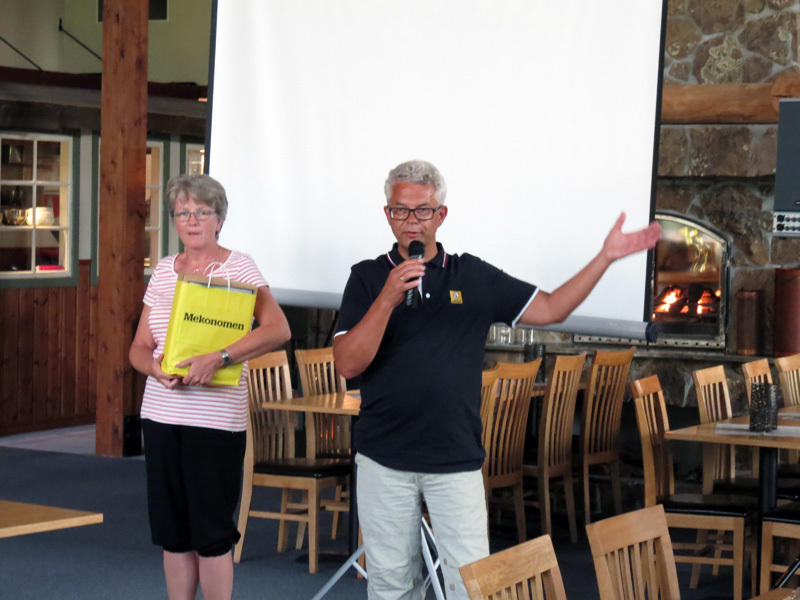 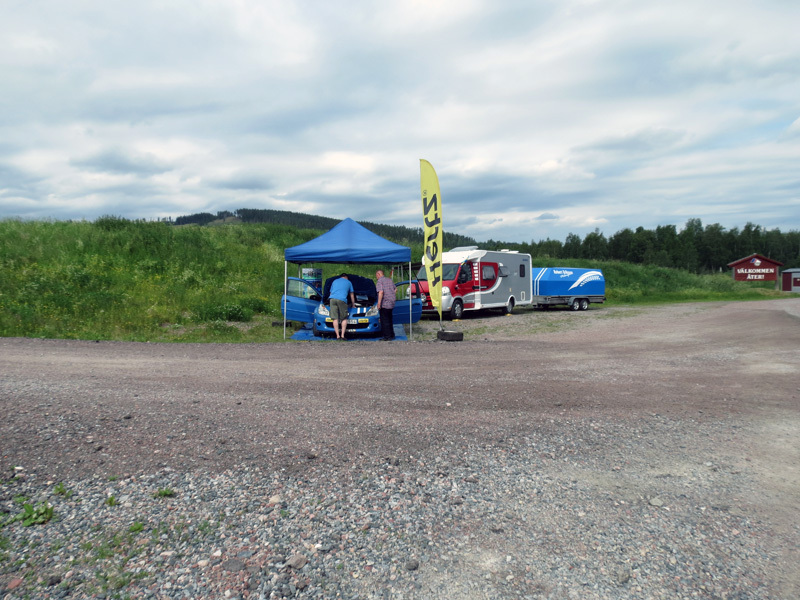 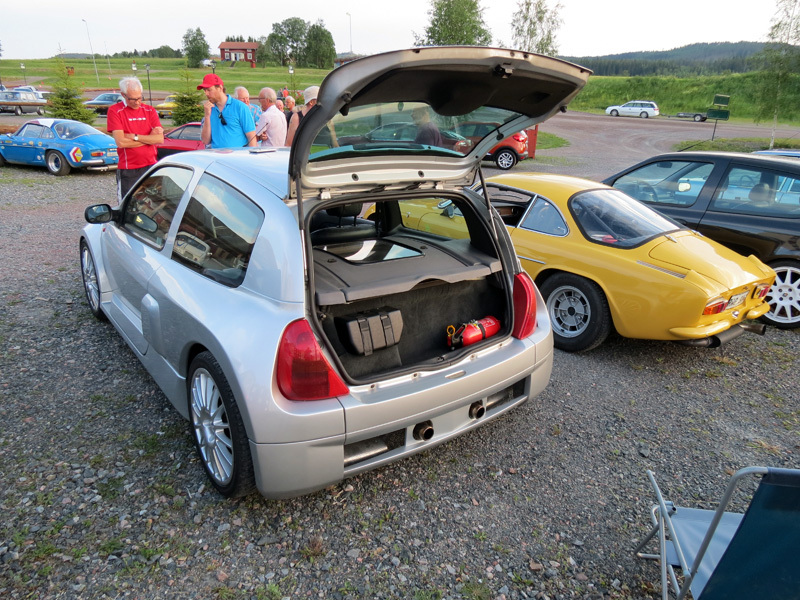 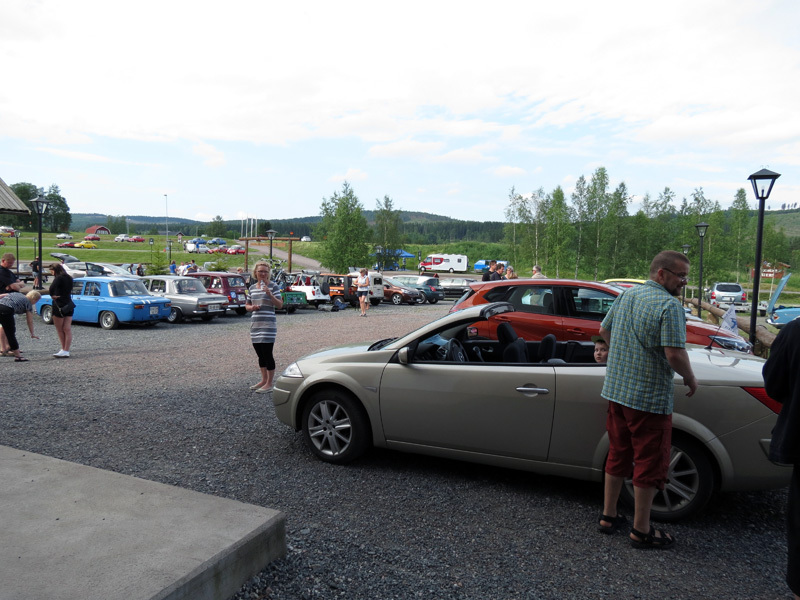 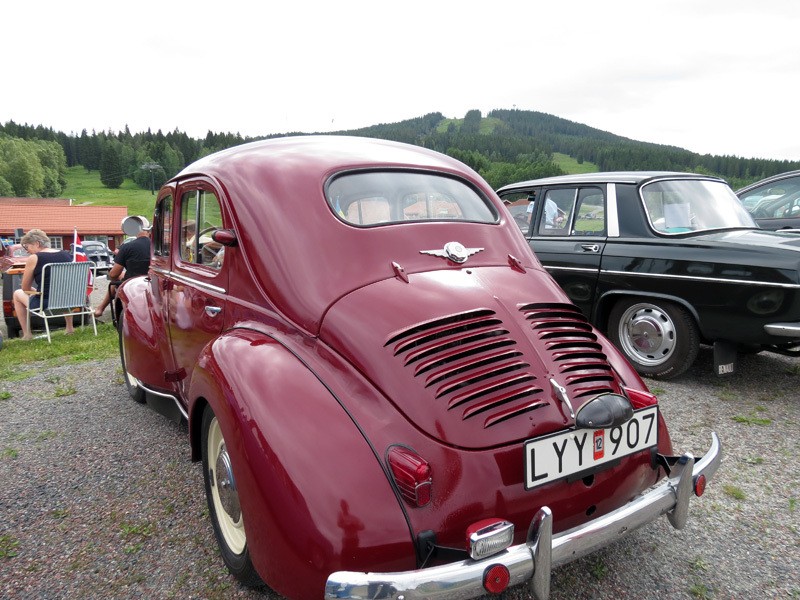 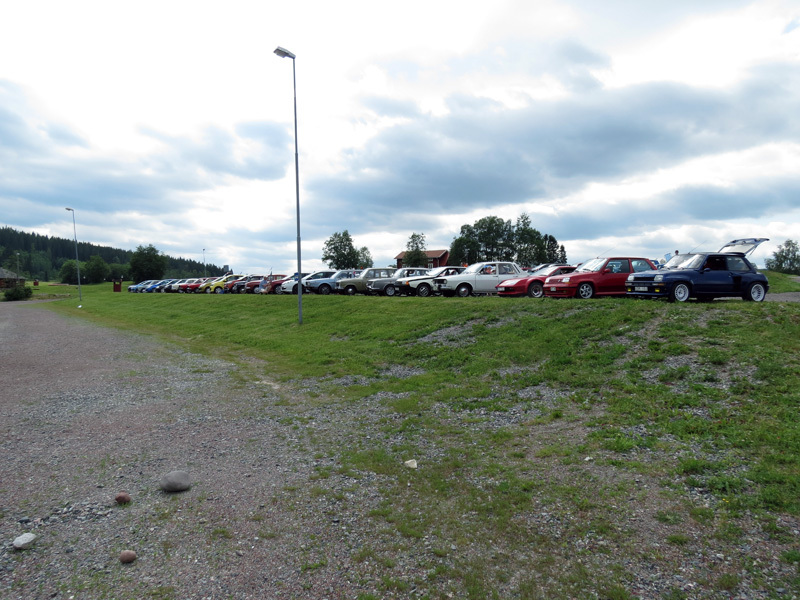 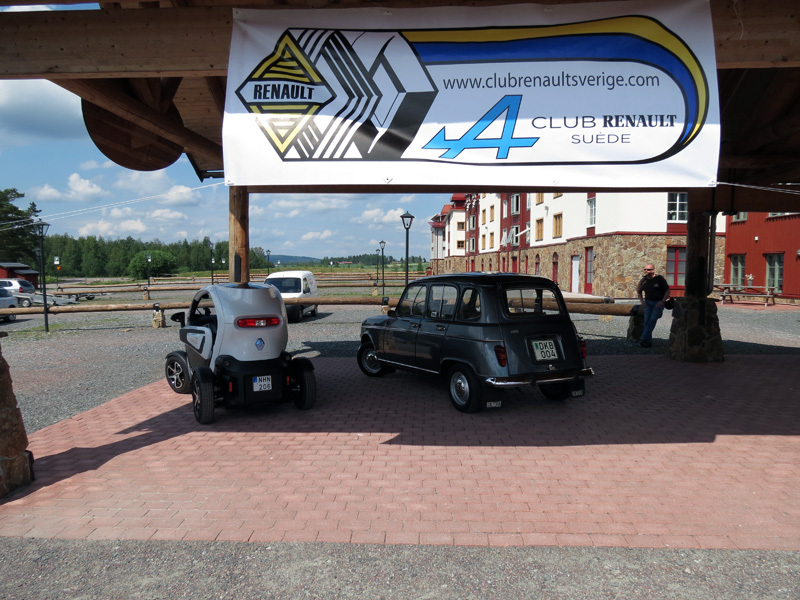 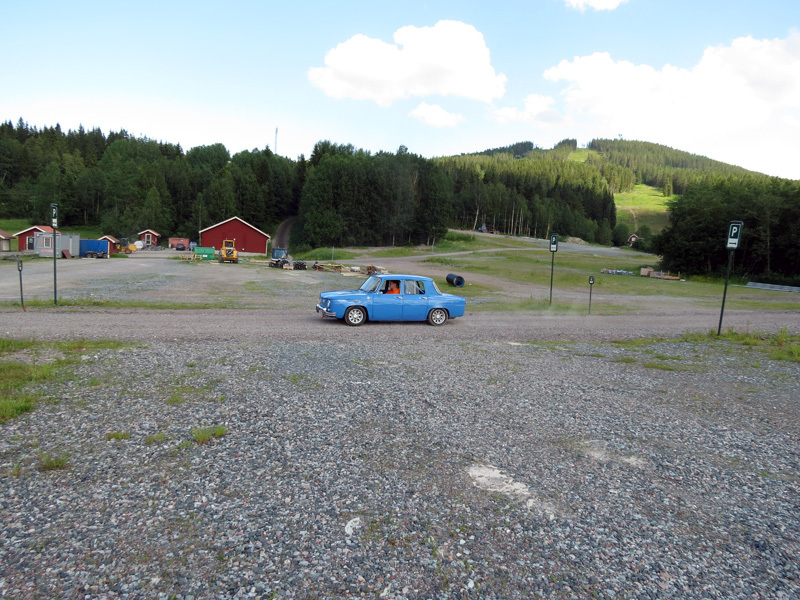 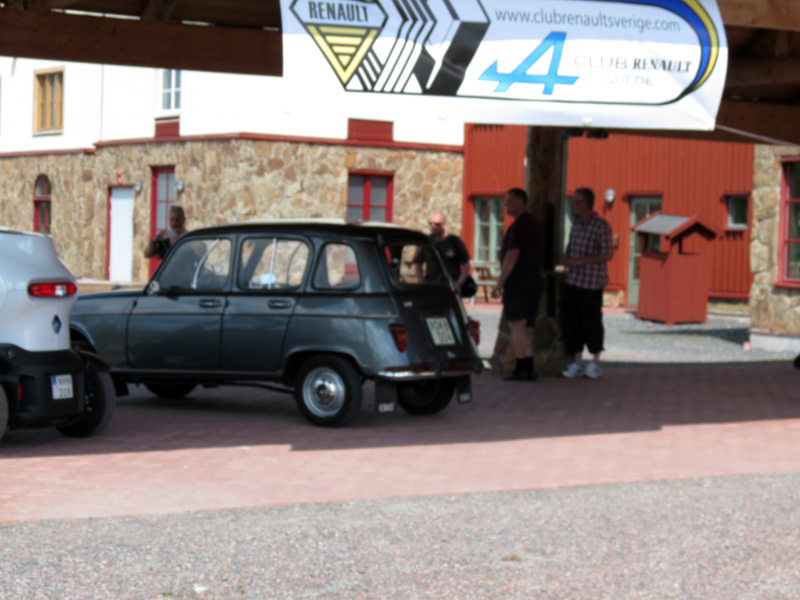 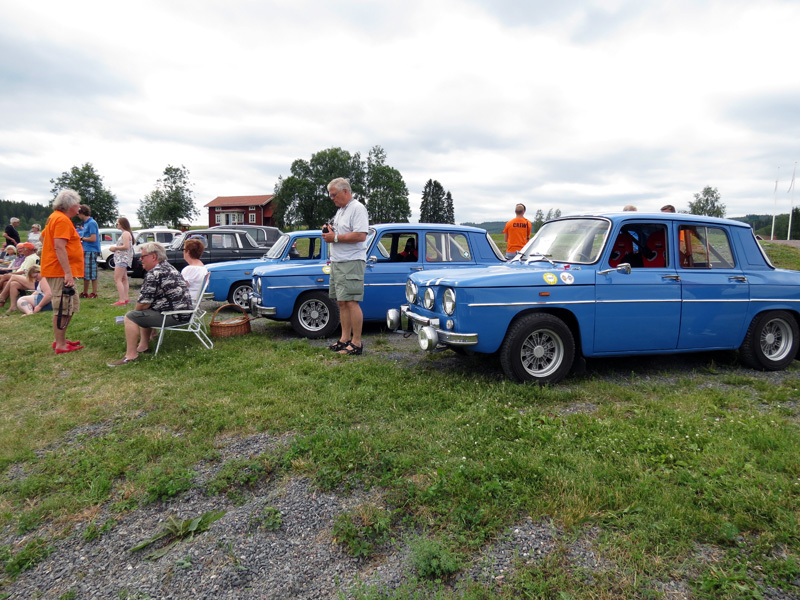 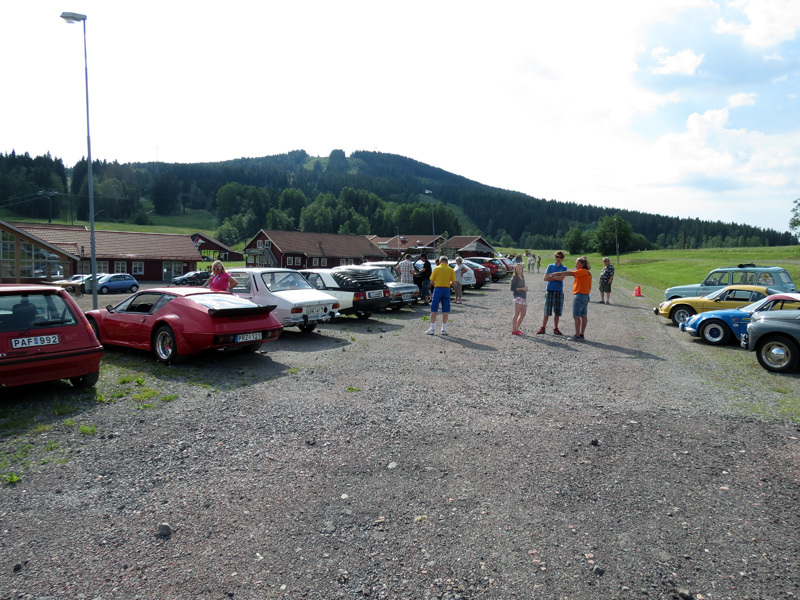 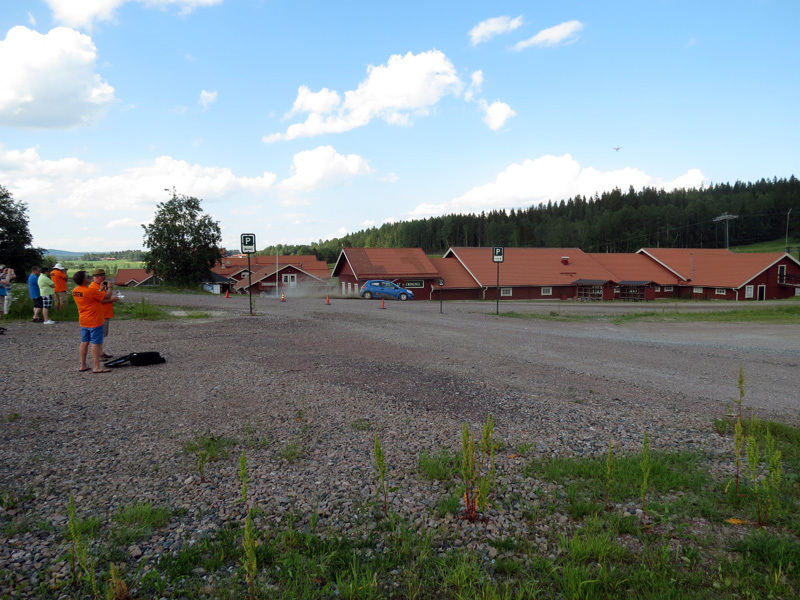 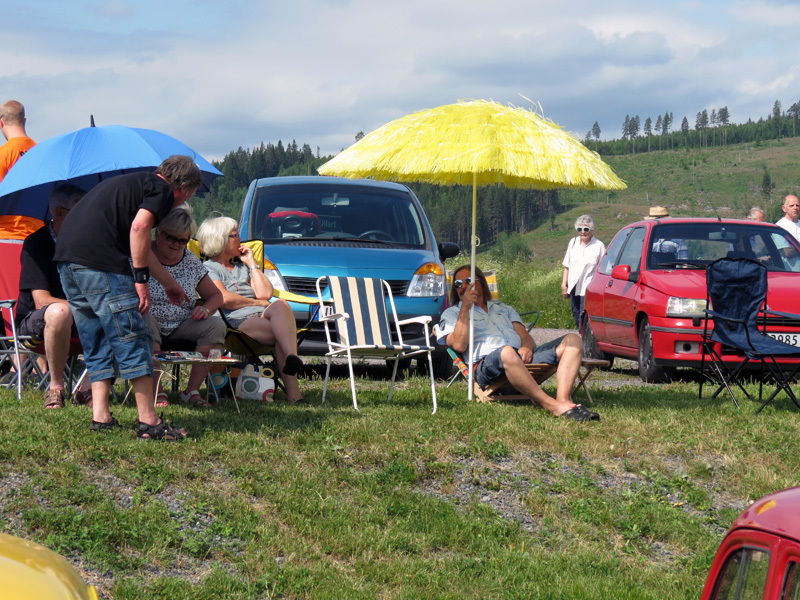 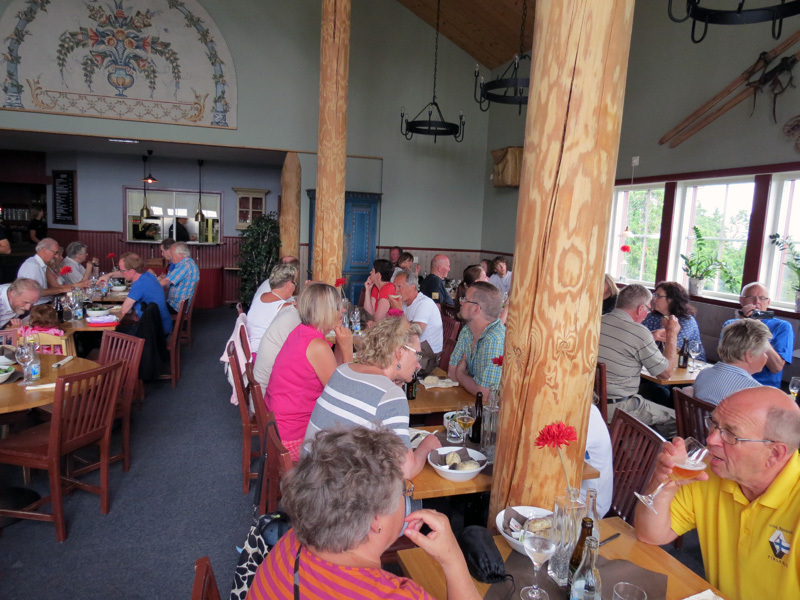 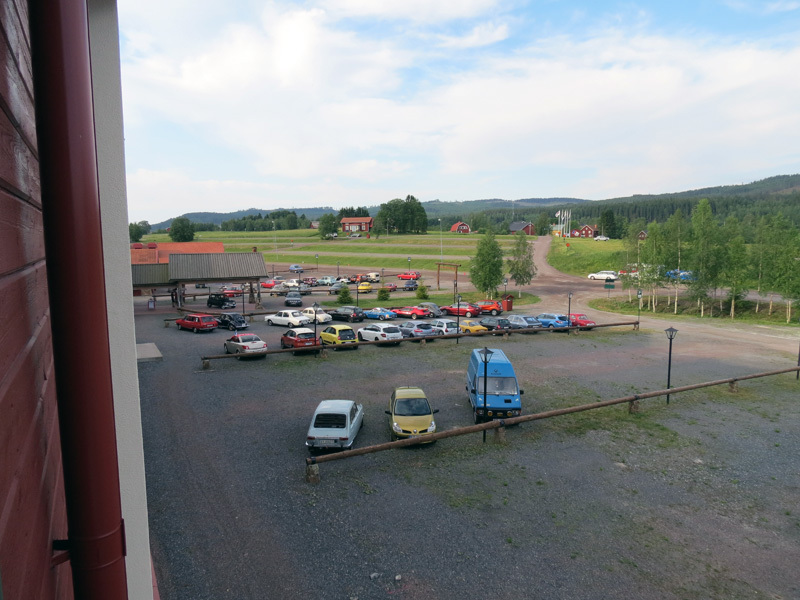 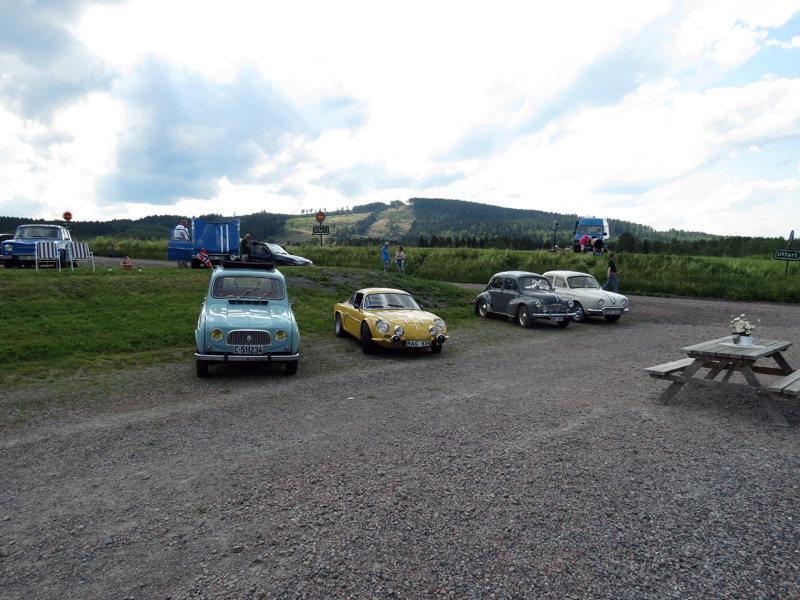 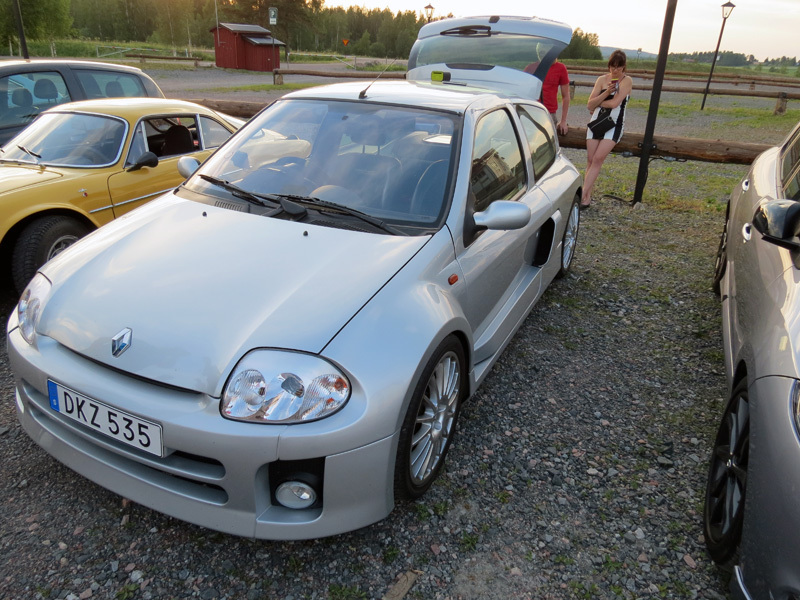 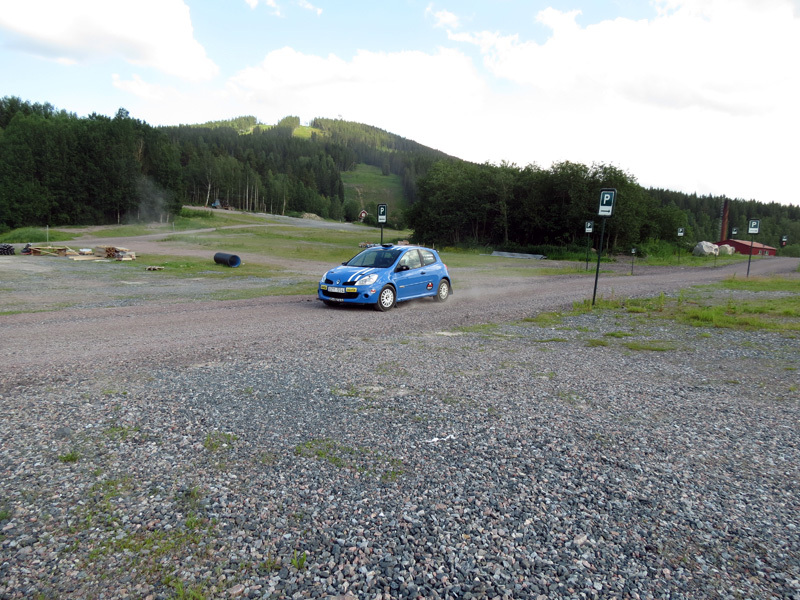 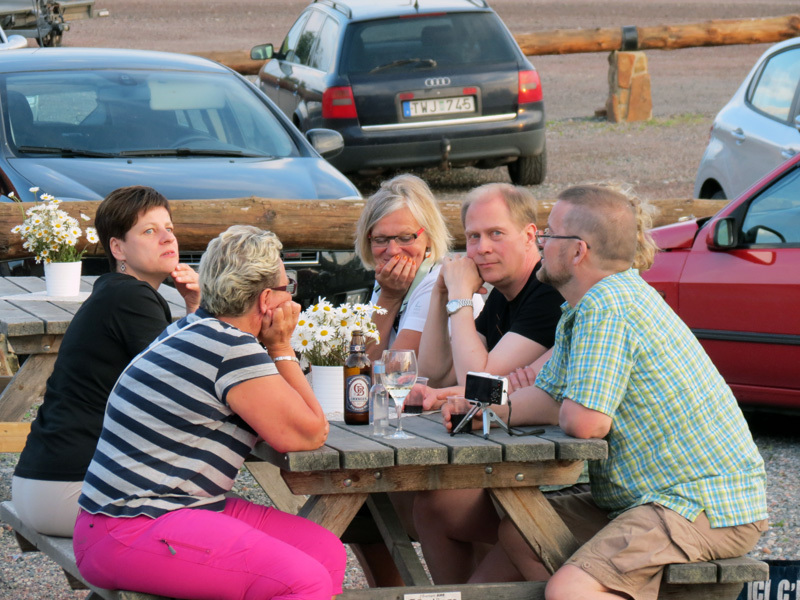 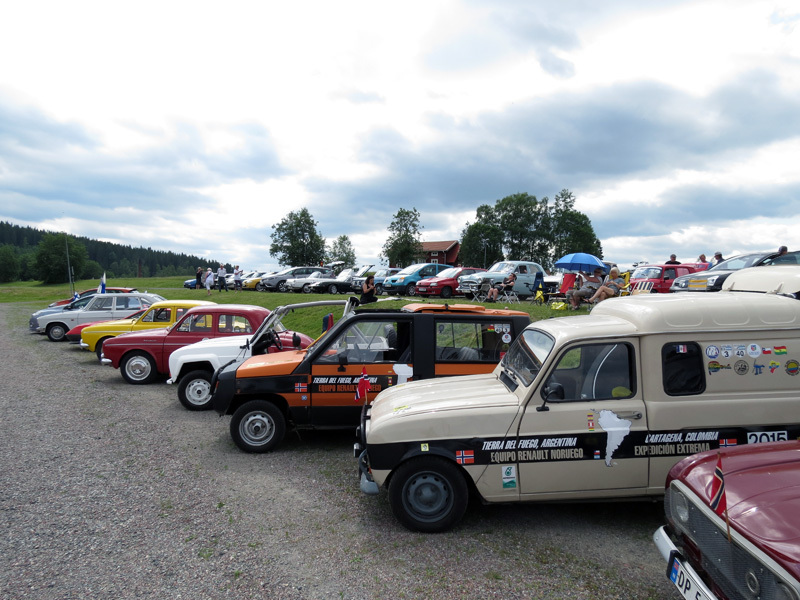 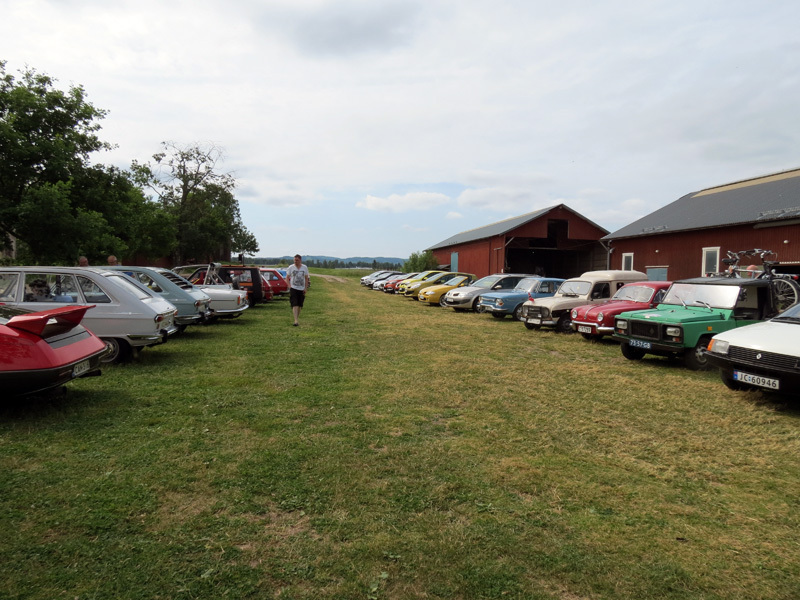 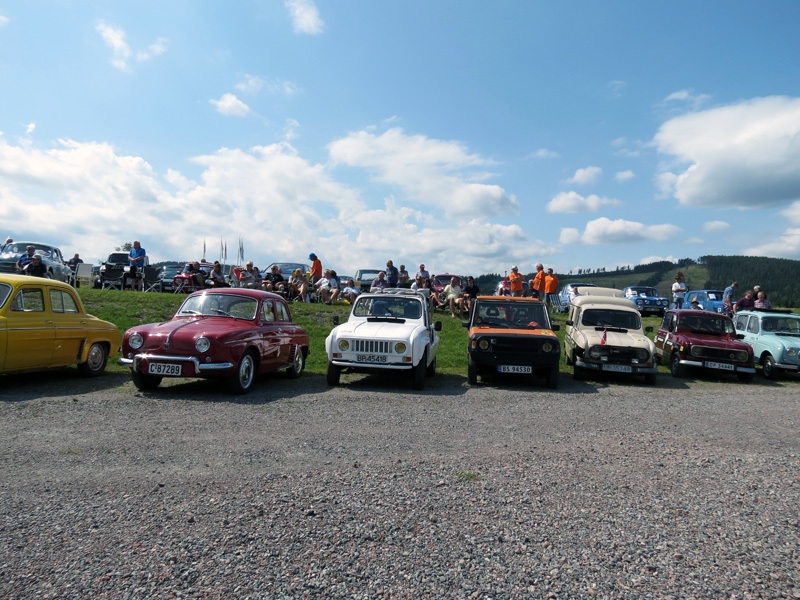 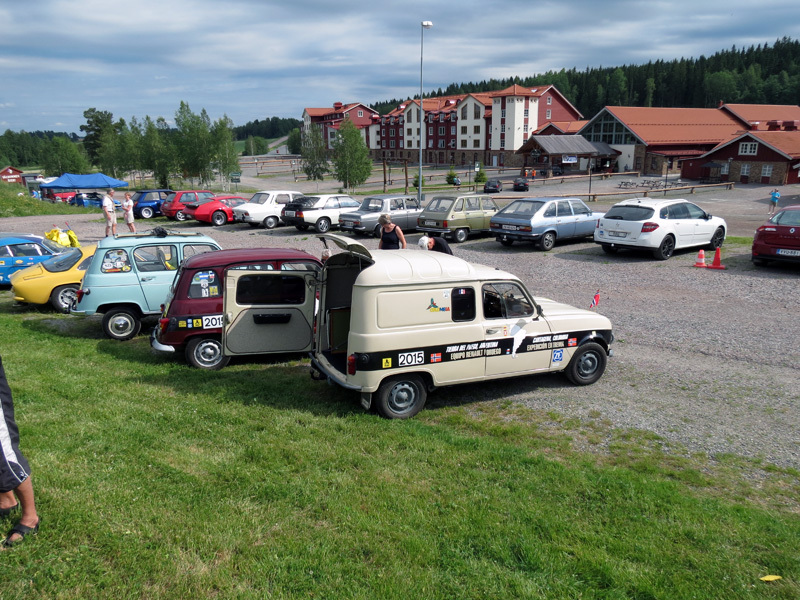 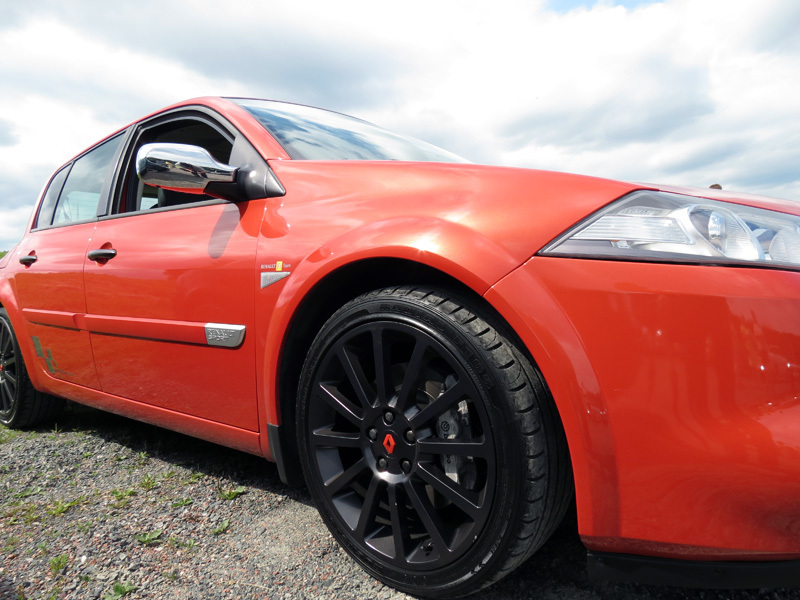 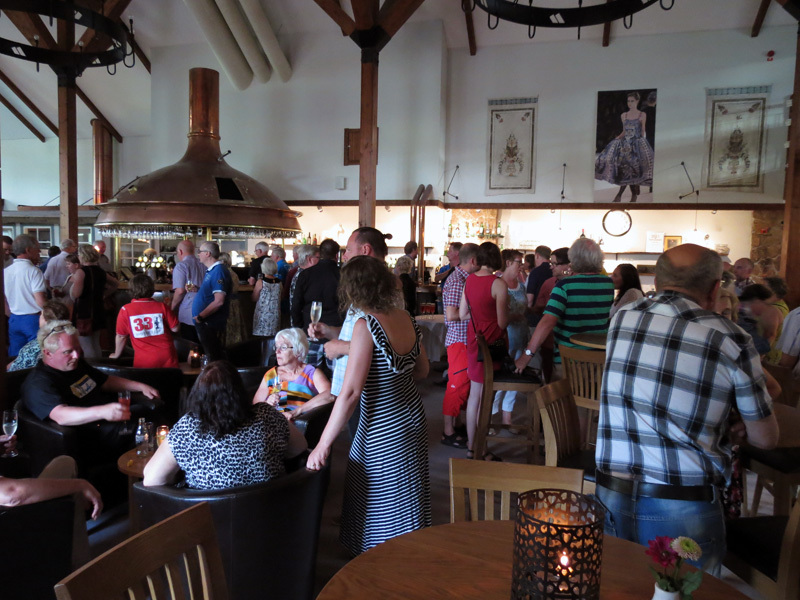 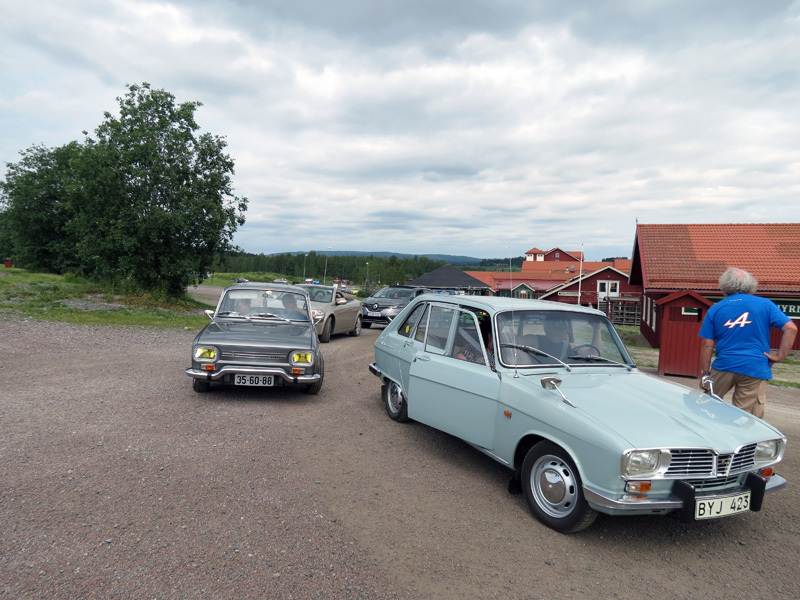 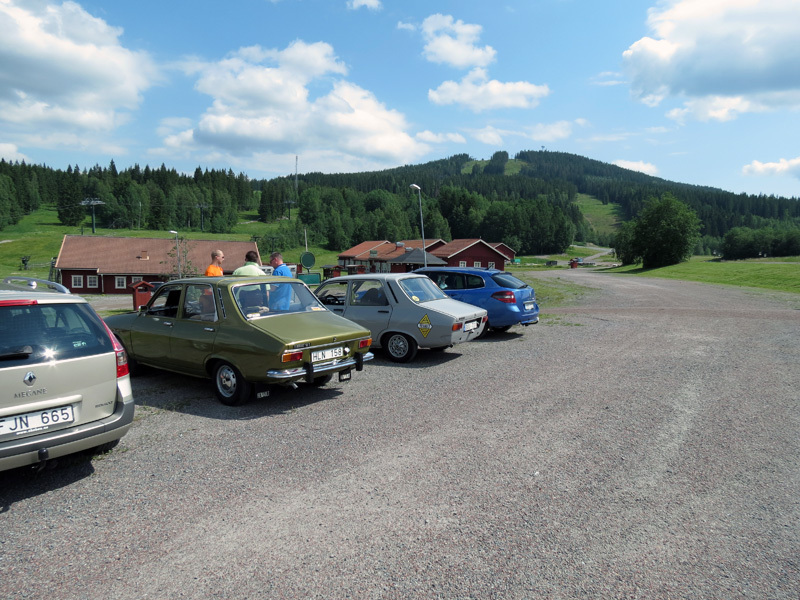 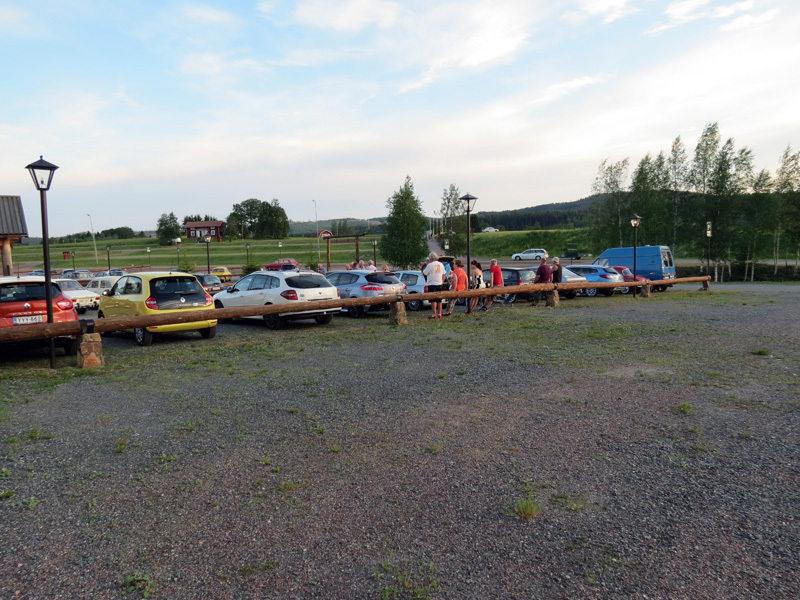 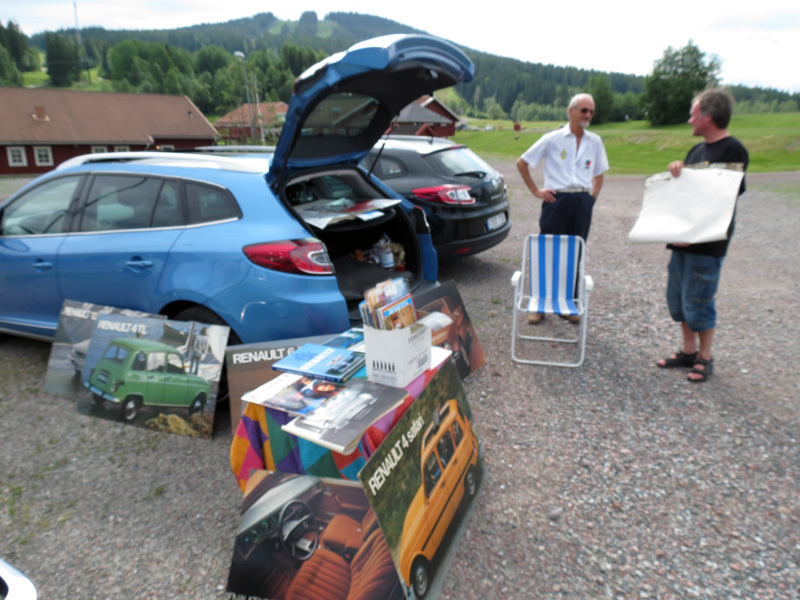 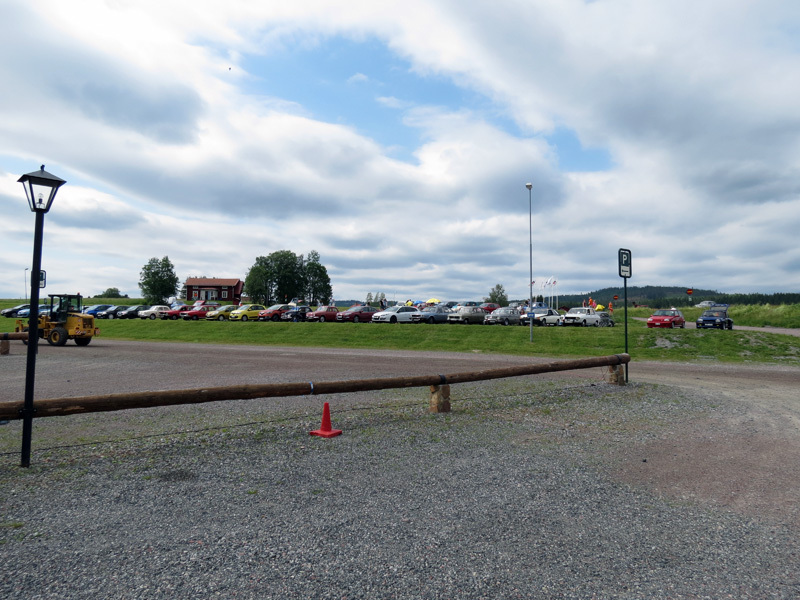 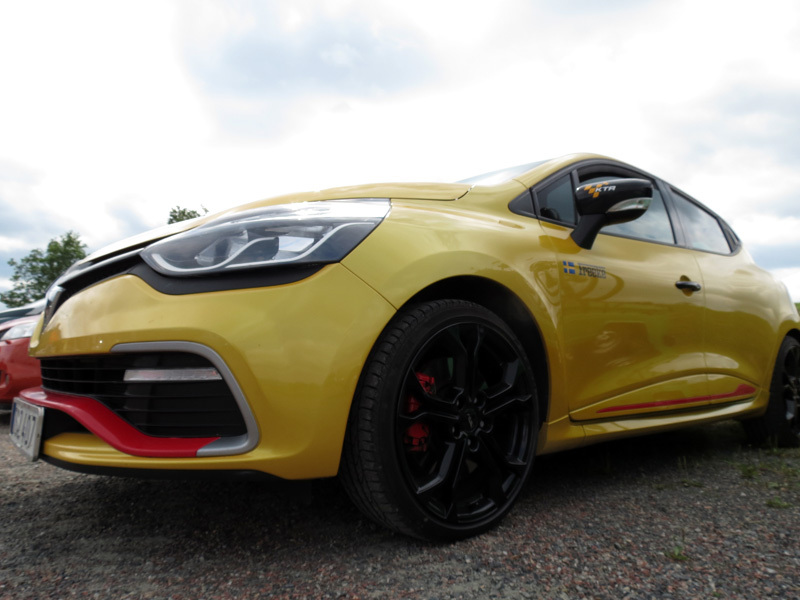 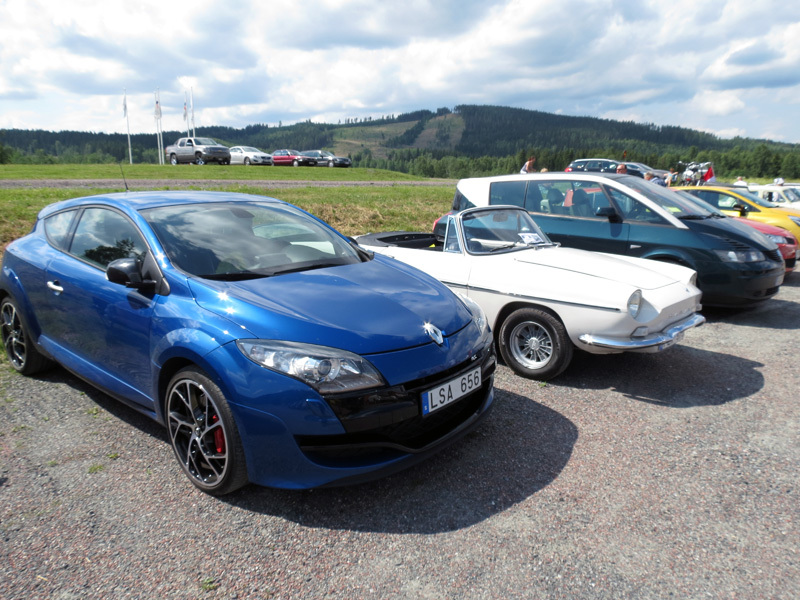 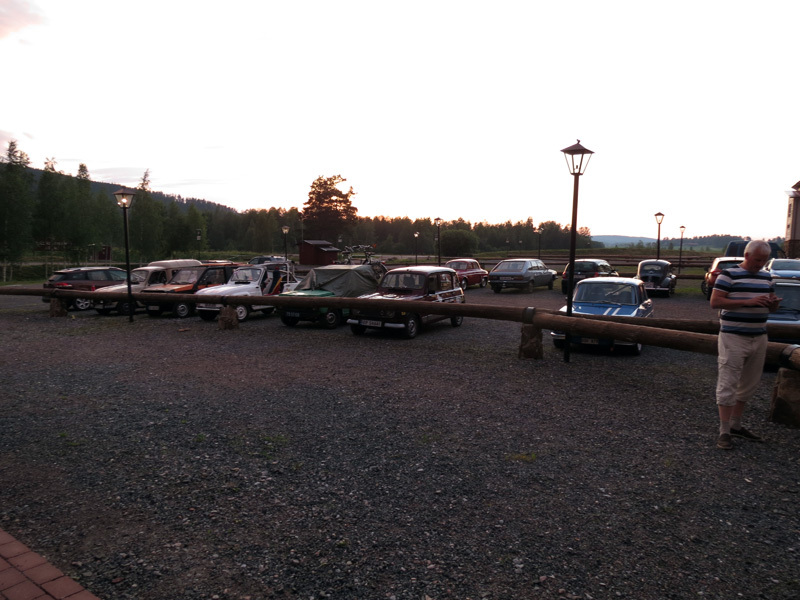 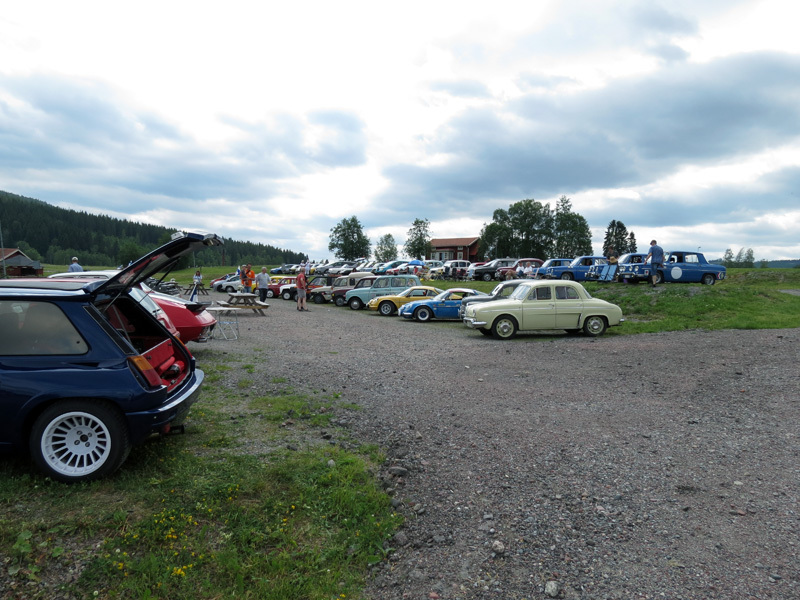 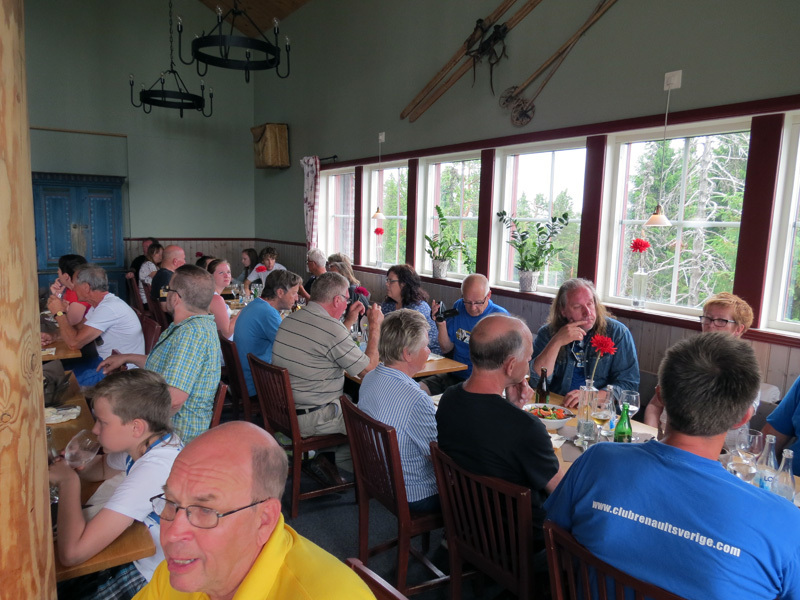 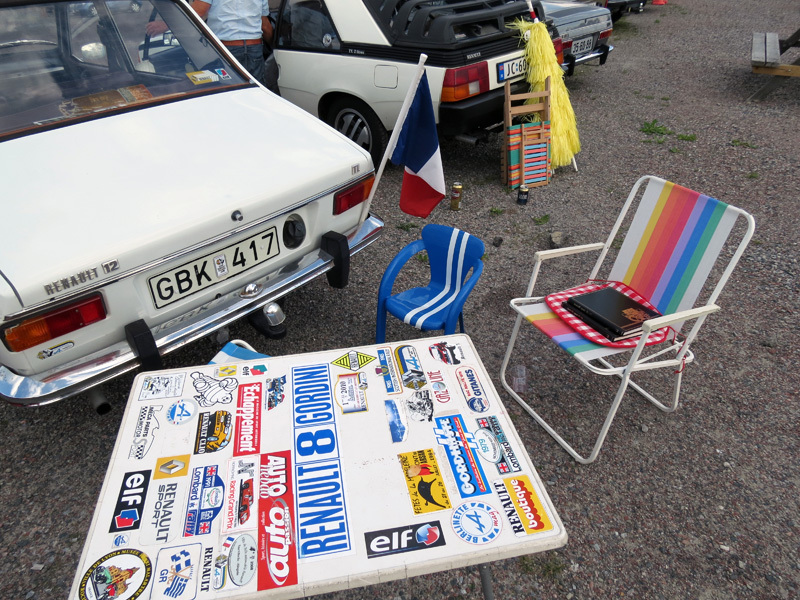 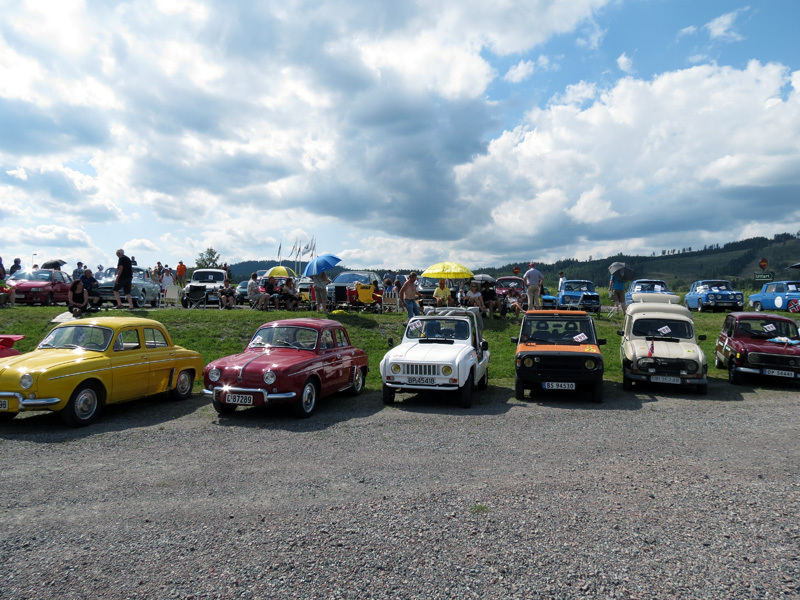 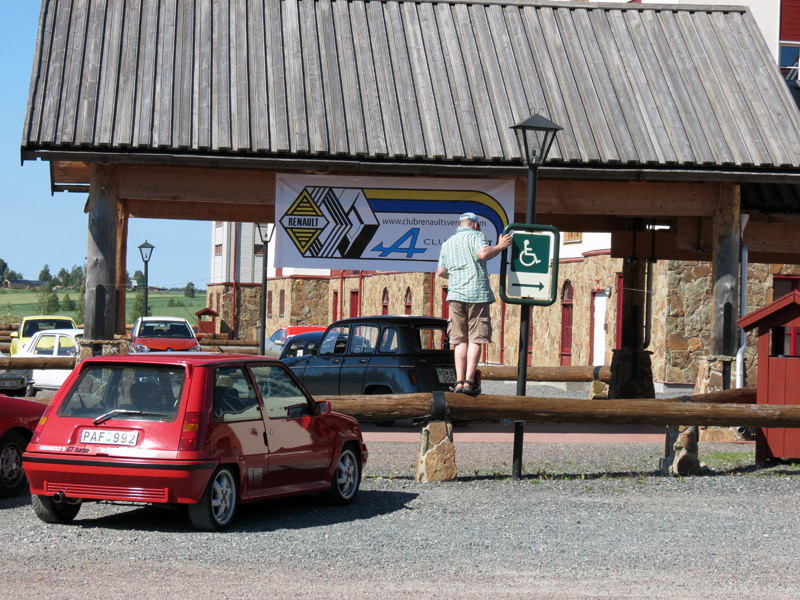 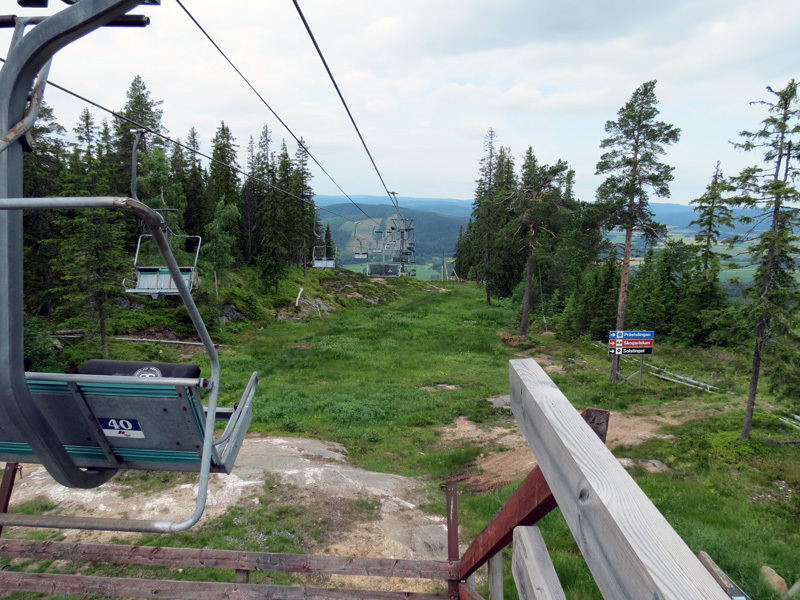 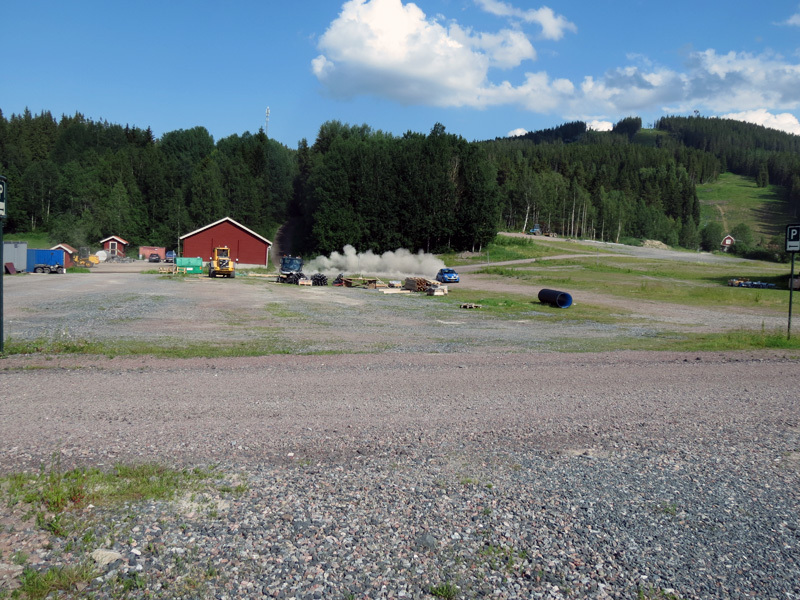 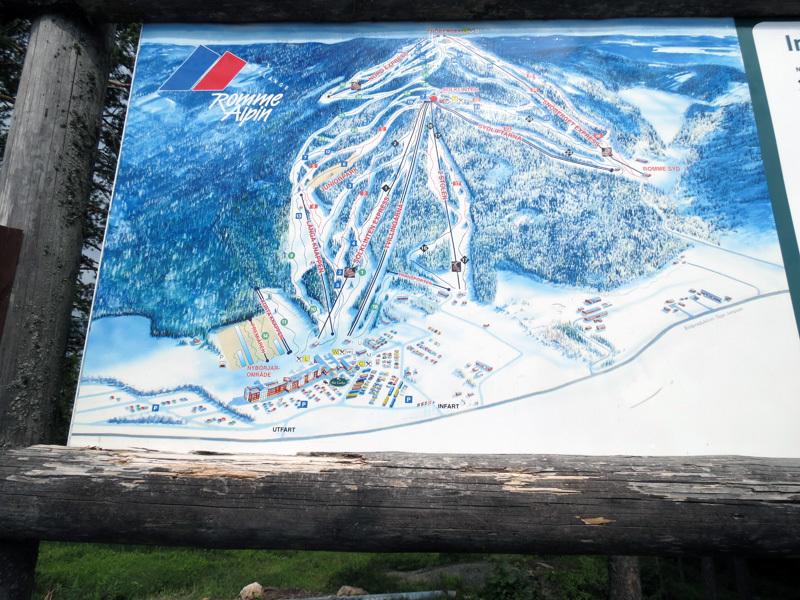 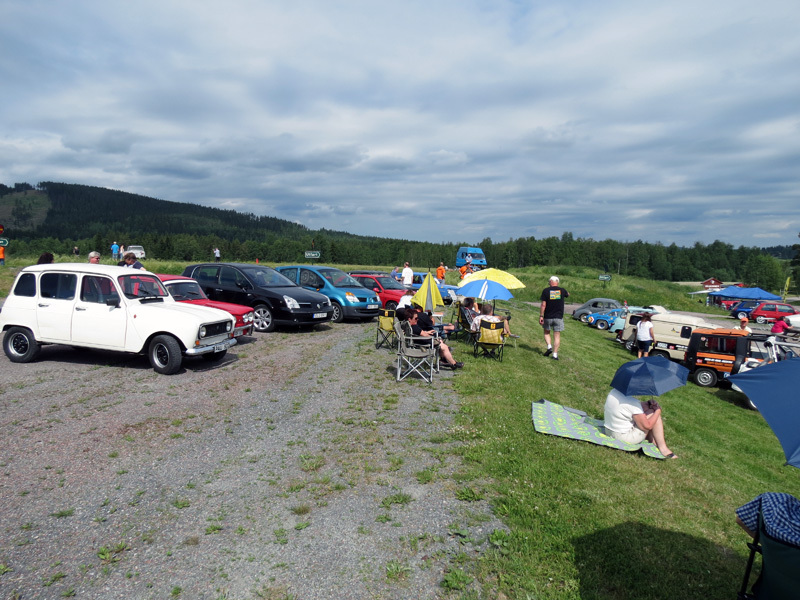 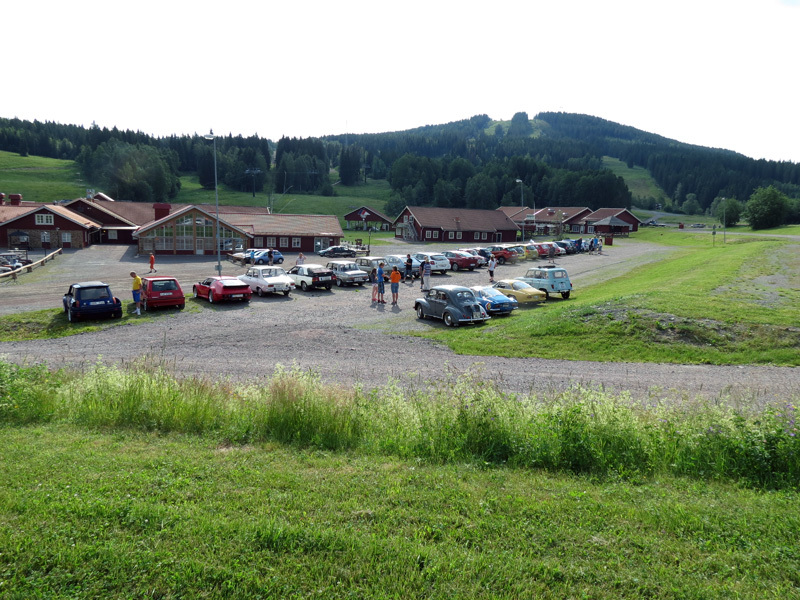 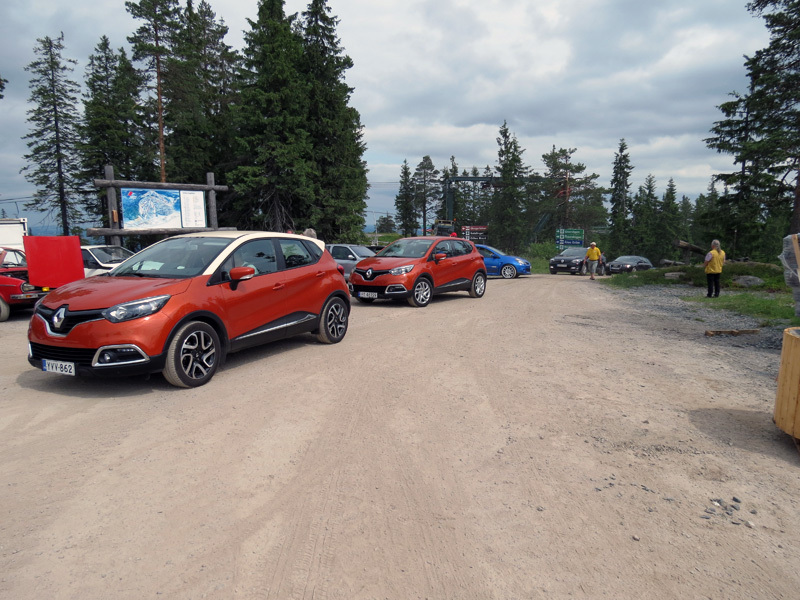 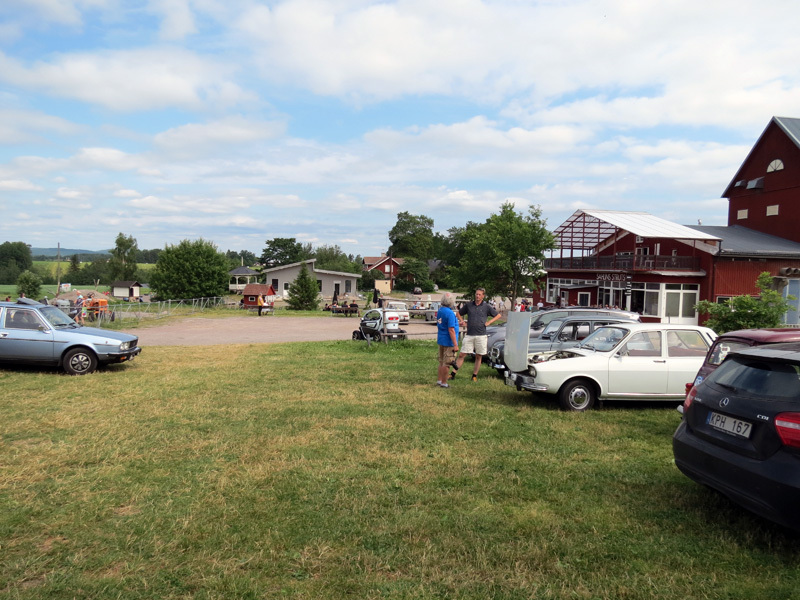 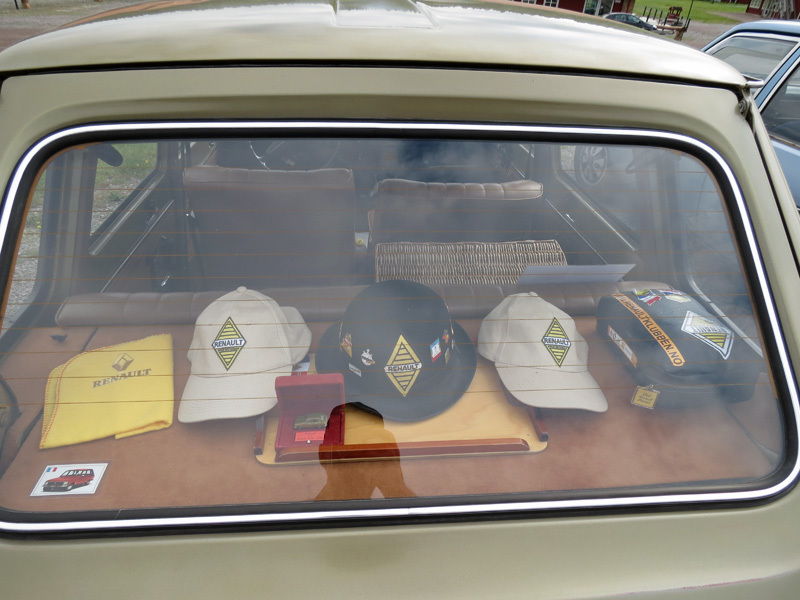 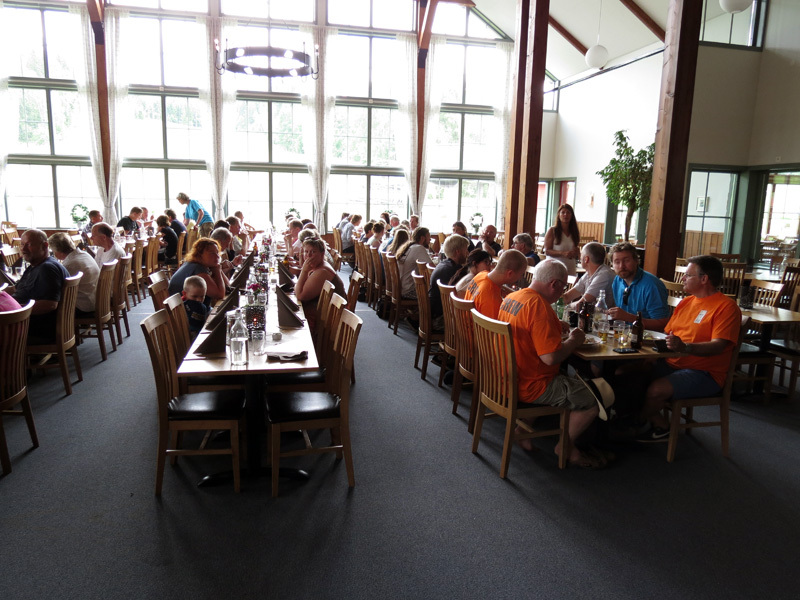 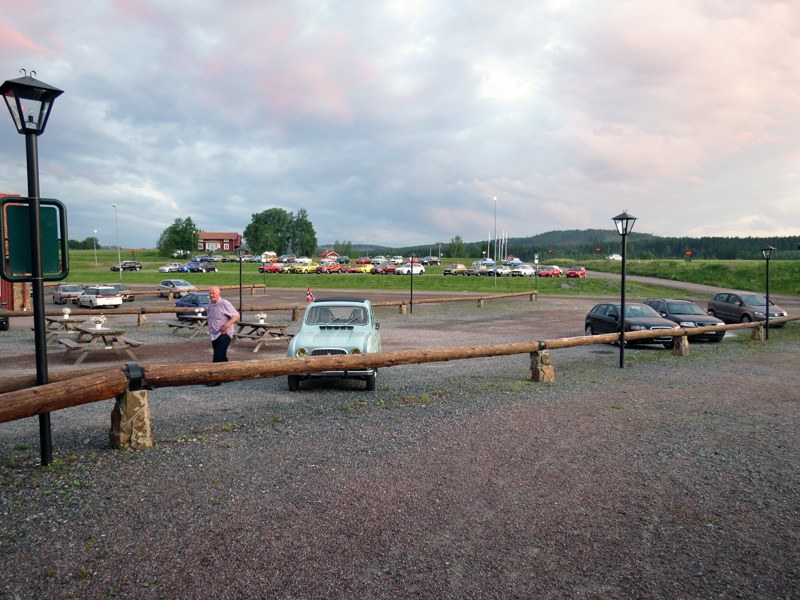 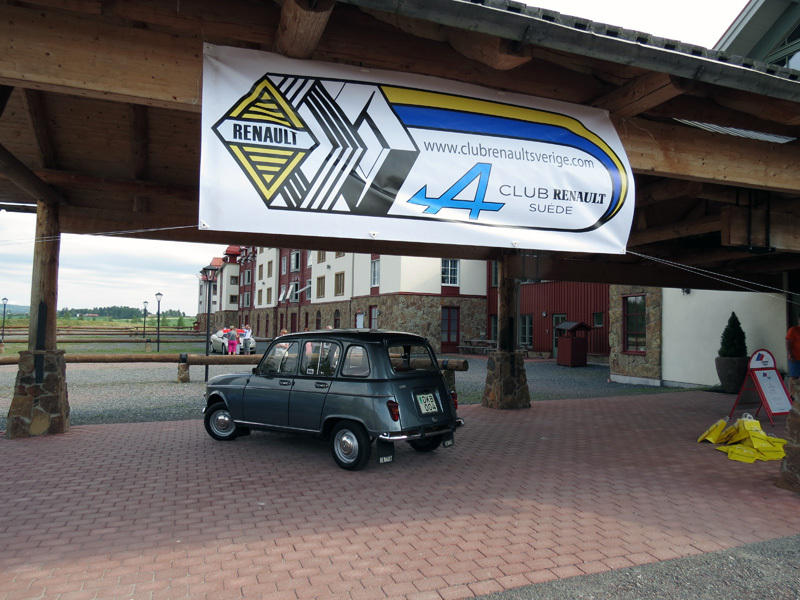 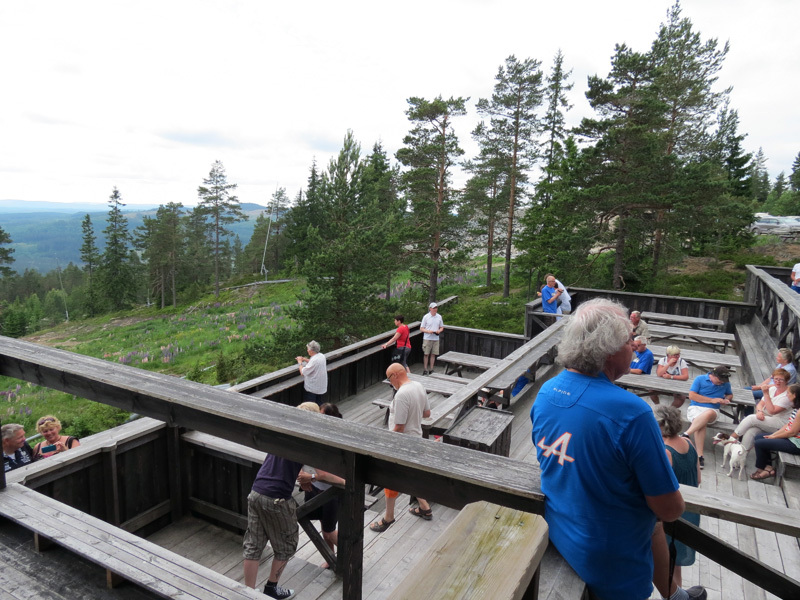 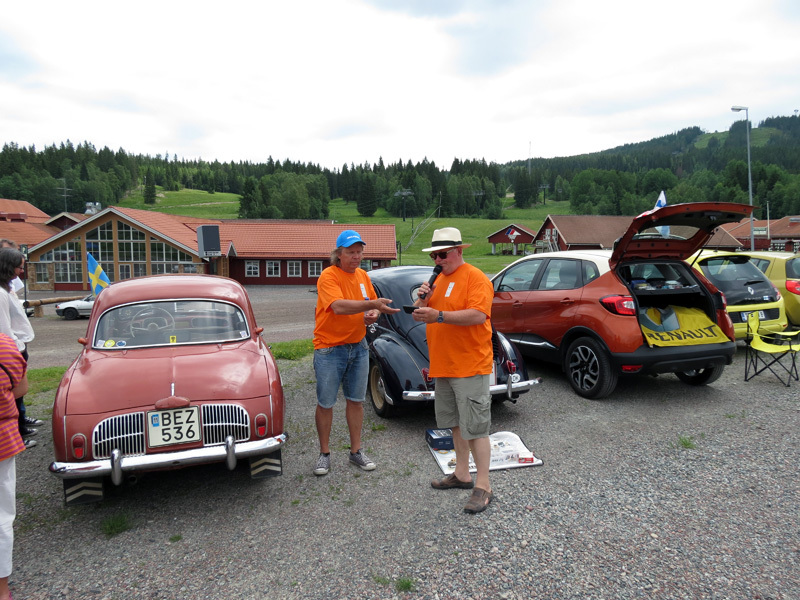 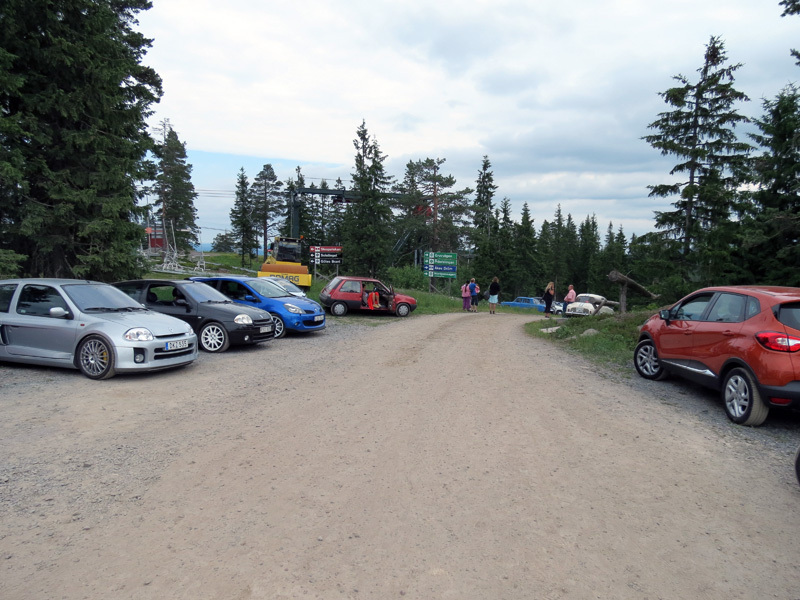 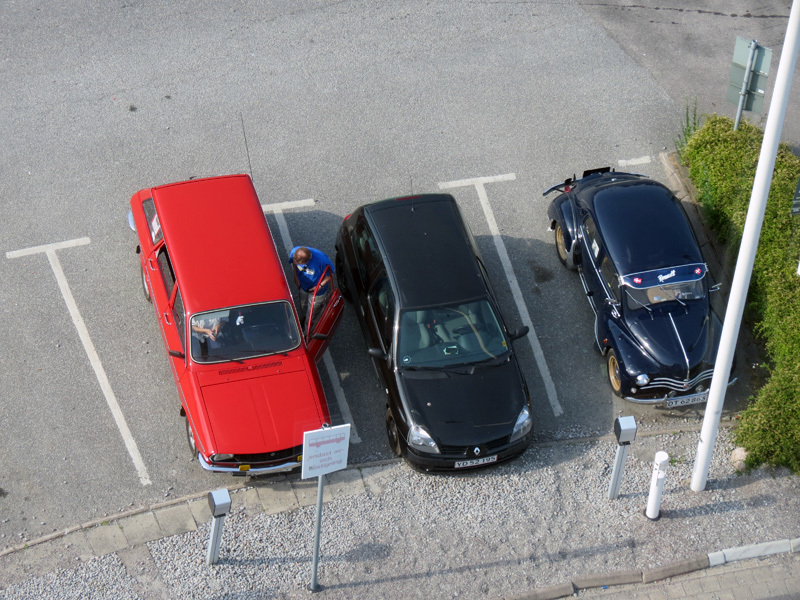 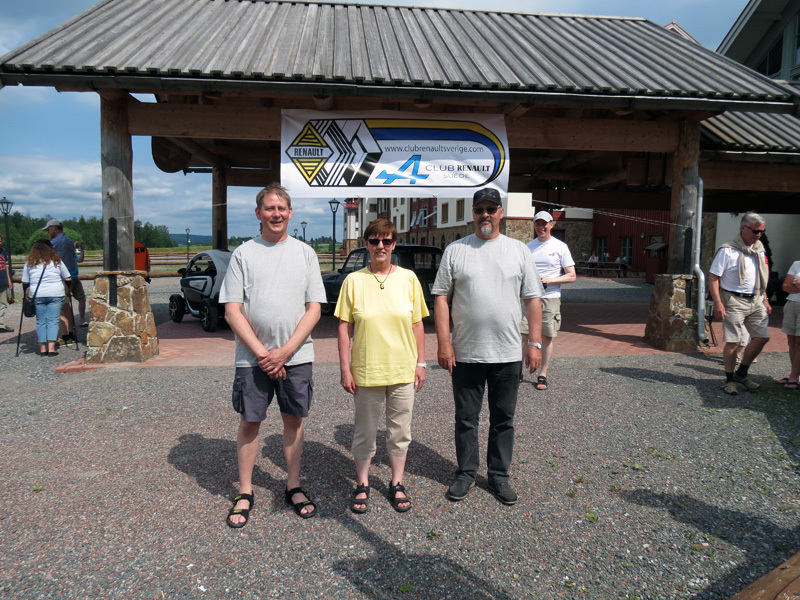 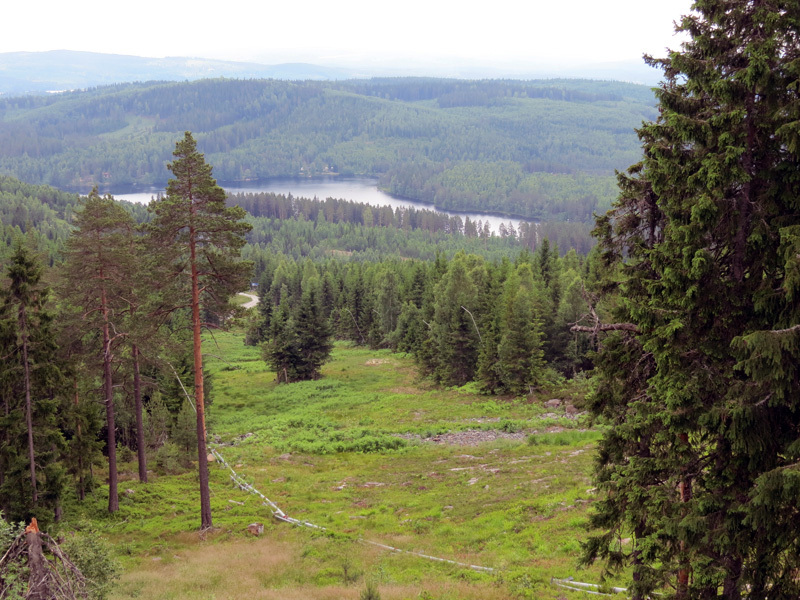 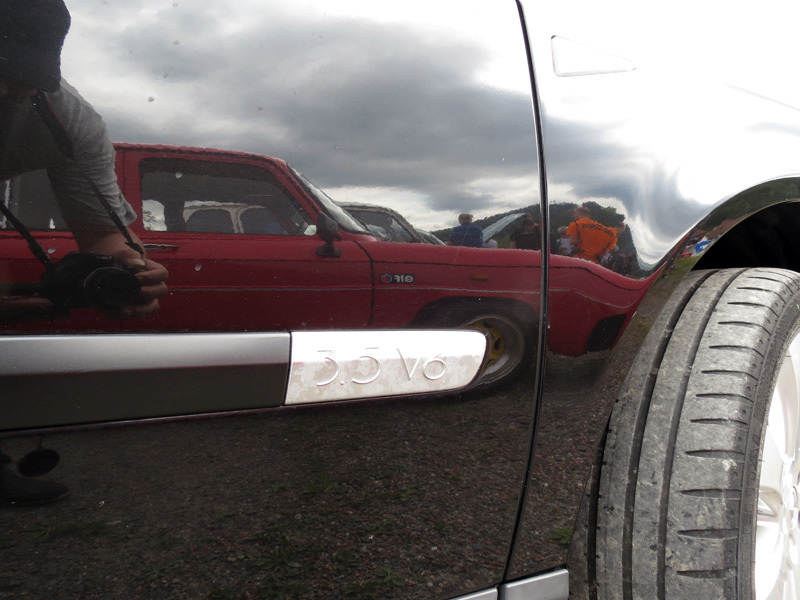 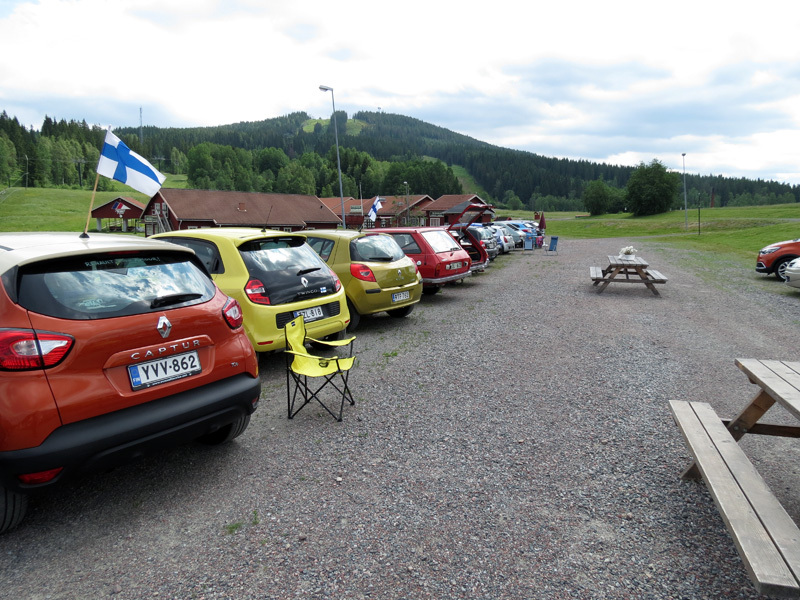 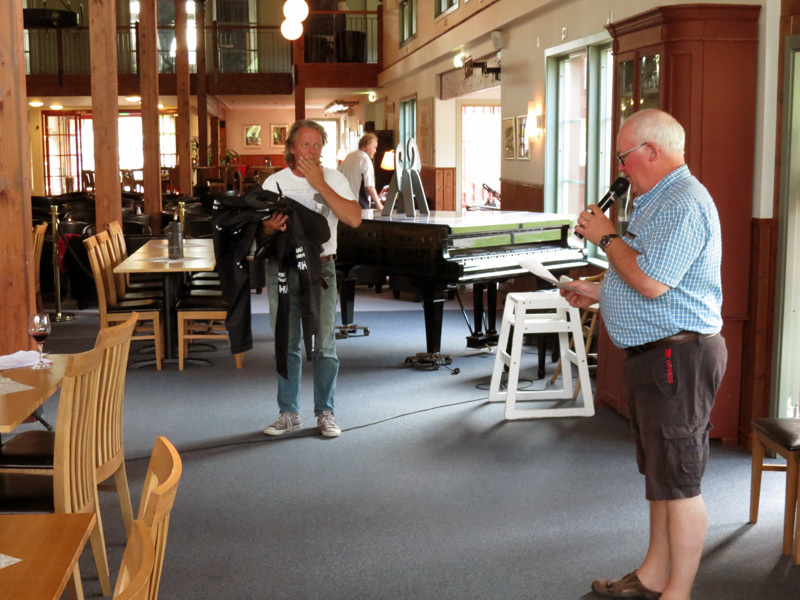 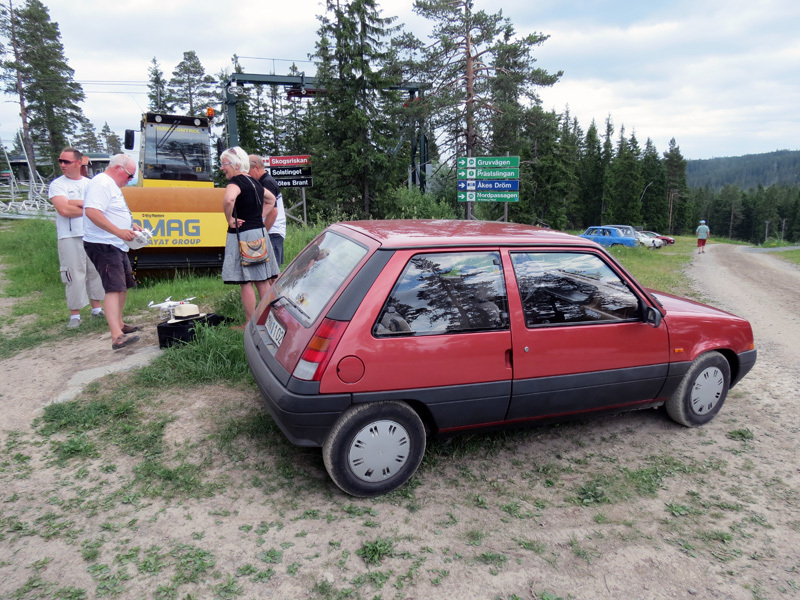 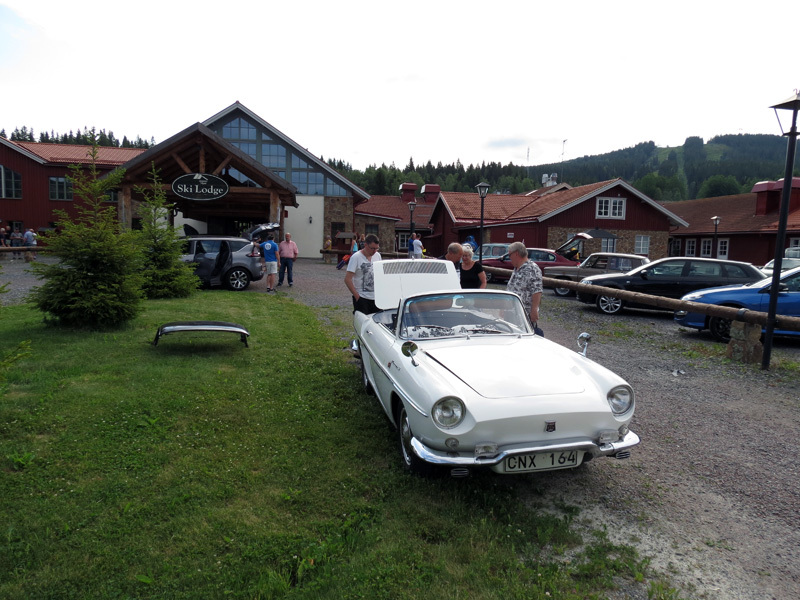 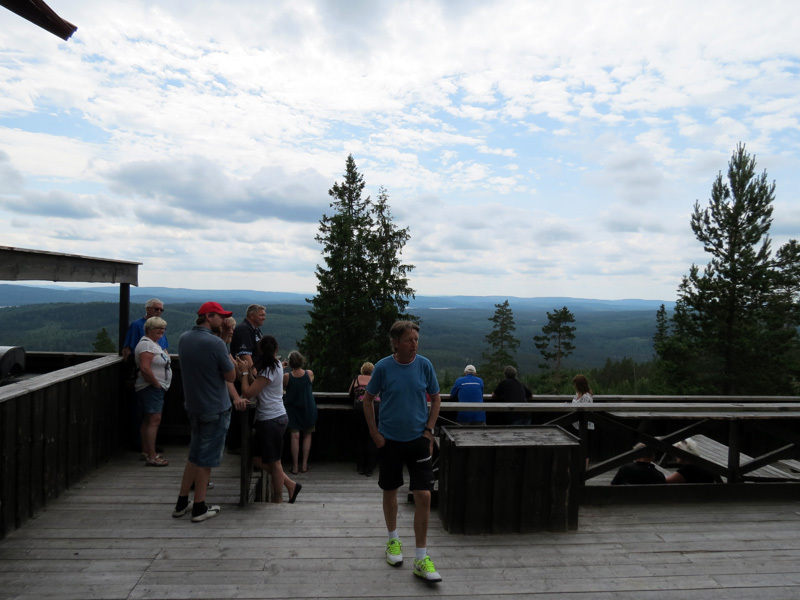 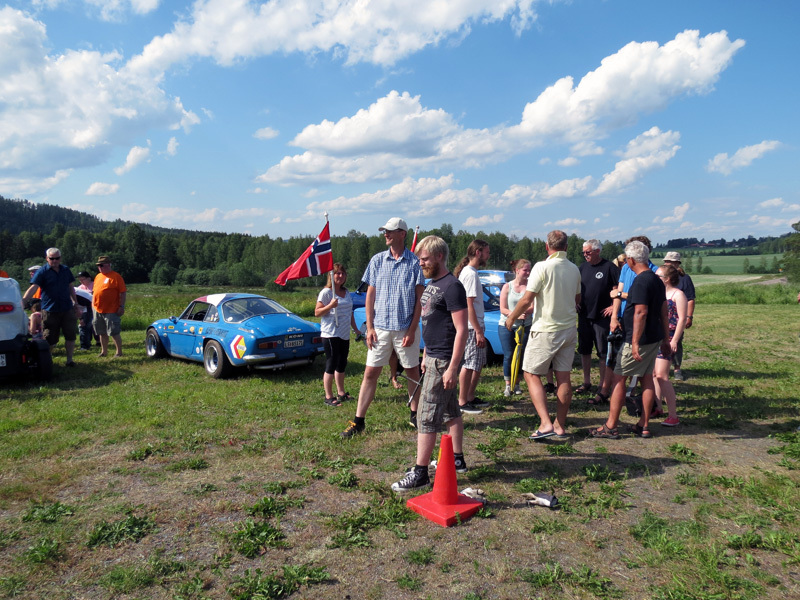 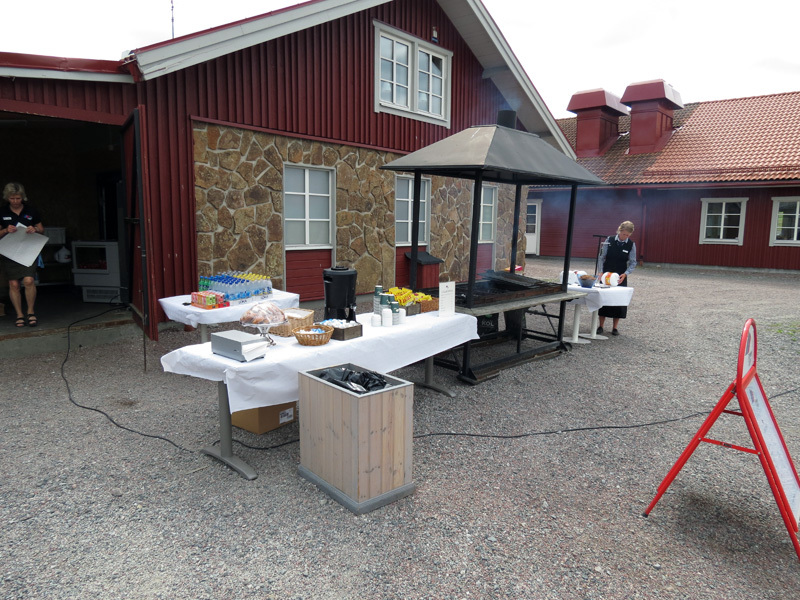 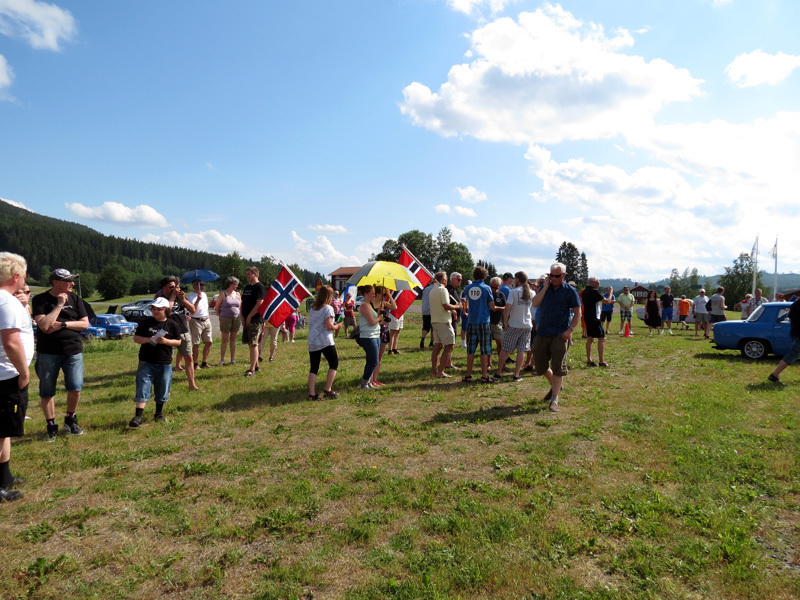 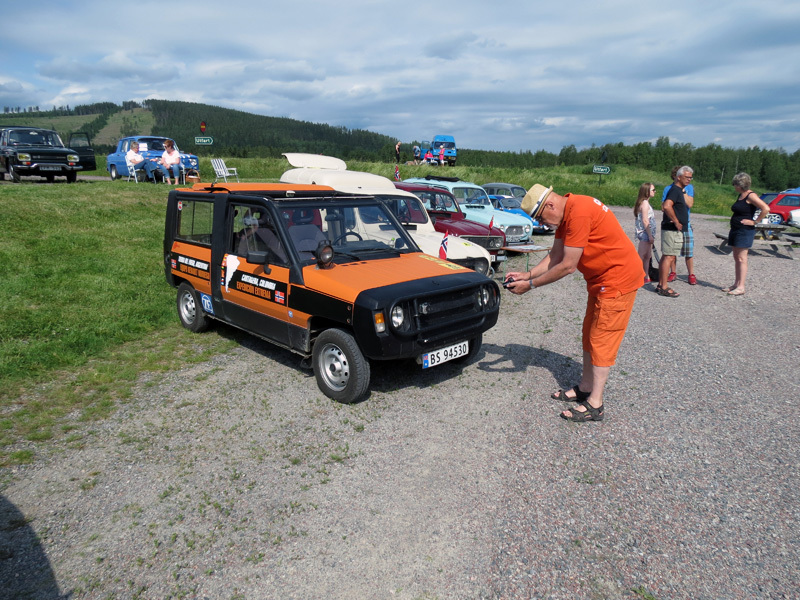 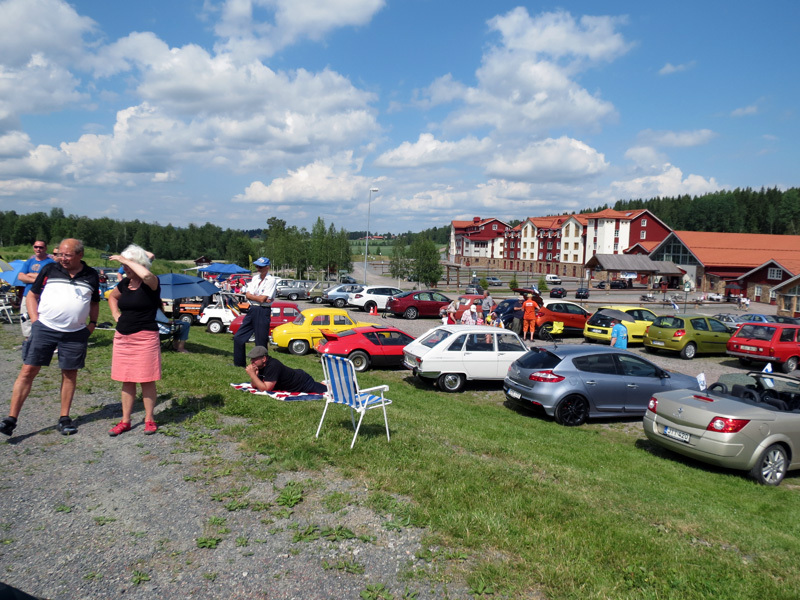 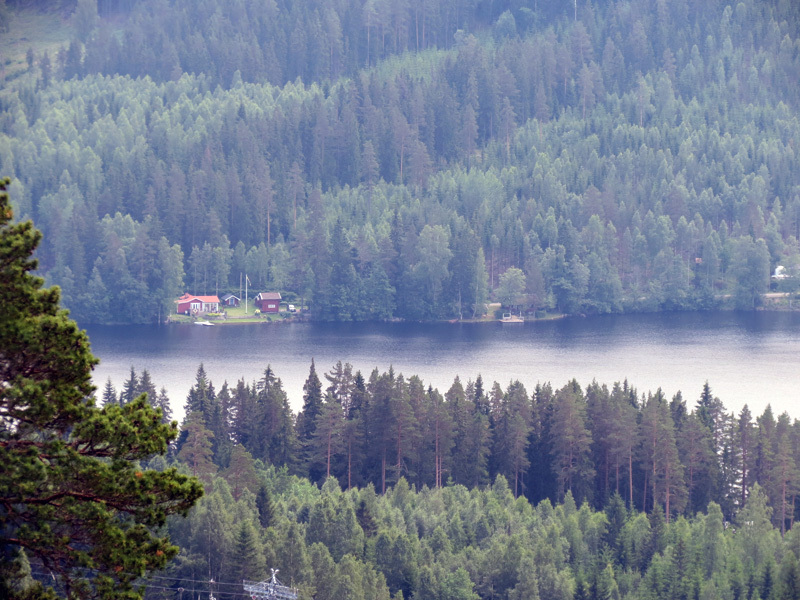 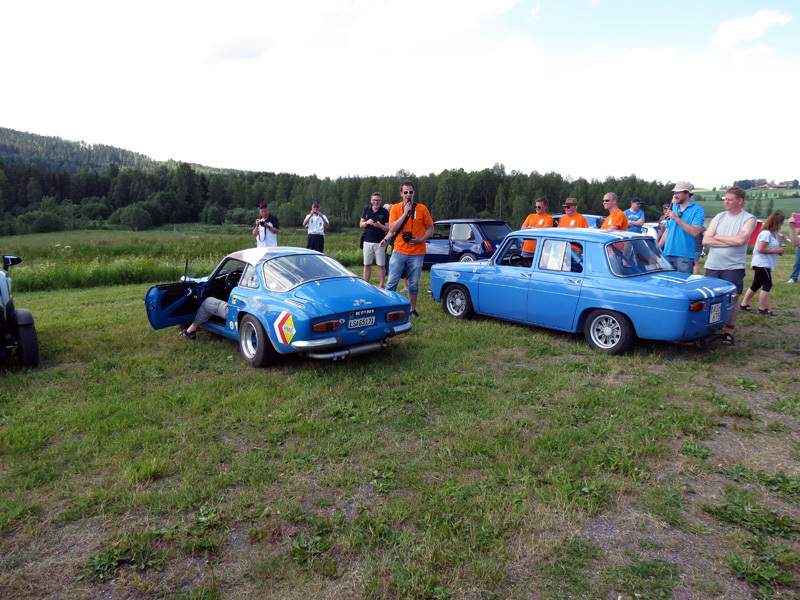 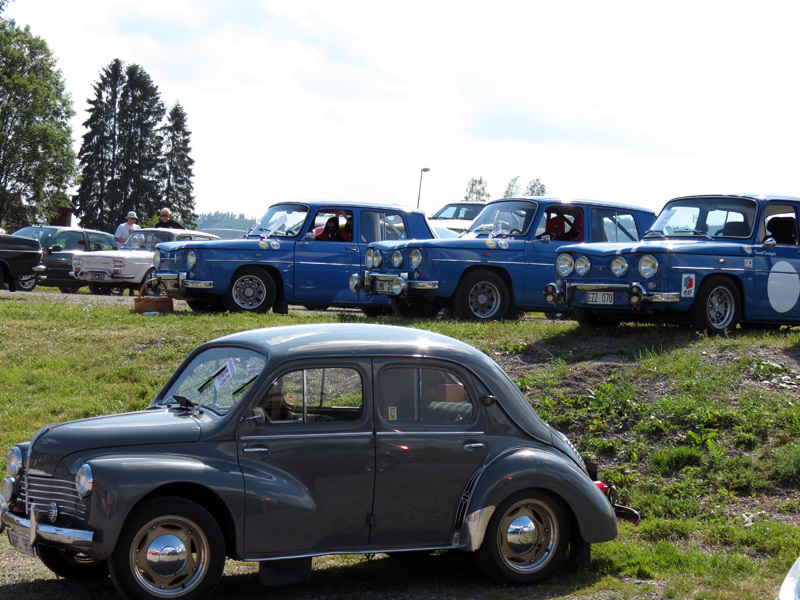 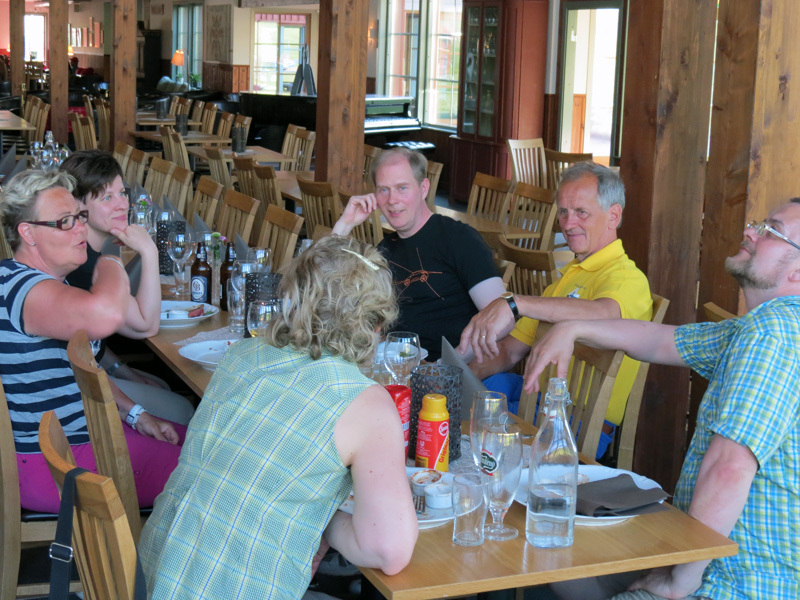 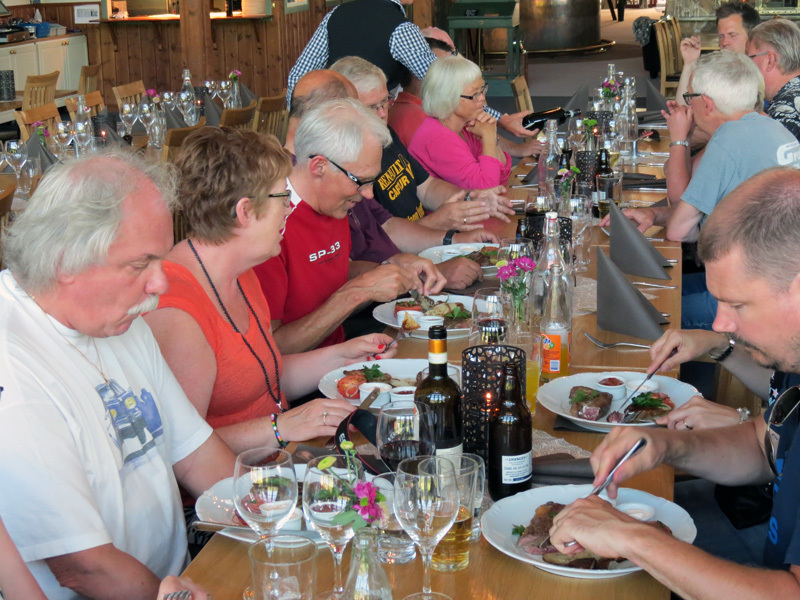 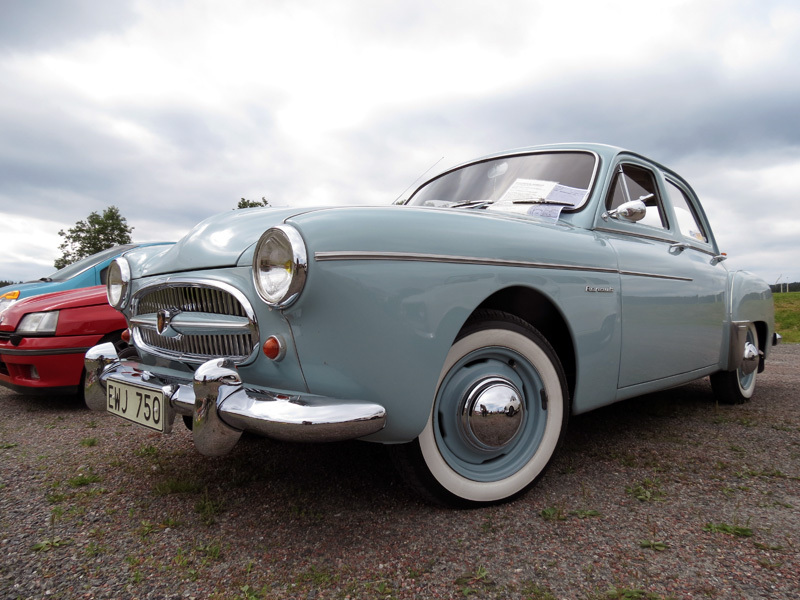 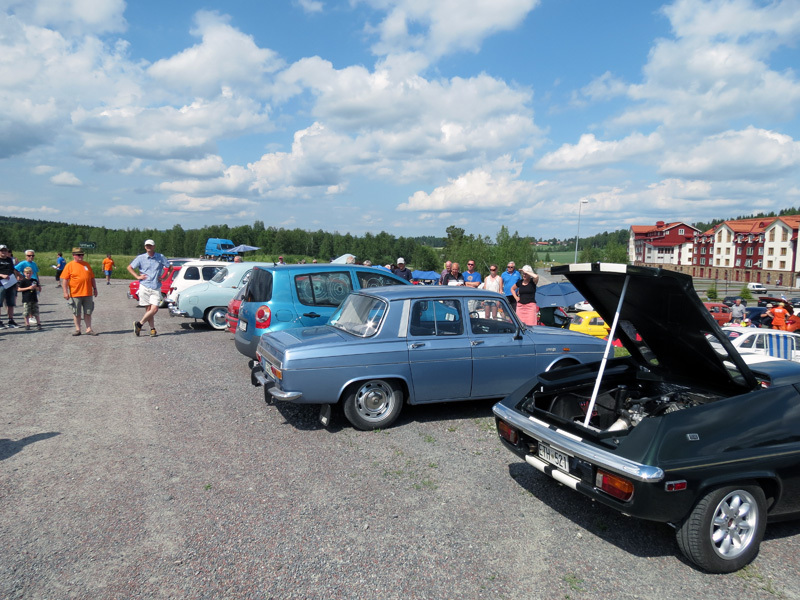 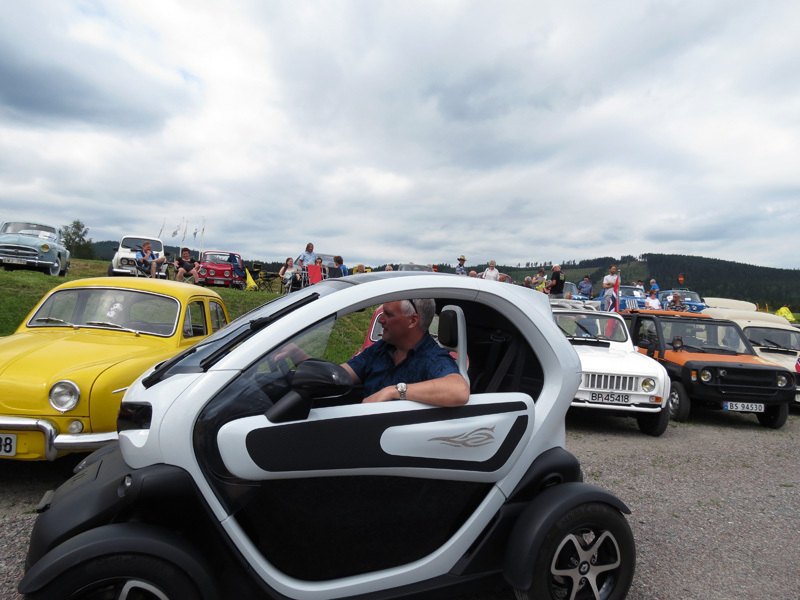 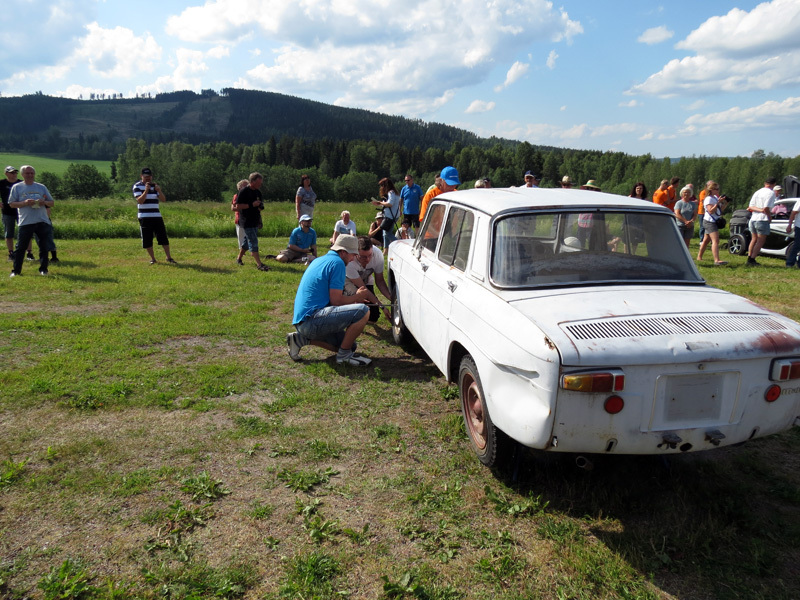 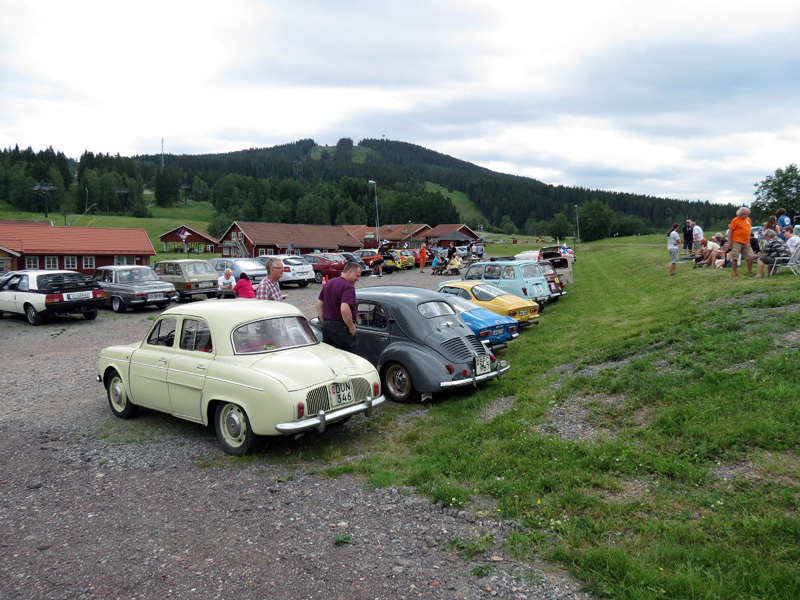 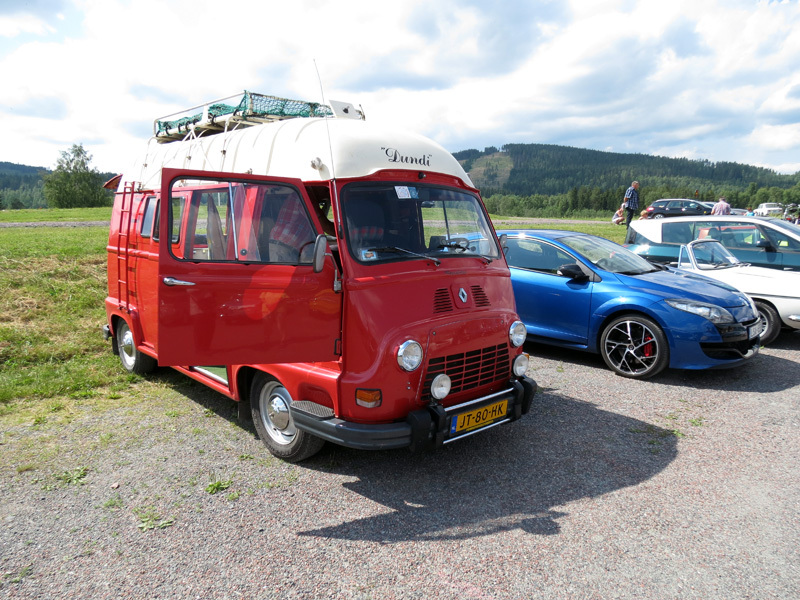 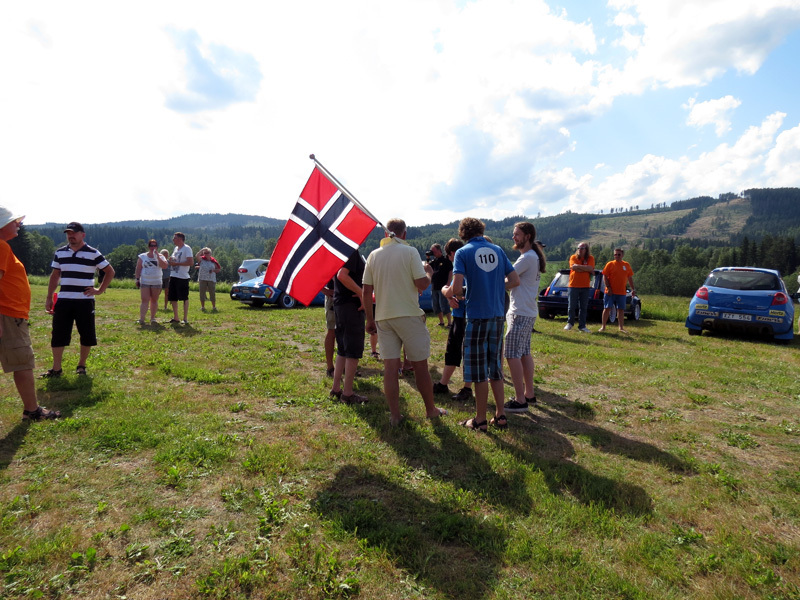 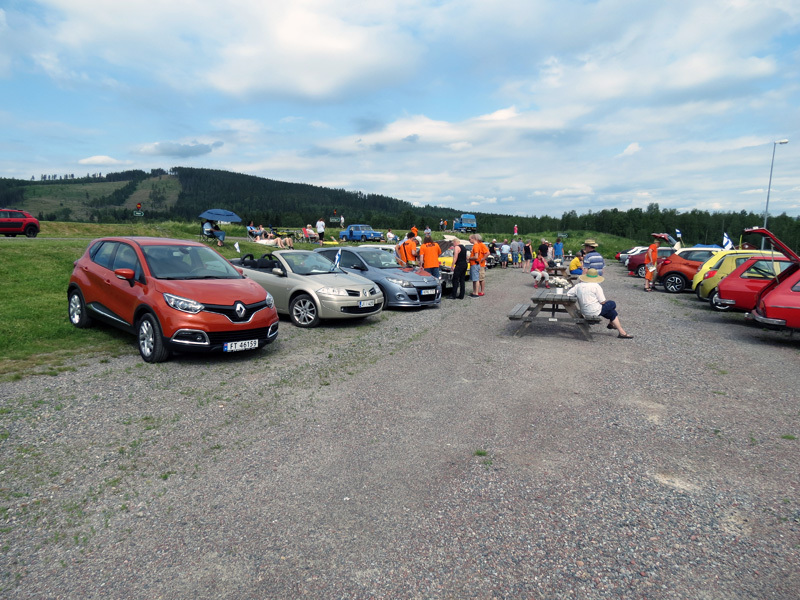 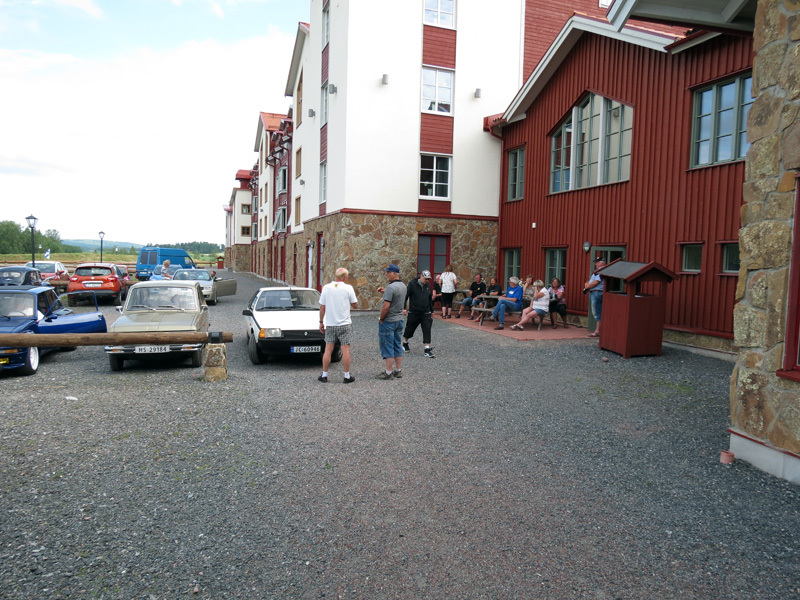 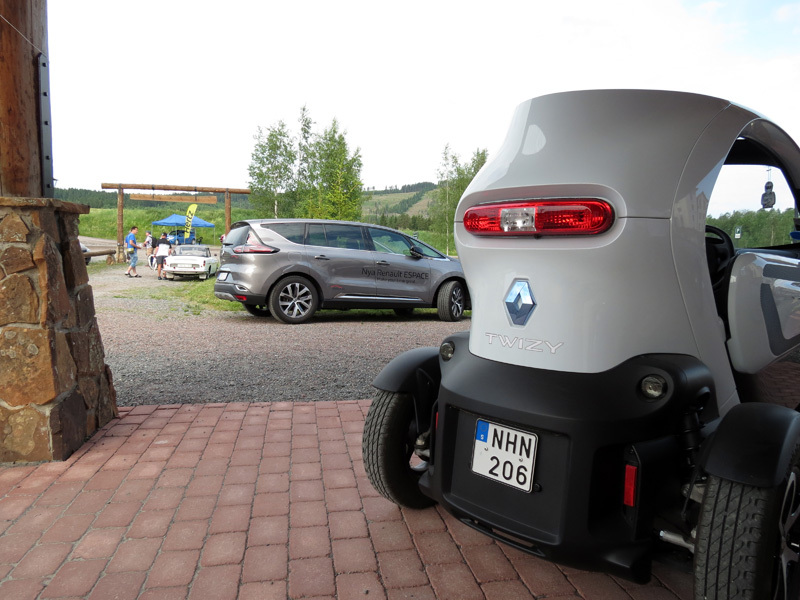 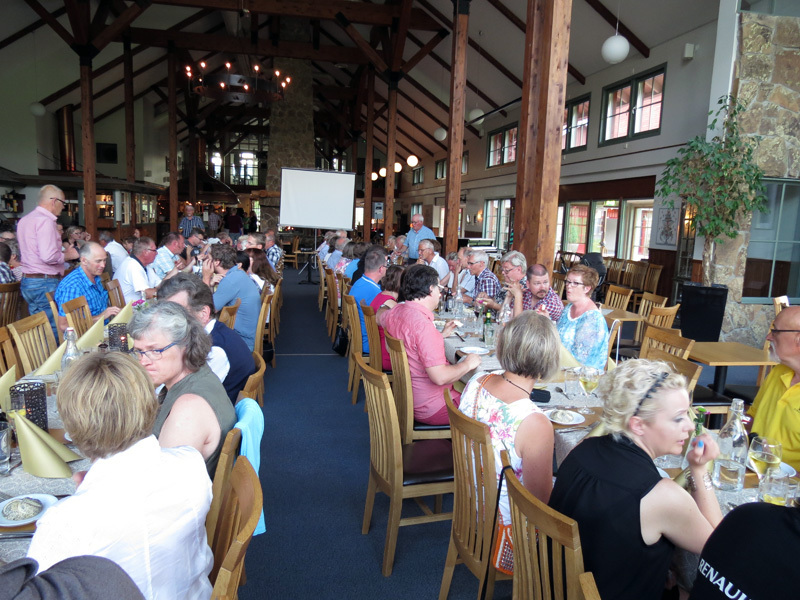 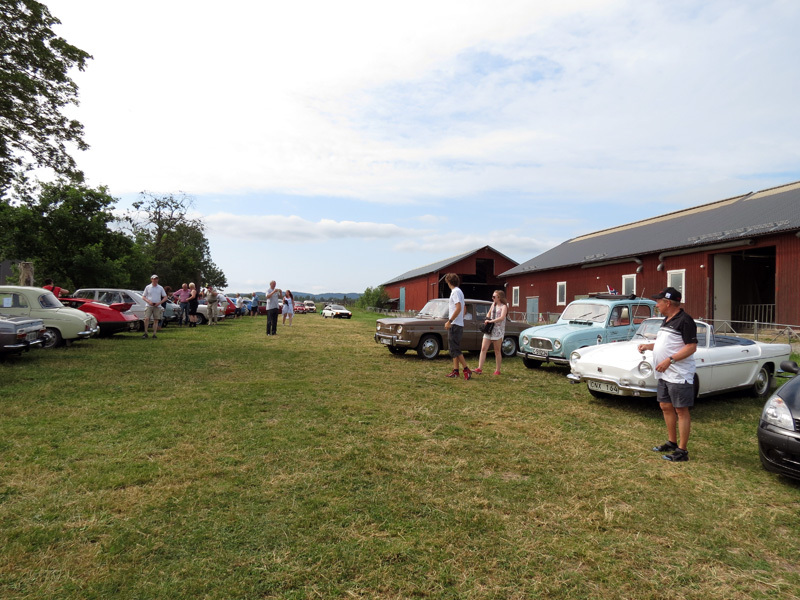 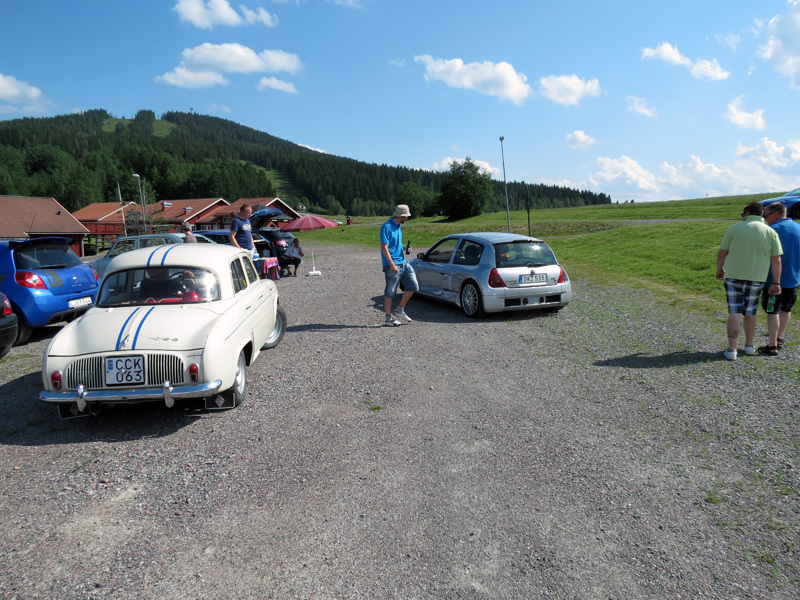 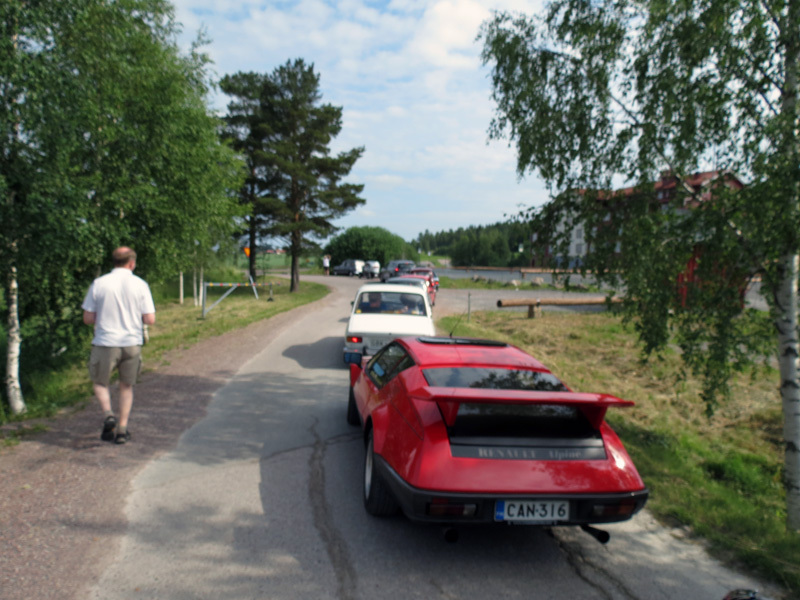 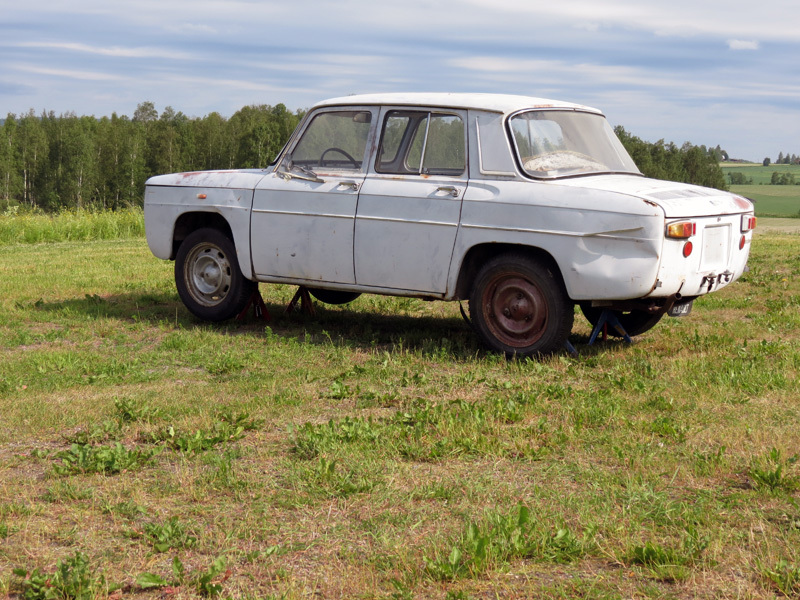 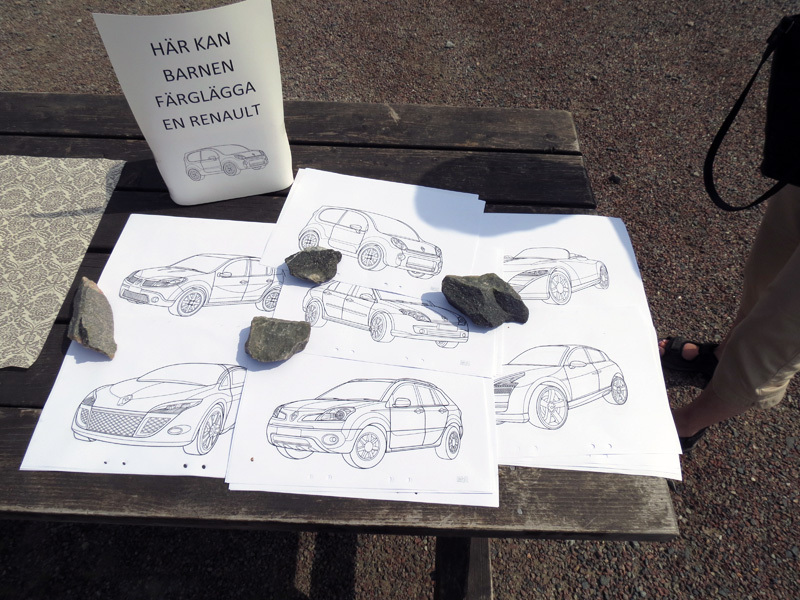 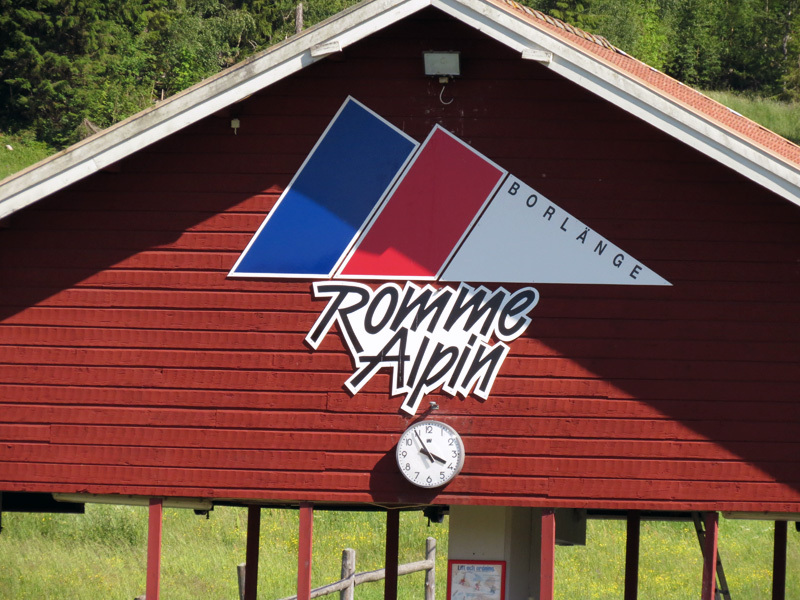 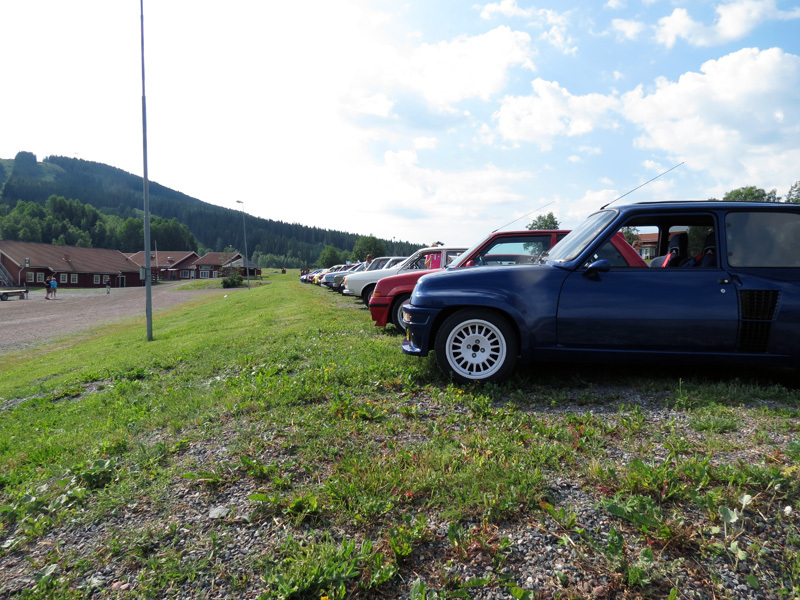 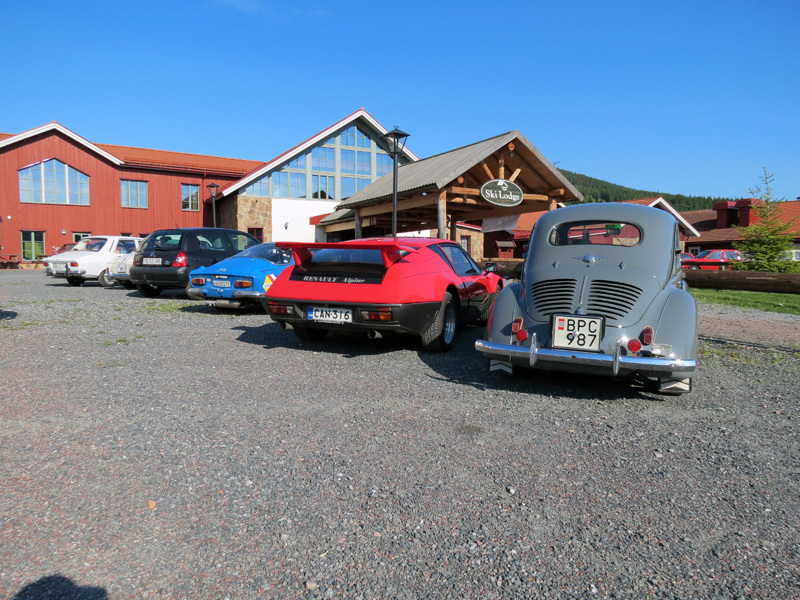 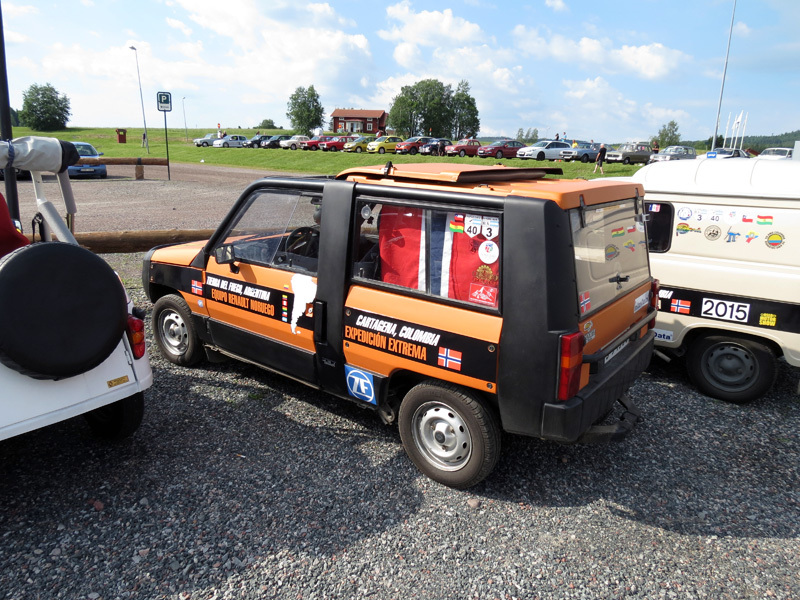 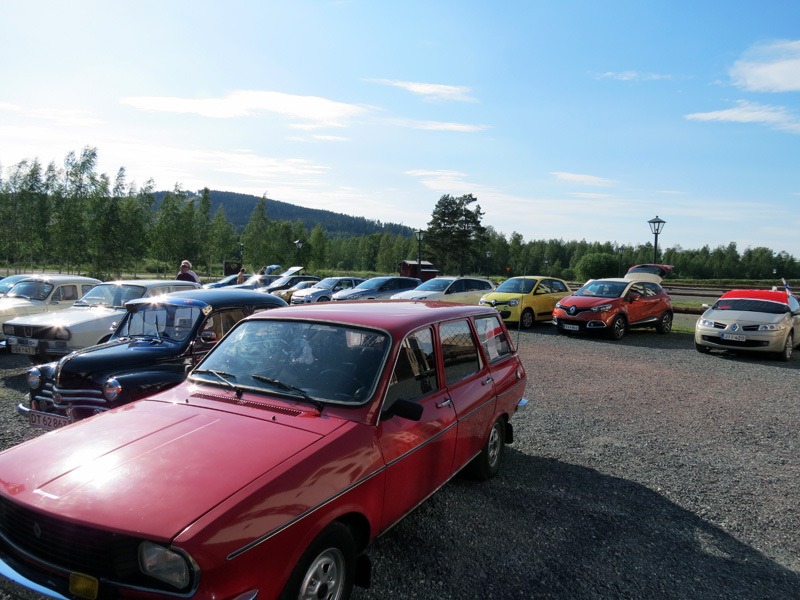 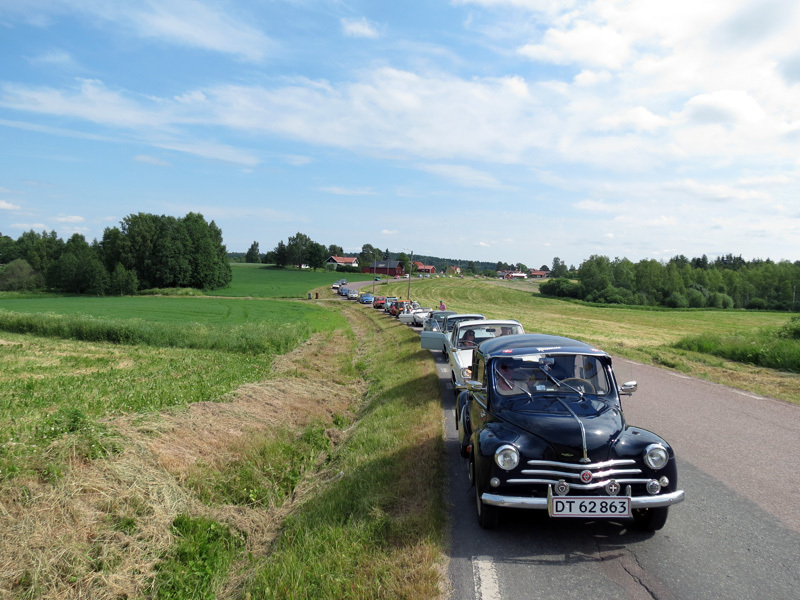 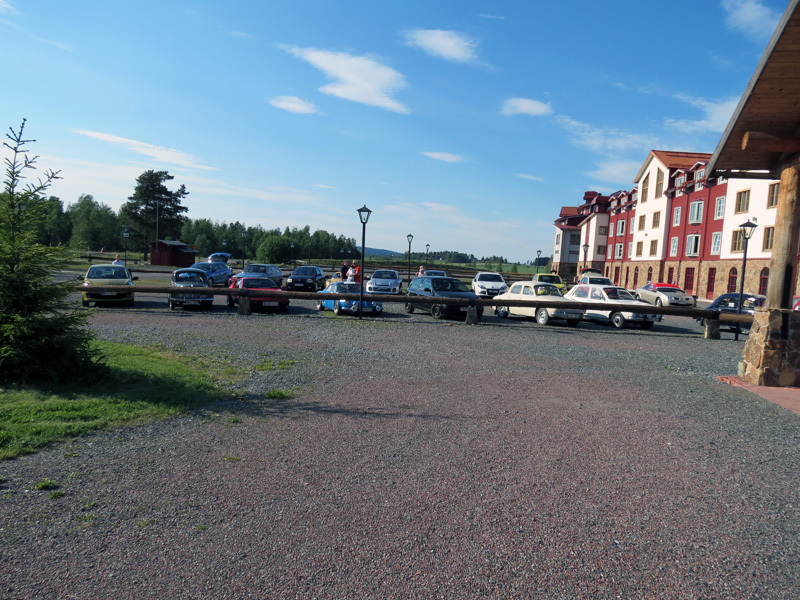 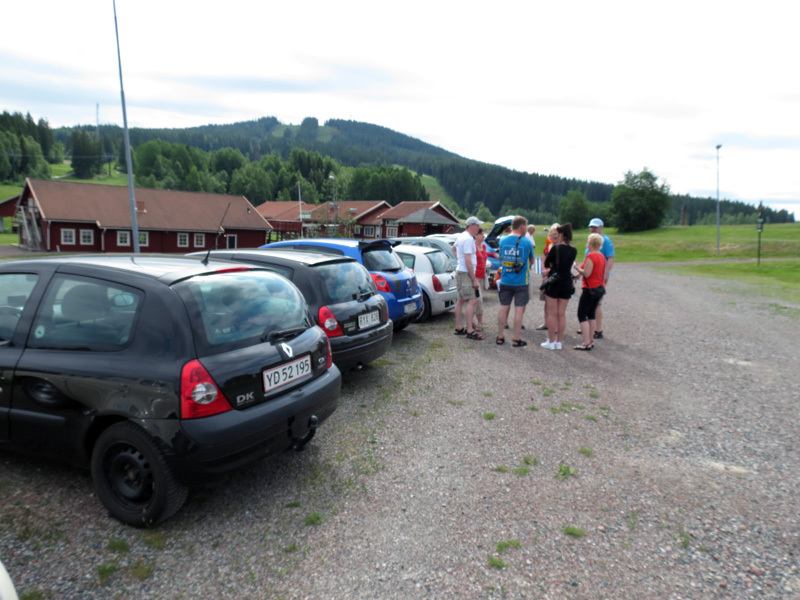 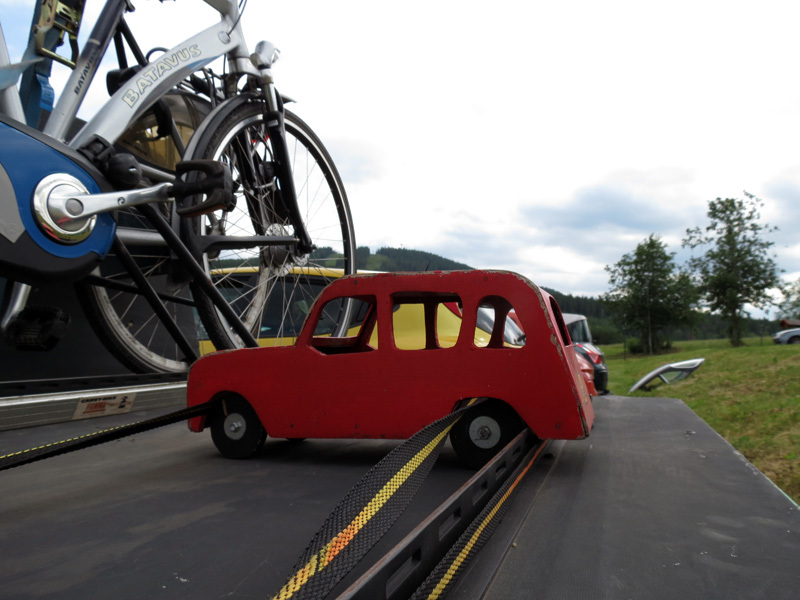 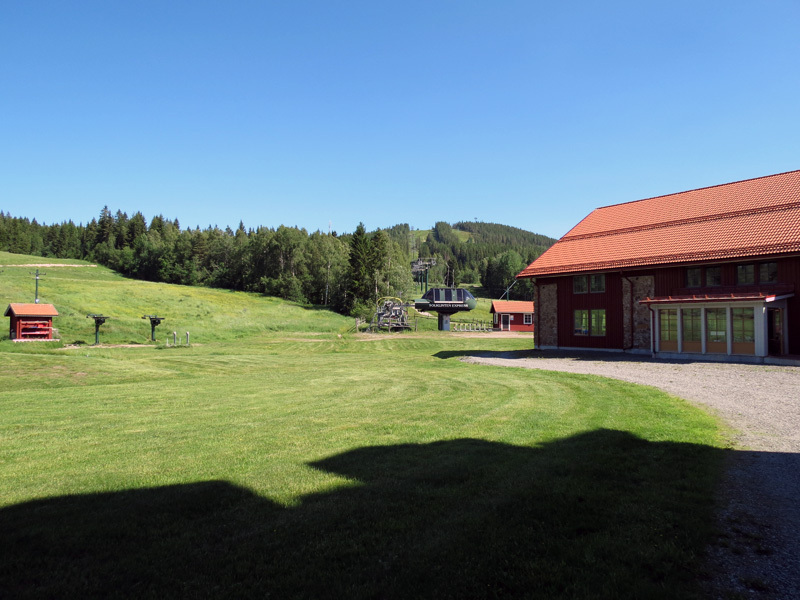 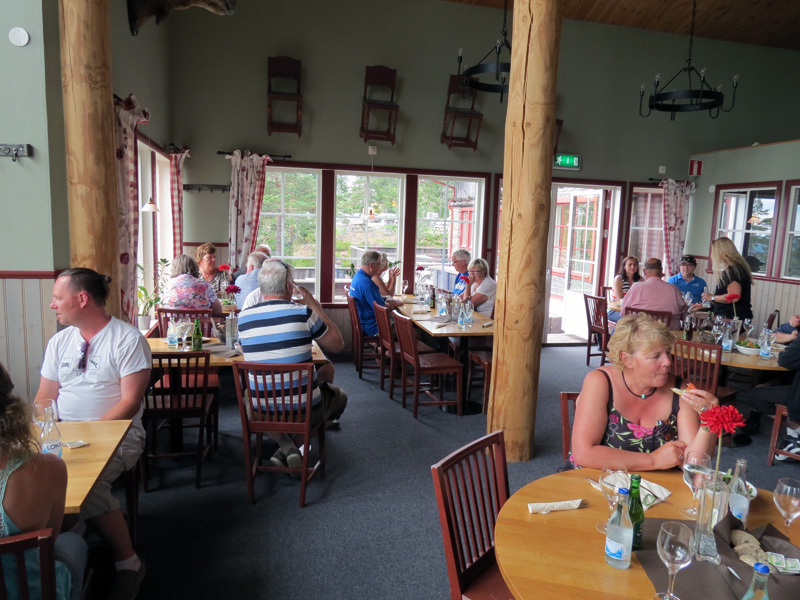 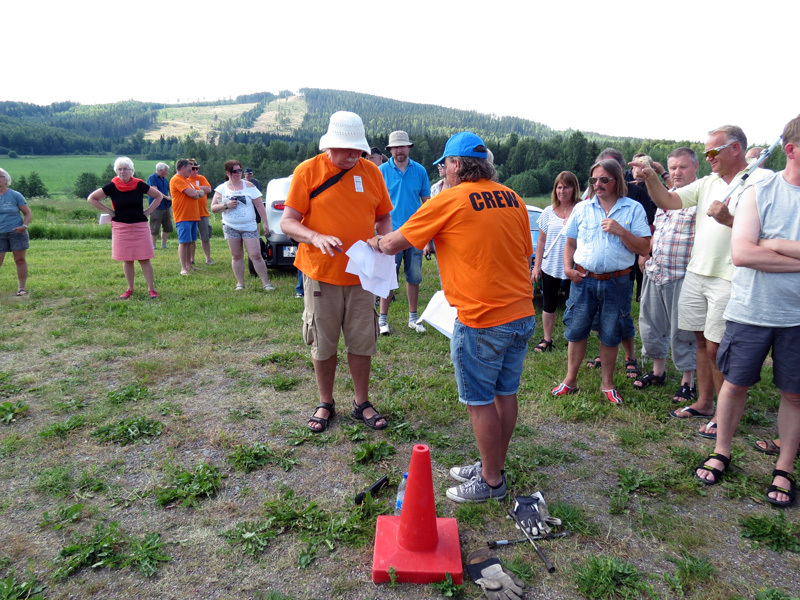 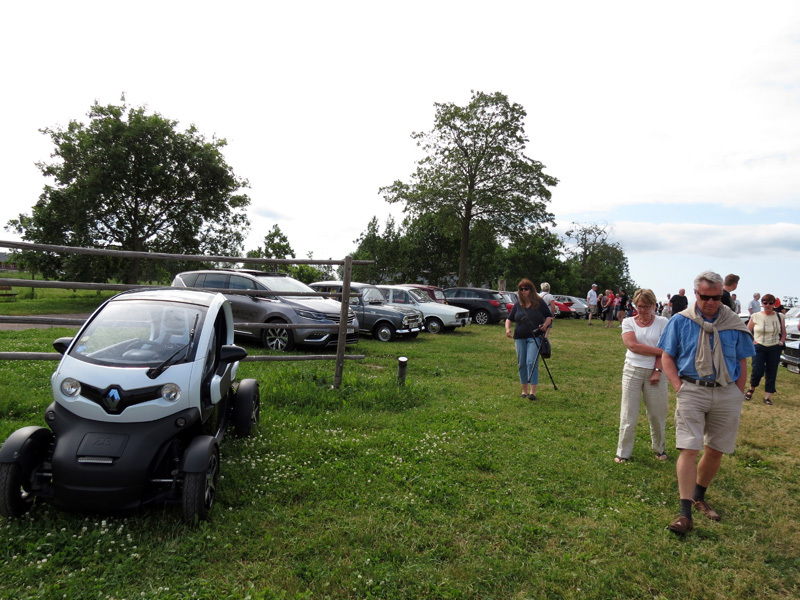 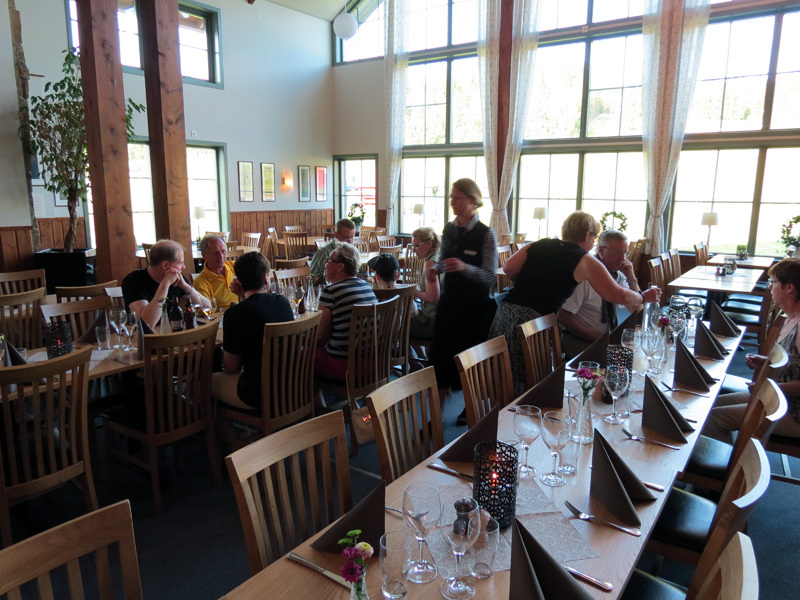 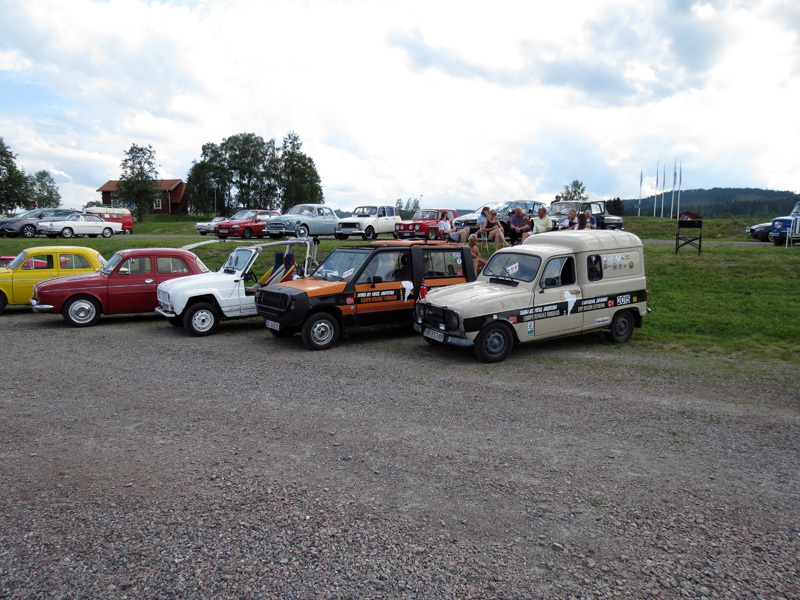 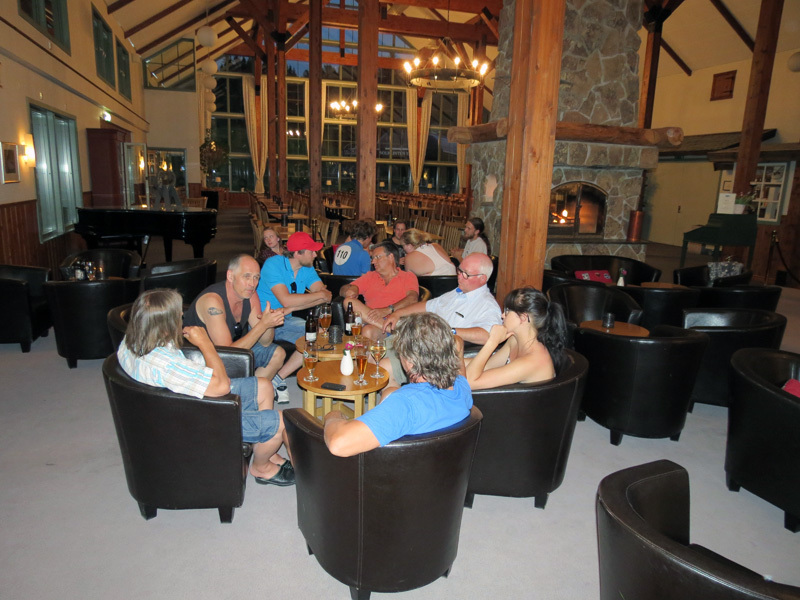 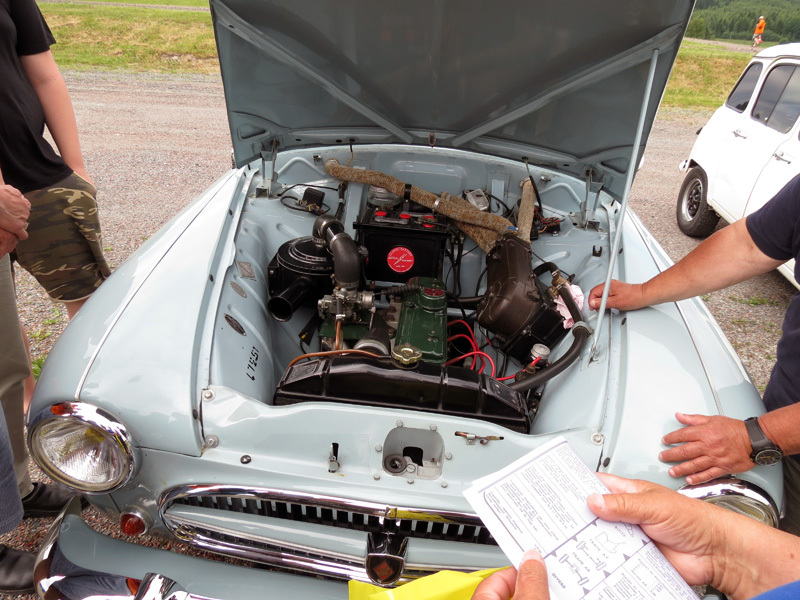 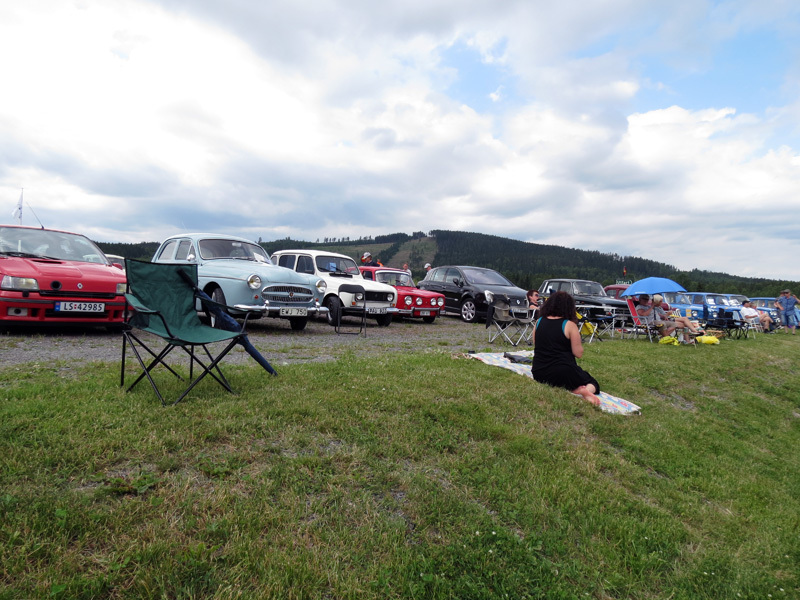 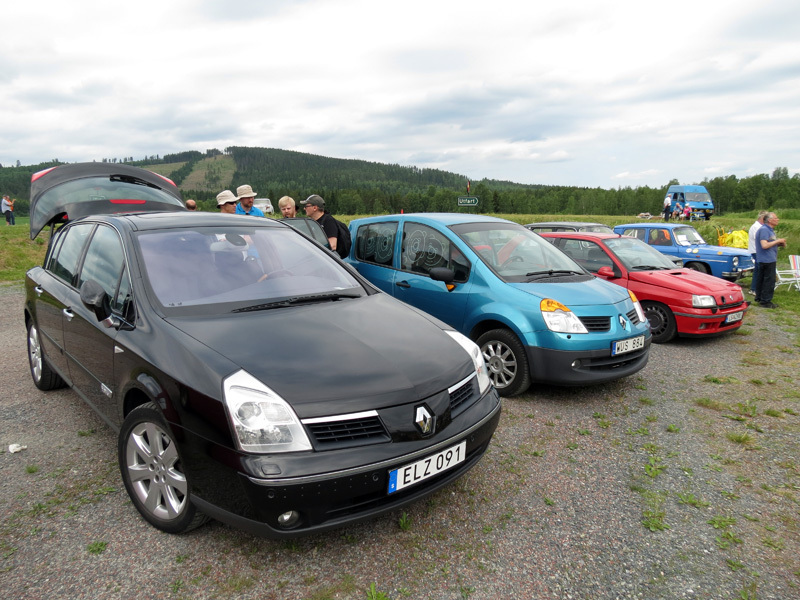 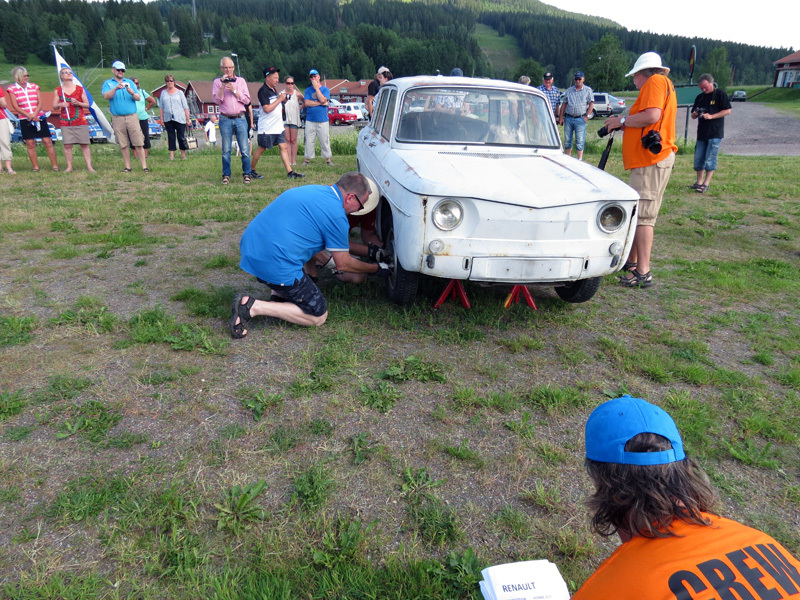 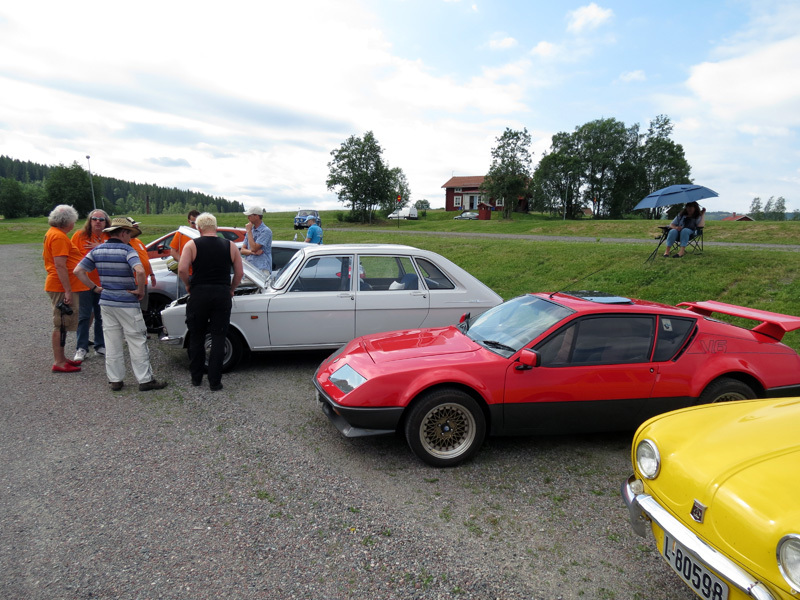 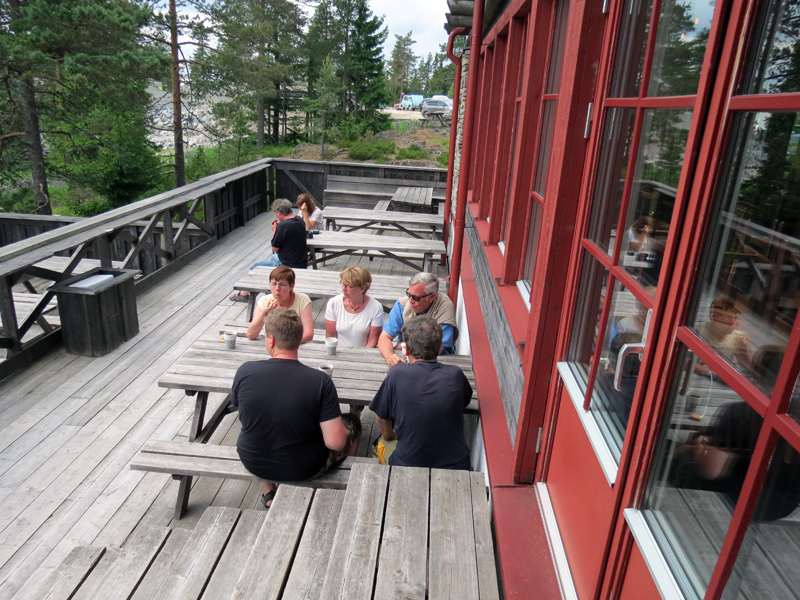 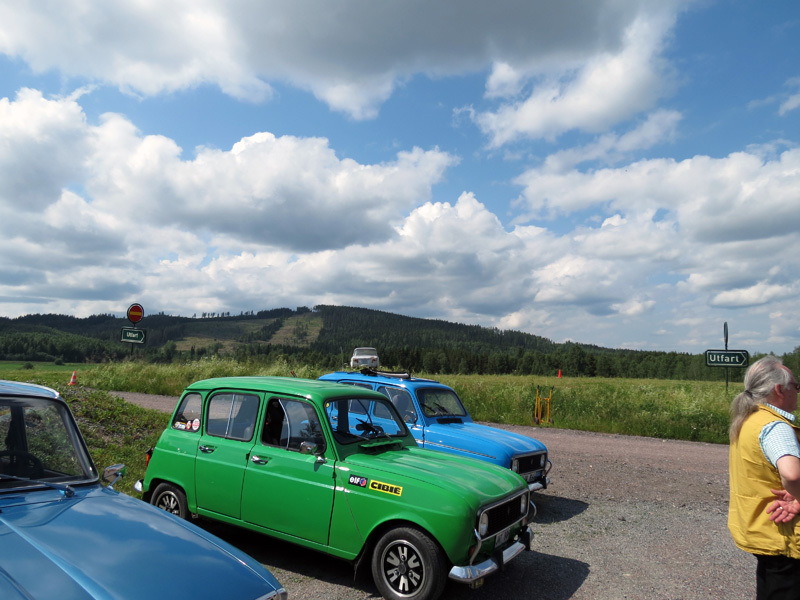 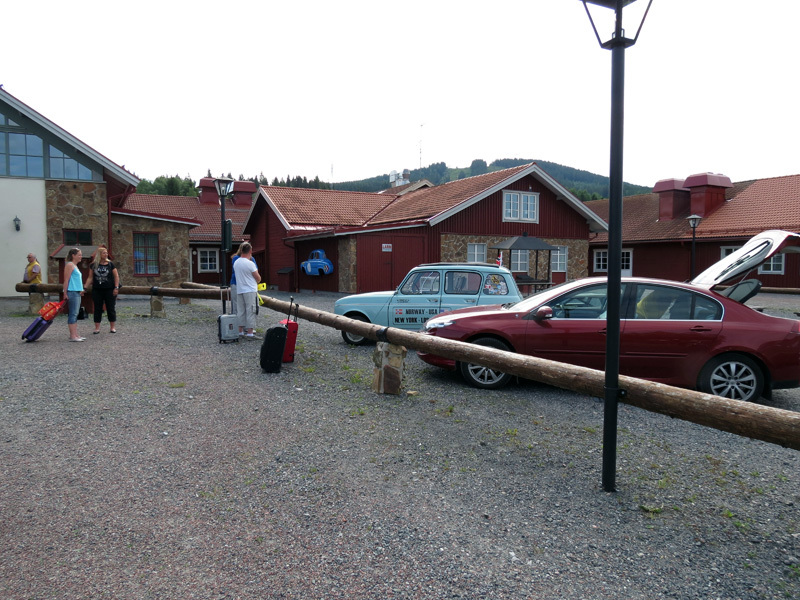 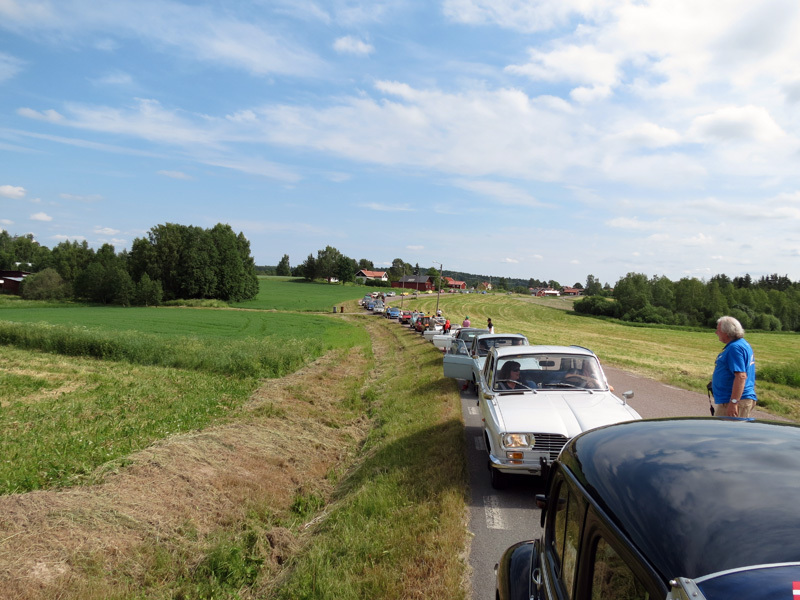 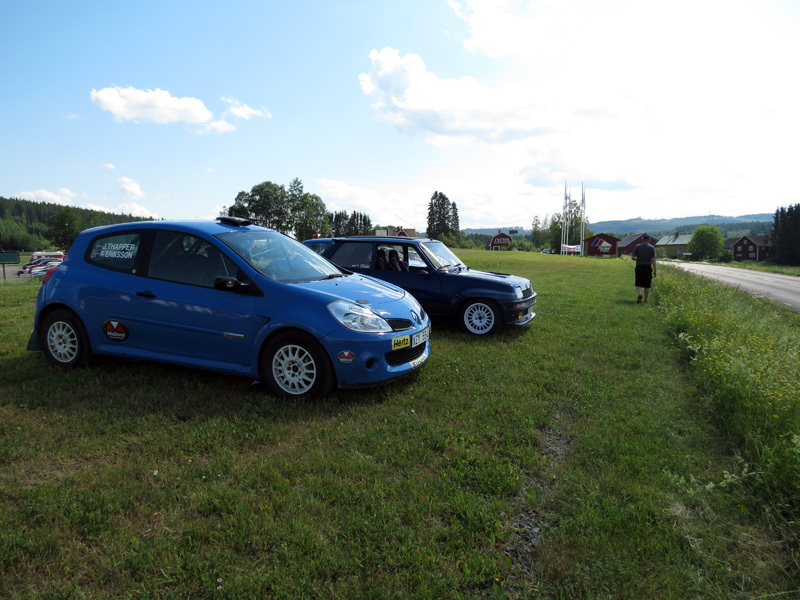 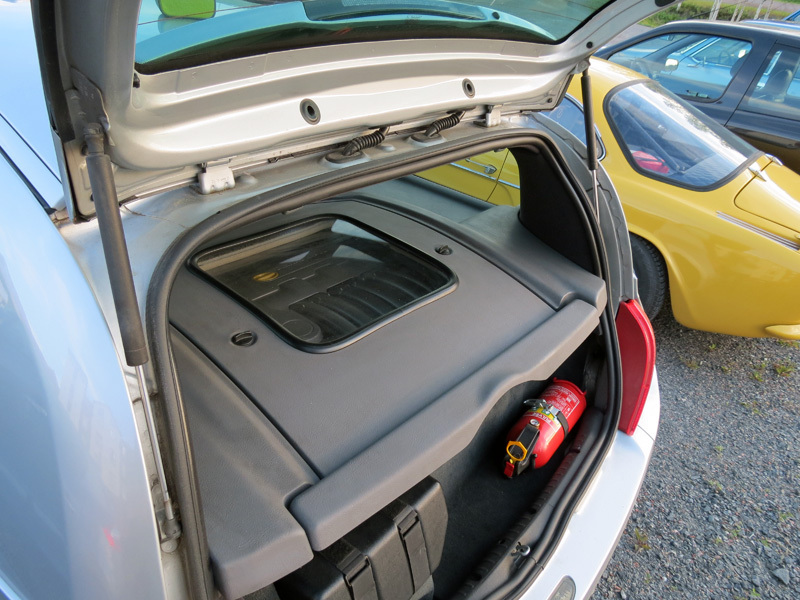 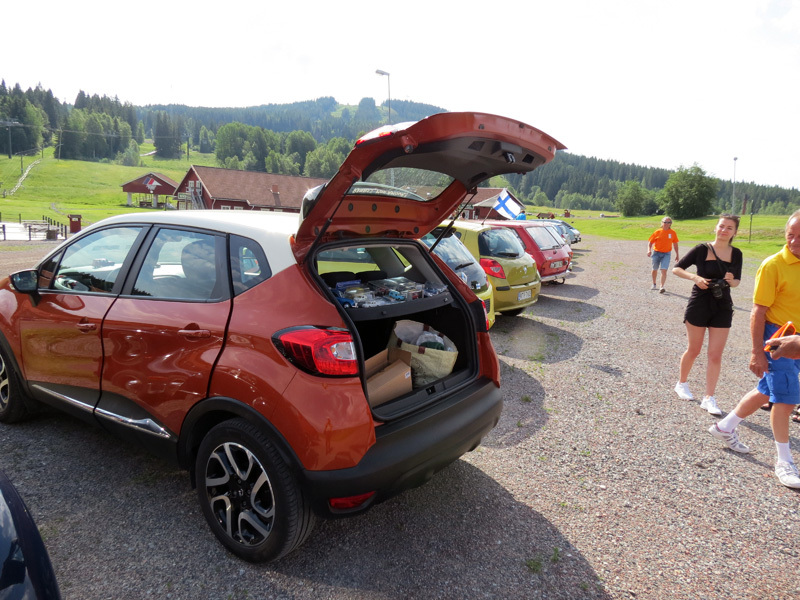 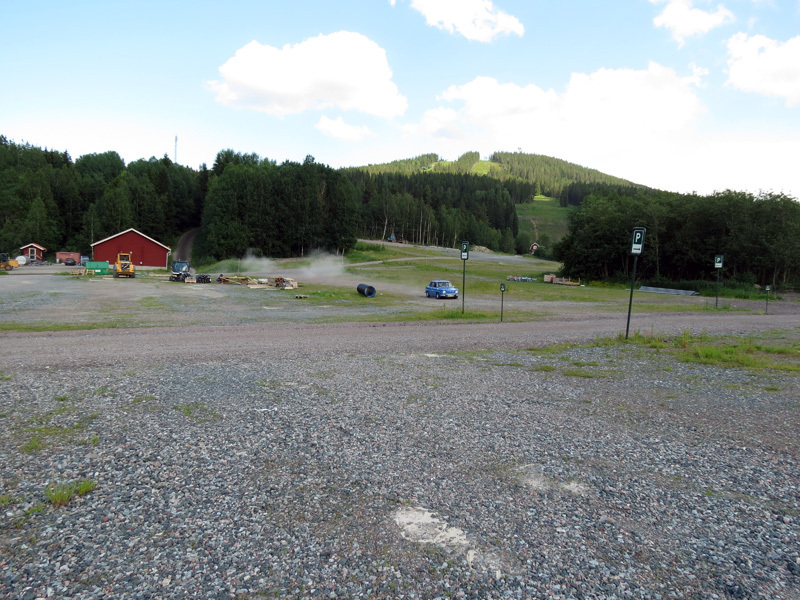 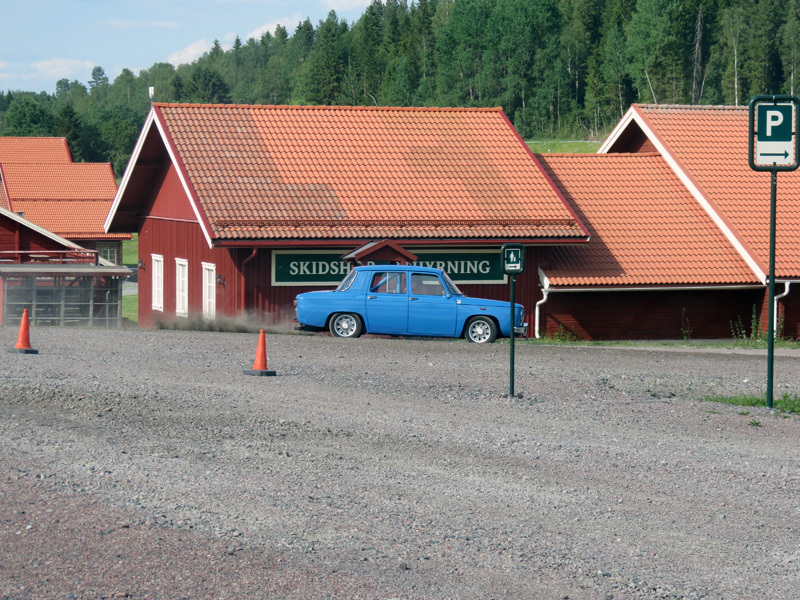 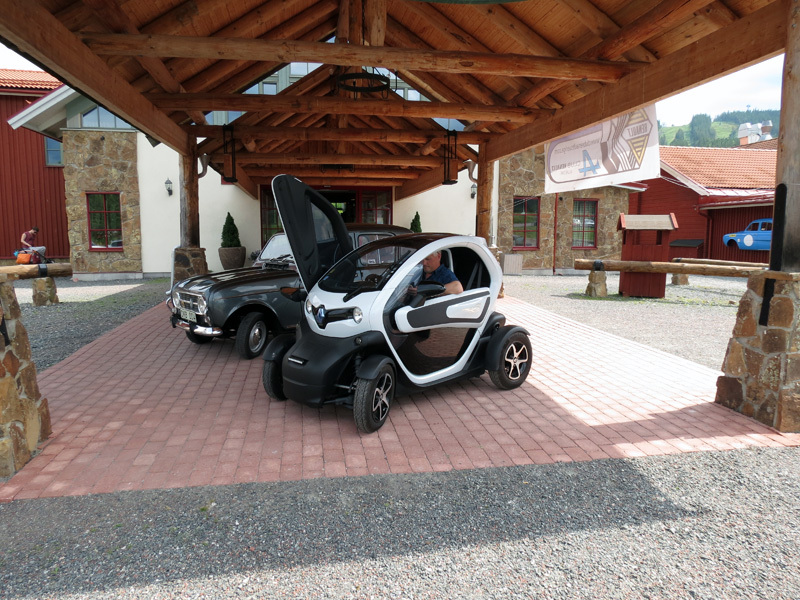 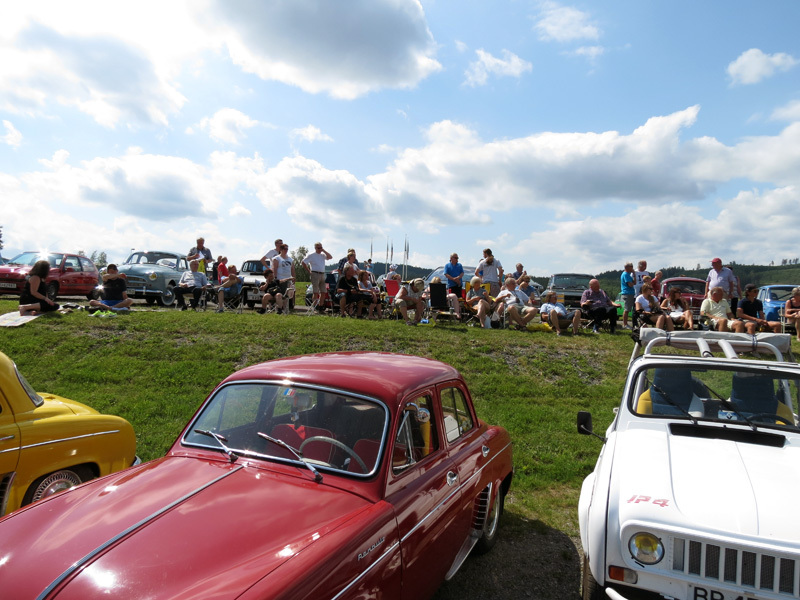 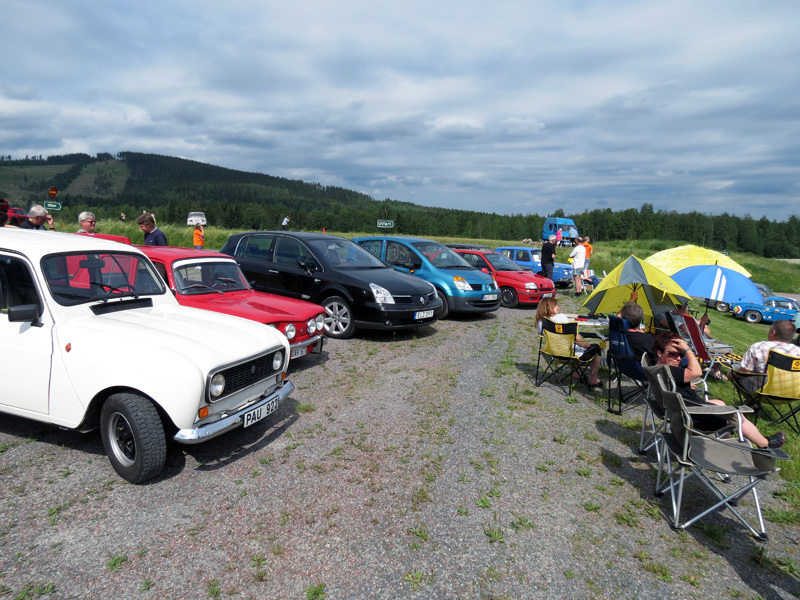 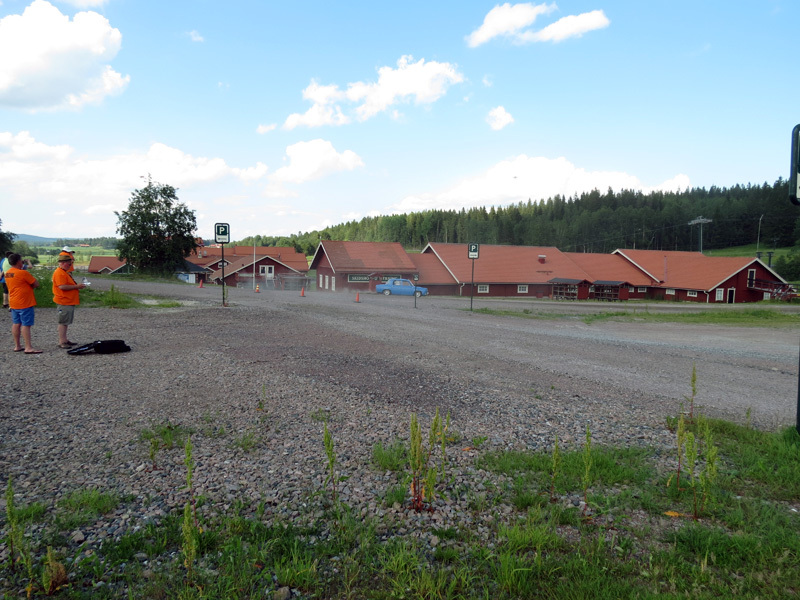 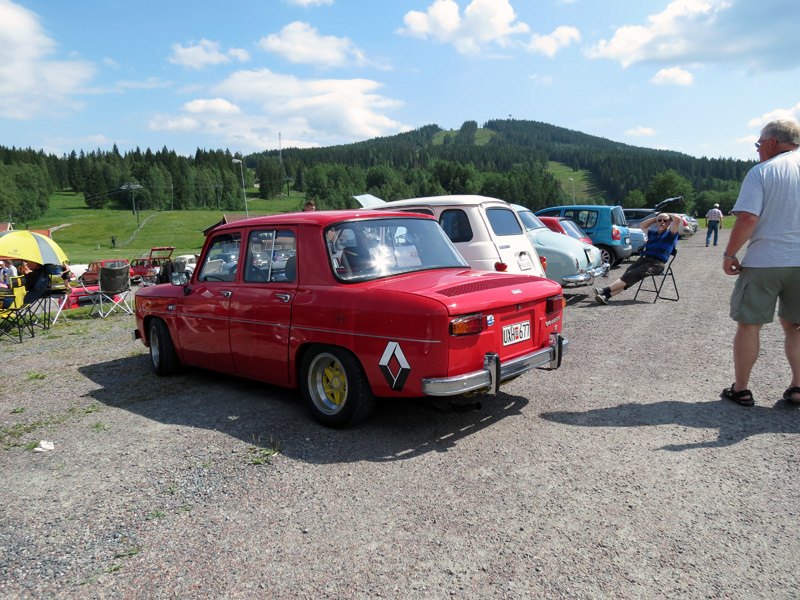 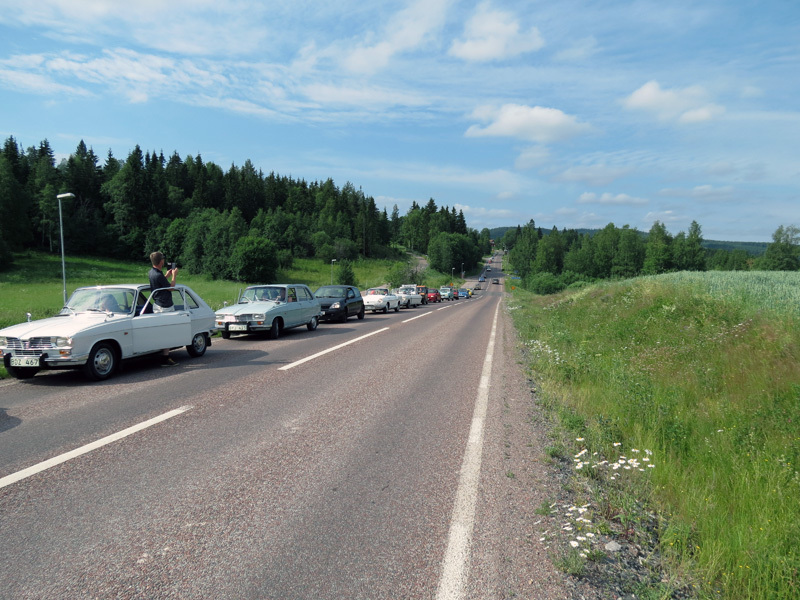 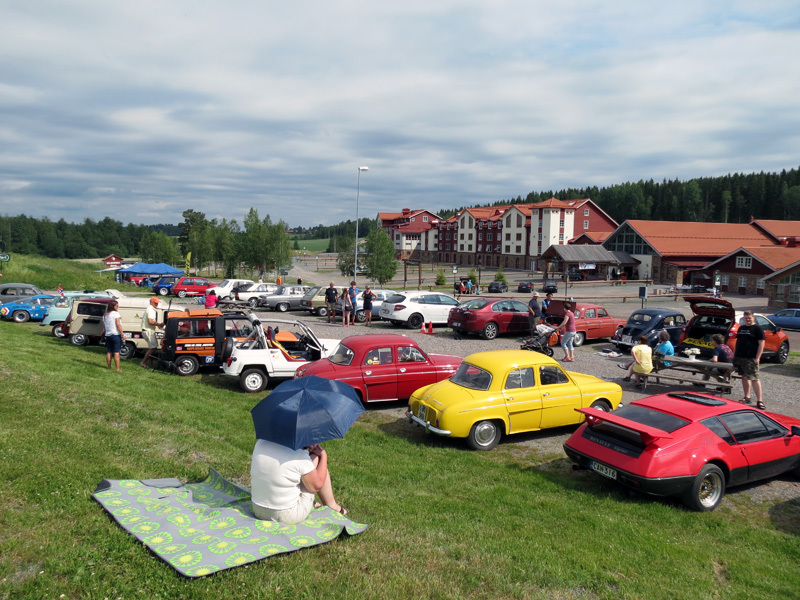 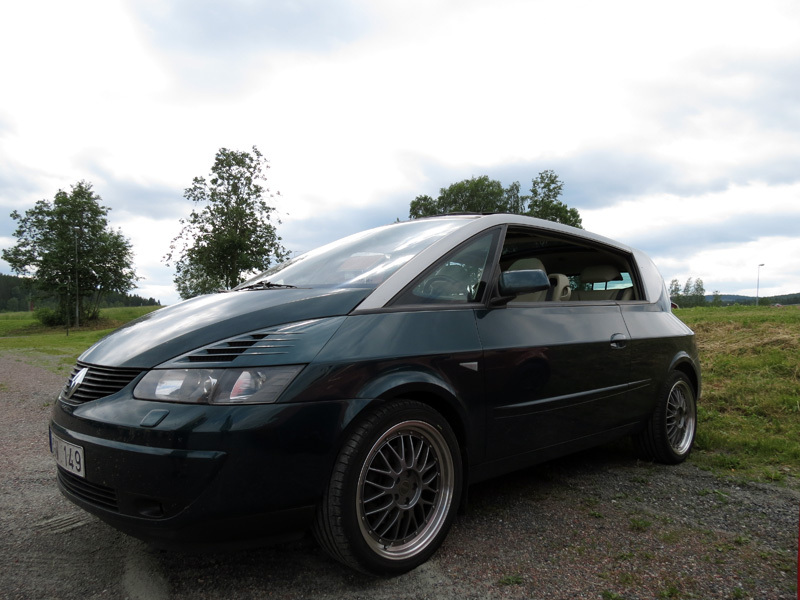 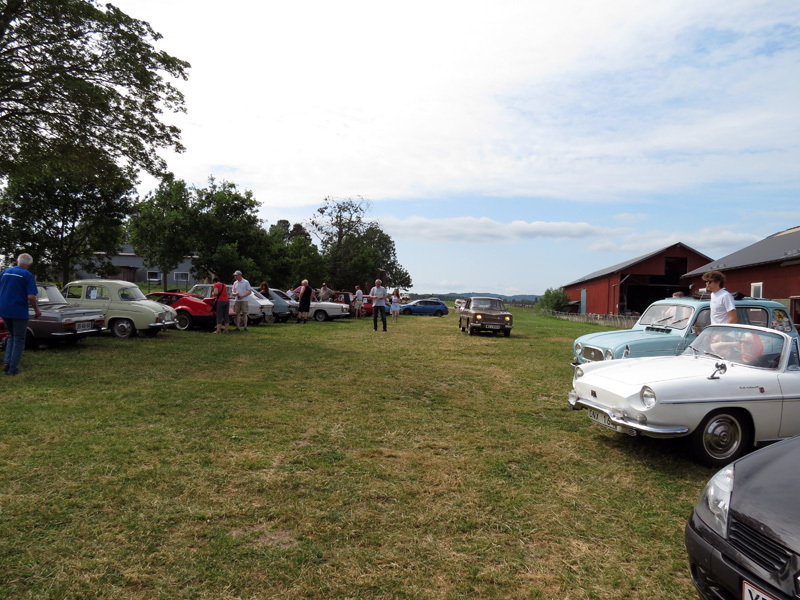 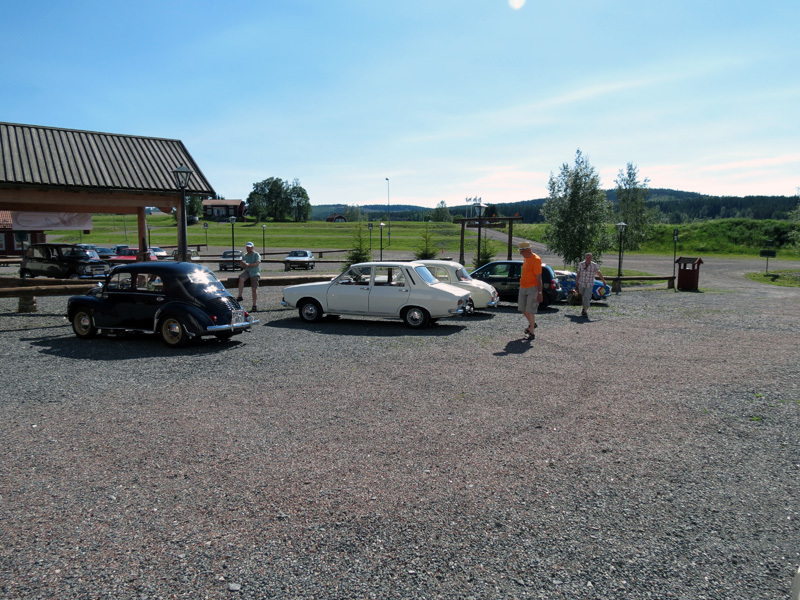 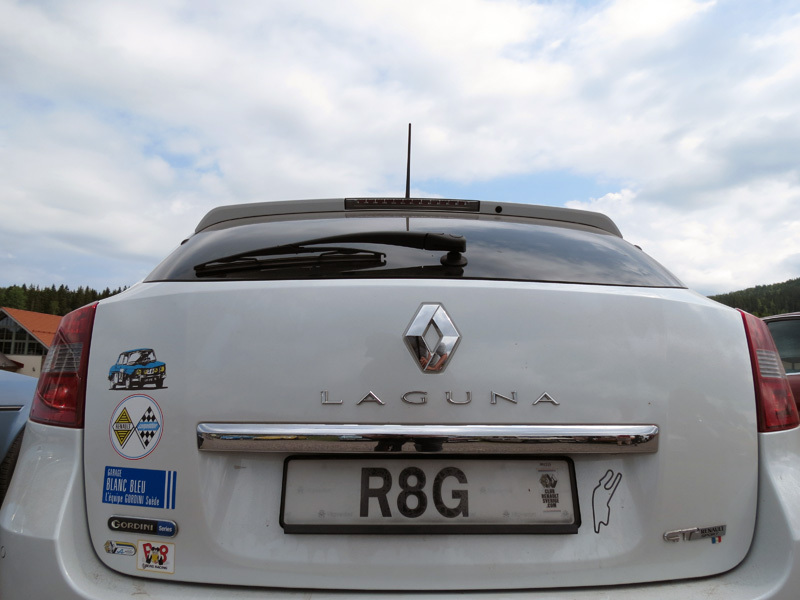 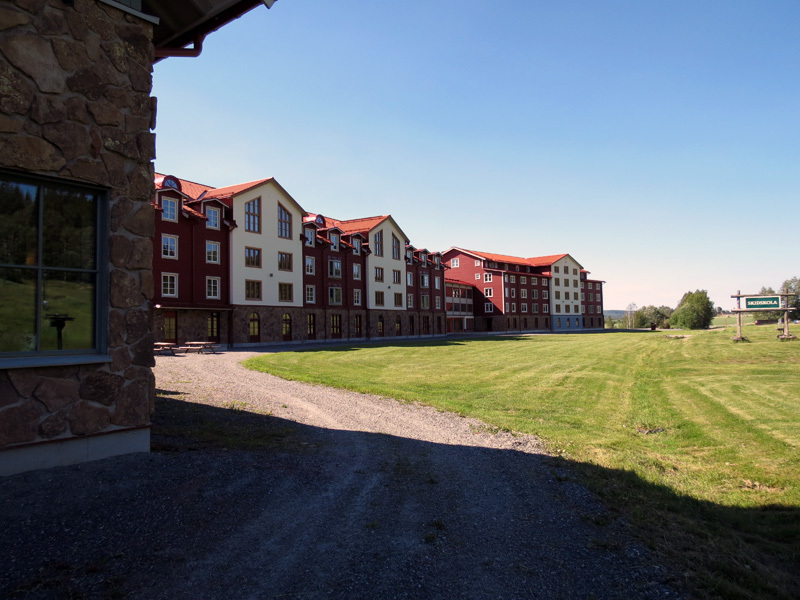 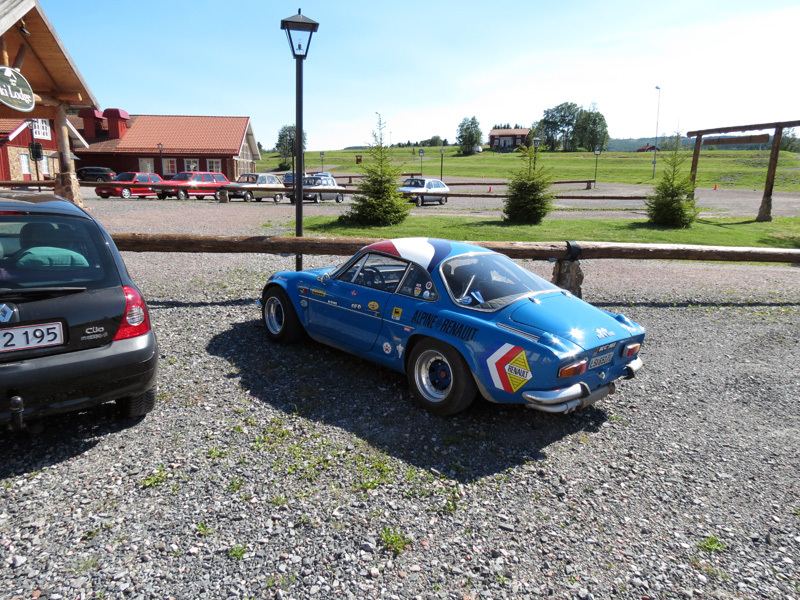 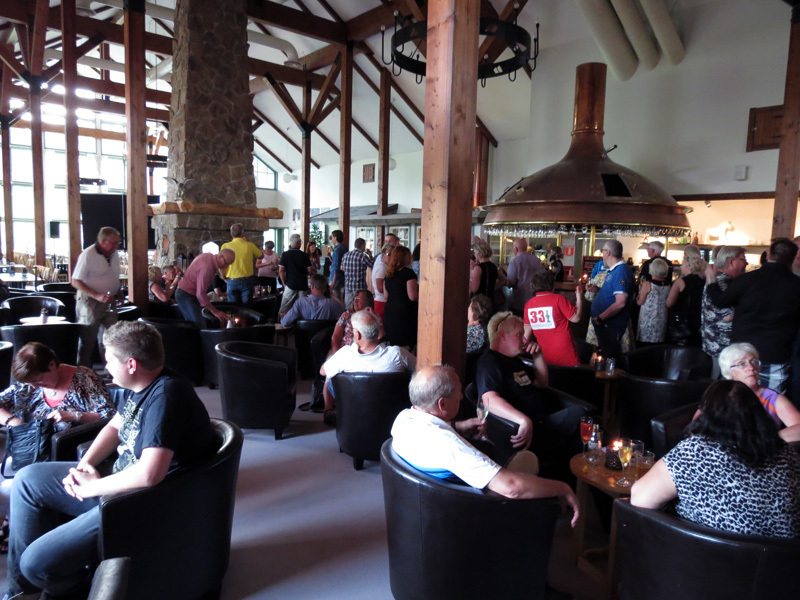 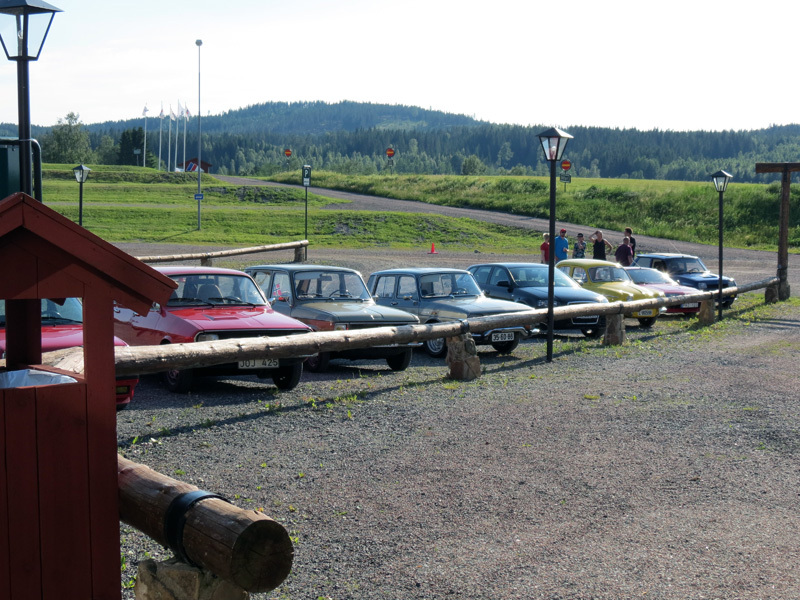 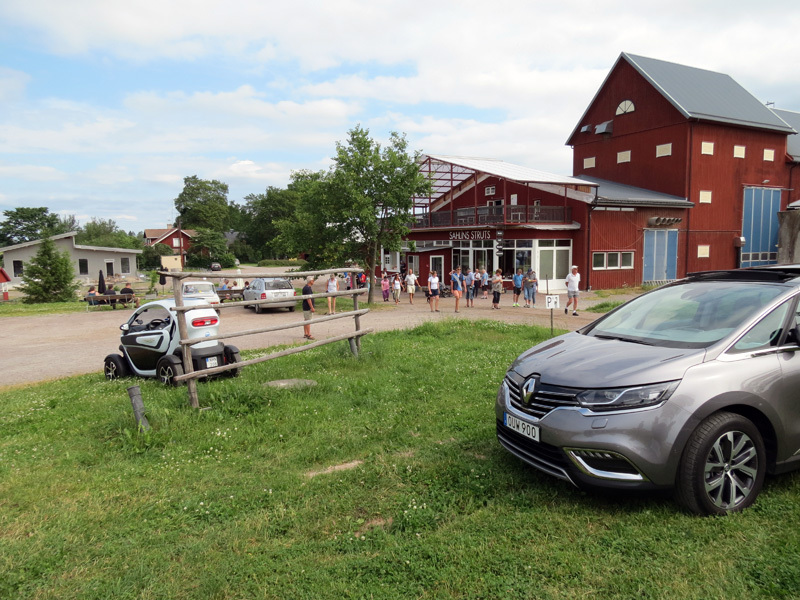 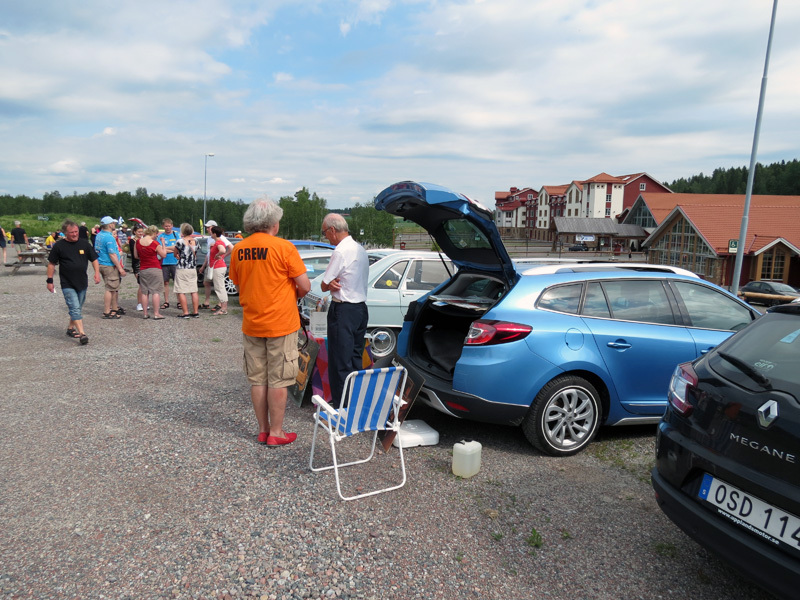 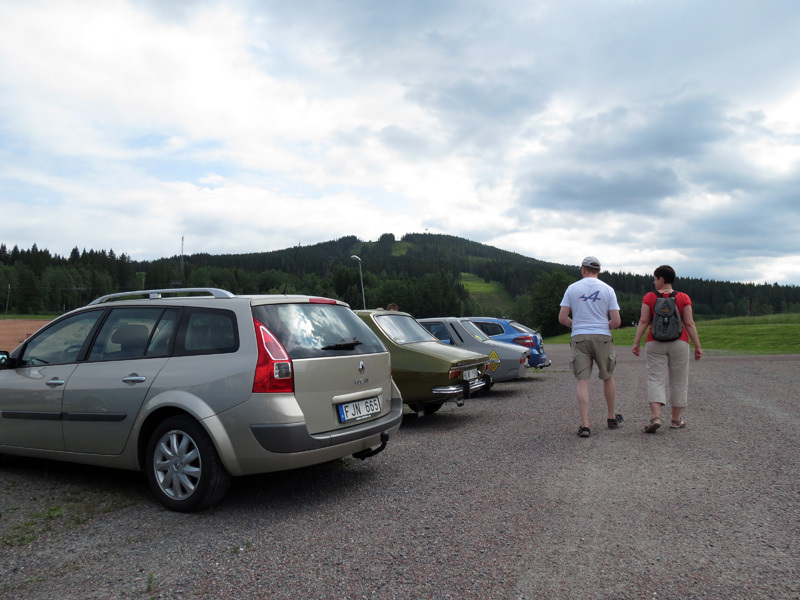 This year’s Scandinavian Renault meeting was held at Romme Alpin – near Borlänge in Sweden. 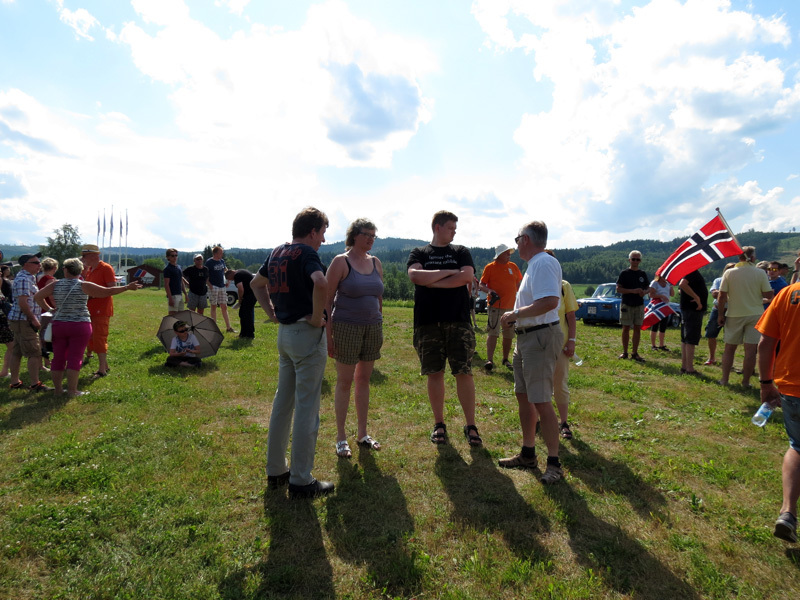 We arrived on Friday afternoon in the finest summer weather, there were already attendees from Finland, Sweden, Norway and Denmark. 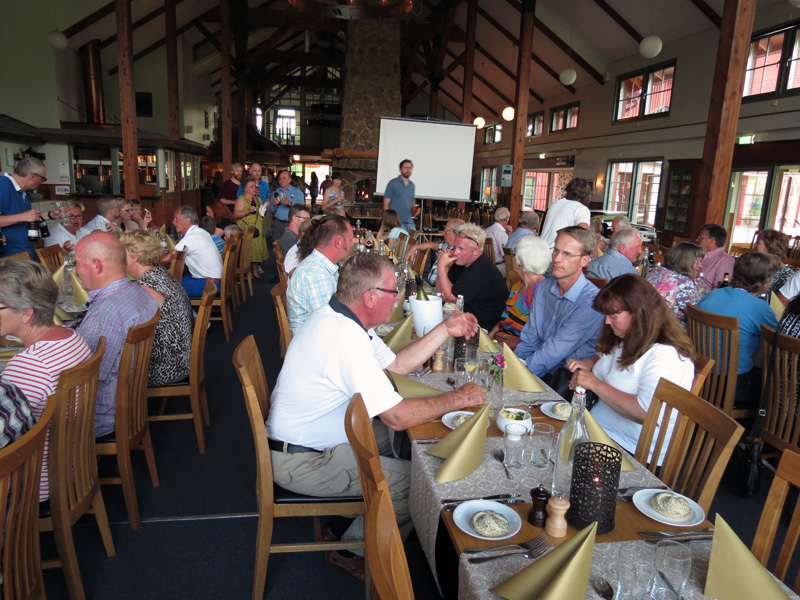 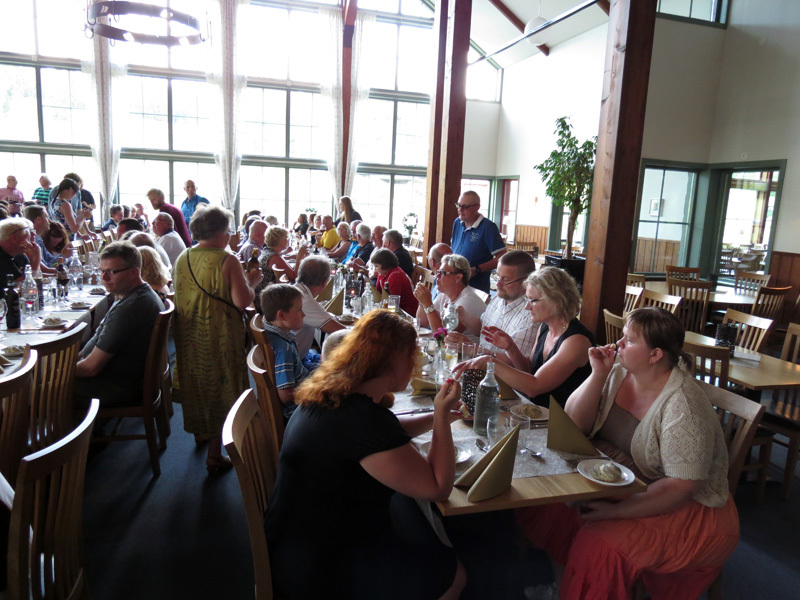 On Friday evening, there were common dining and plain fun. 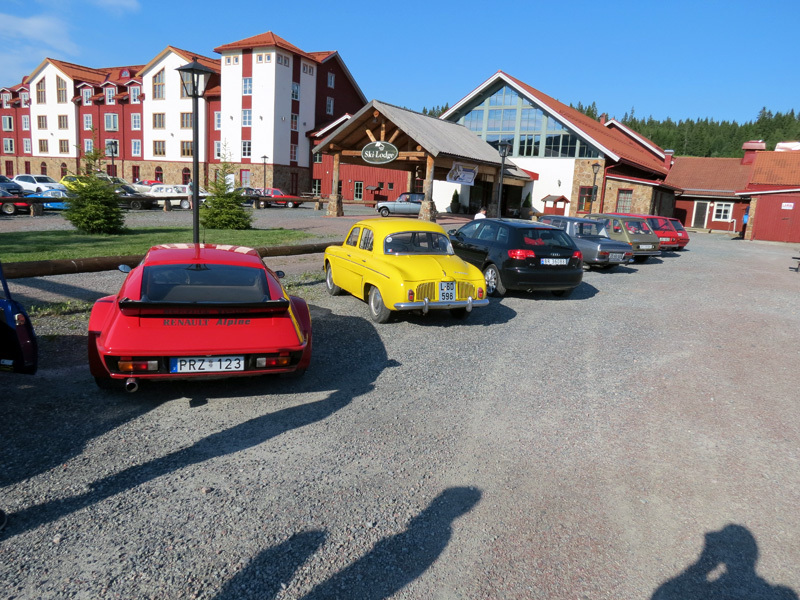 Saturday started with breakfast then all Renaults were lined up, with a short presentation of all cars. 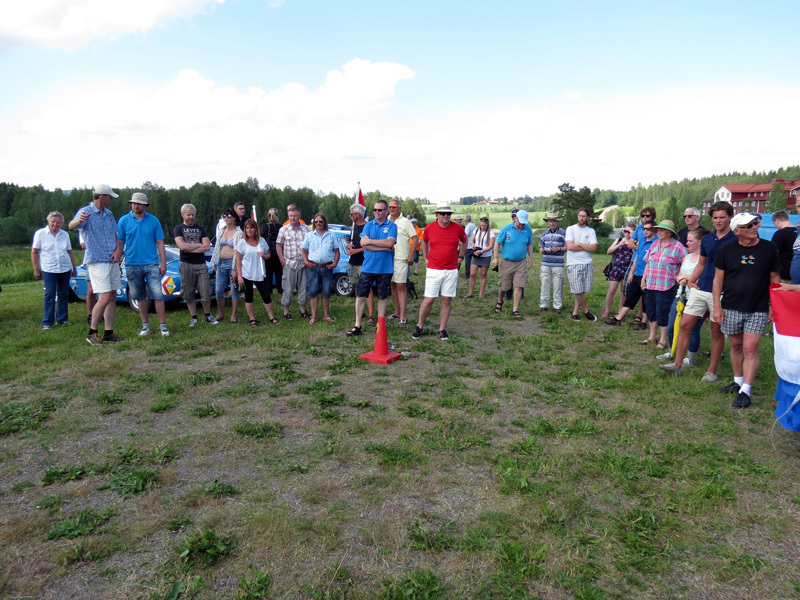 Saturday afternoon there was ‘National Match’, where each country fought in a friendly joust e.g. 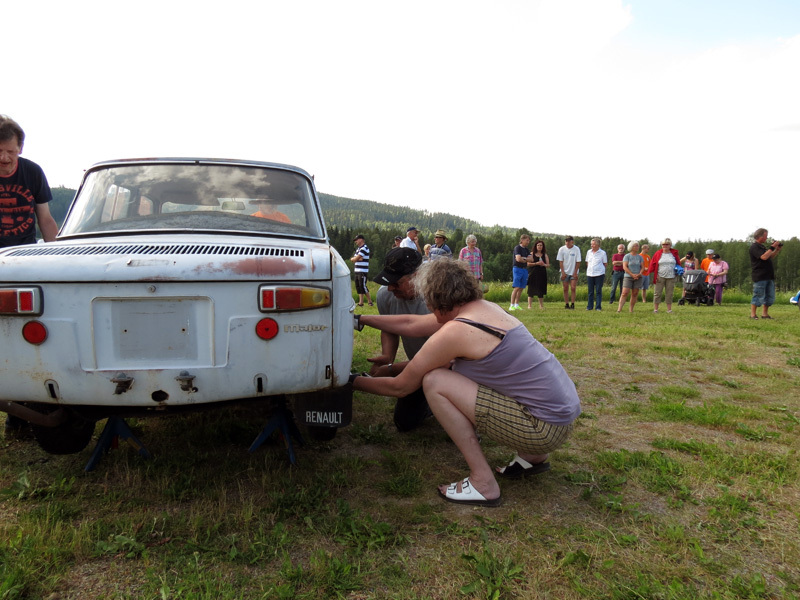 change a tyre on a Renault 8 and a quiz with 12 questions on various issues that could not be Googled. 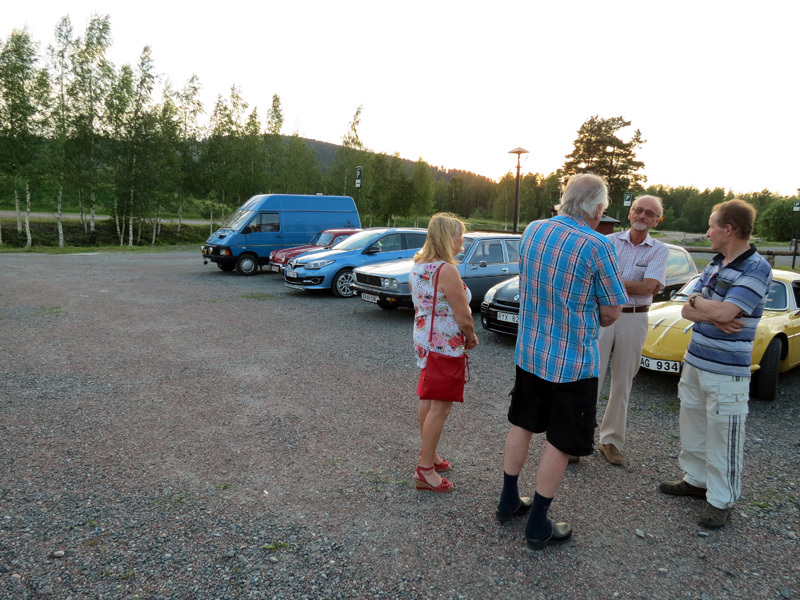 Saturday evening there was a banquet with prizes and socialization. 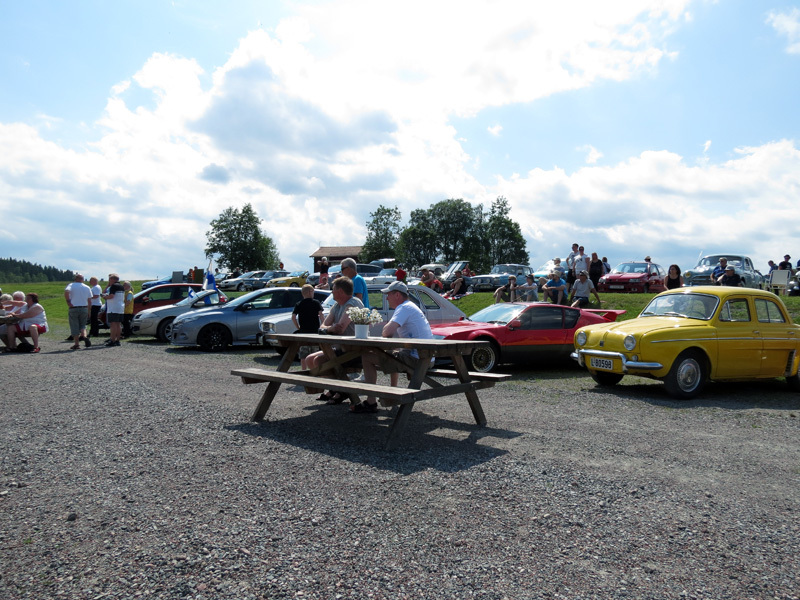 Sunday was a drive in the region. 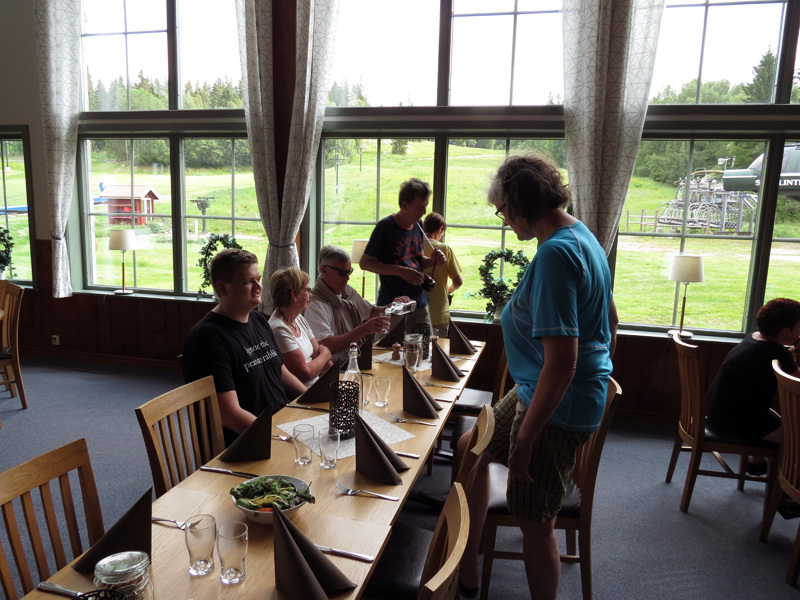 We stopped at an ostrich farm, afterwards we drove up the mountain where lunch was served. 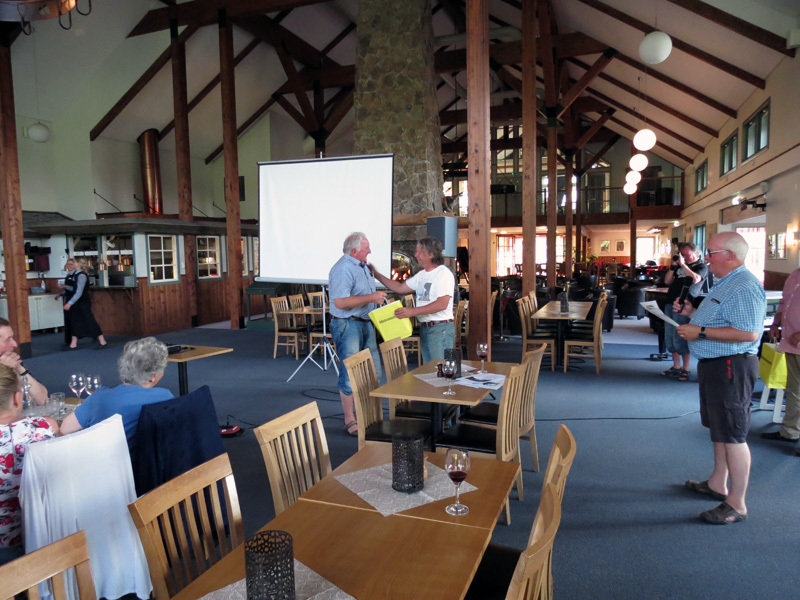 Many thanks to the organizers of this beautiful meeting. 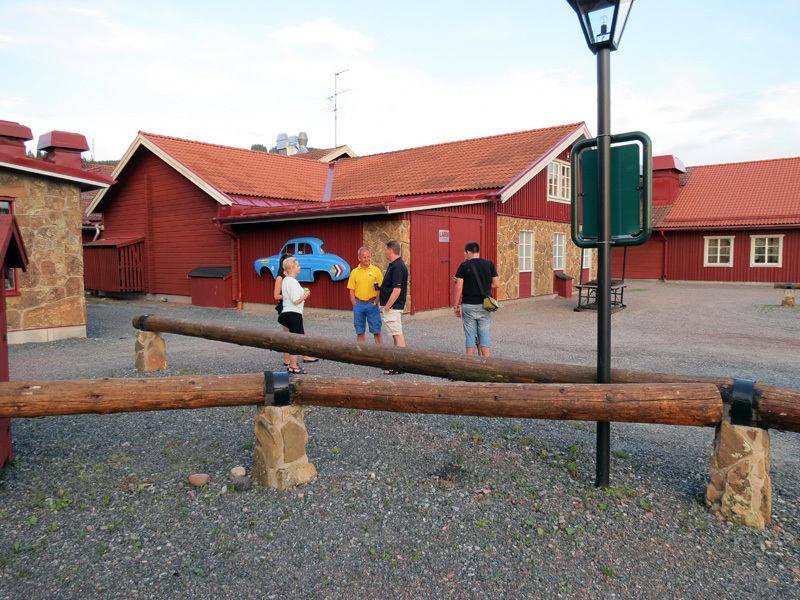 We hope to return to Sweden in 4 years.